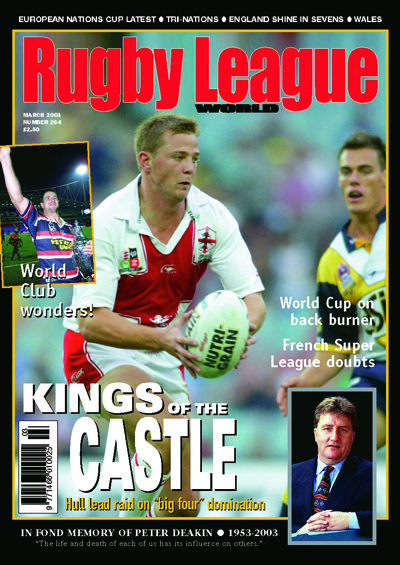 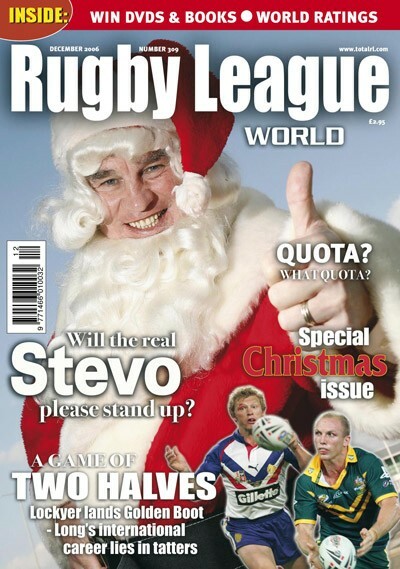 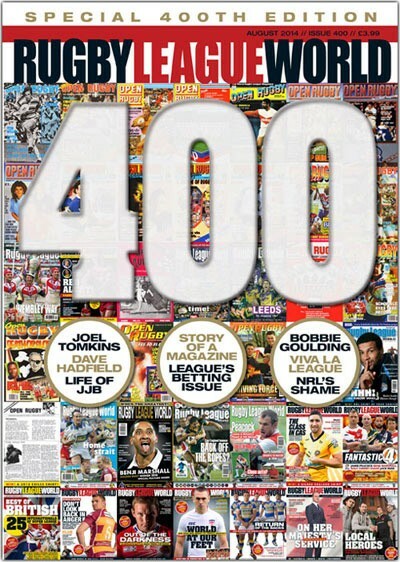 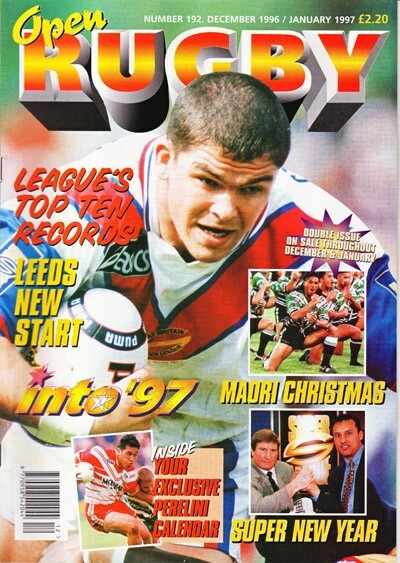 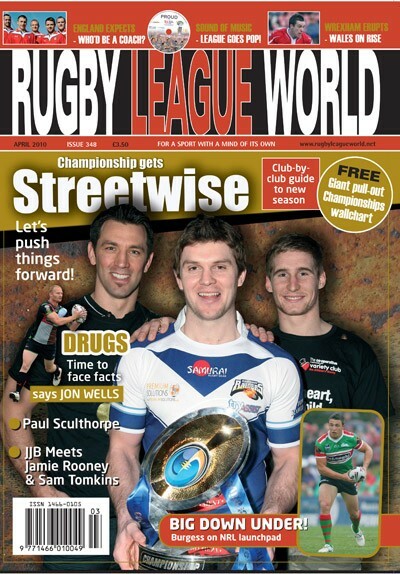 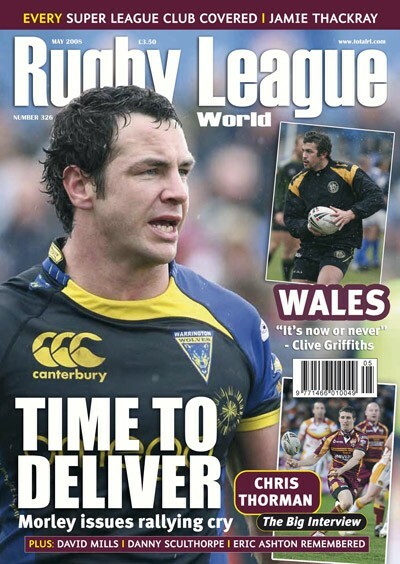 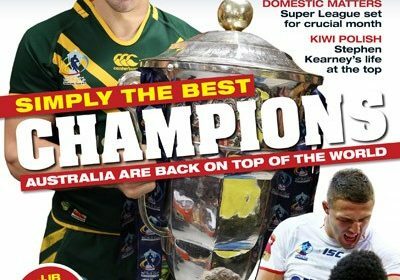 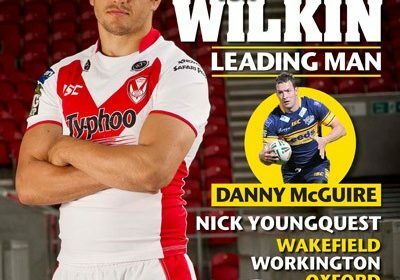 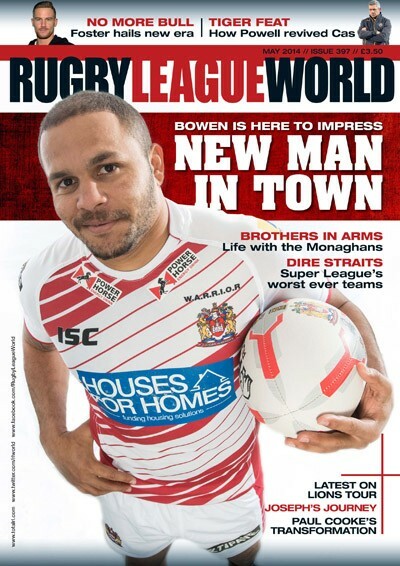 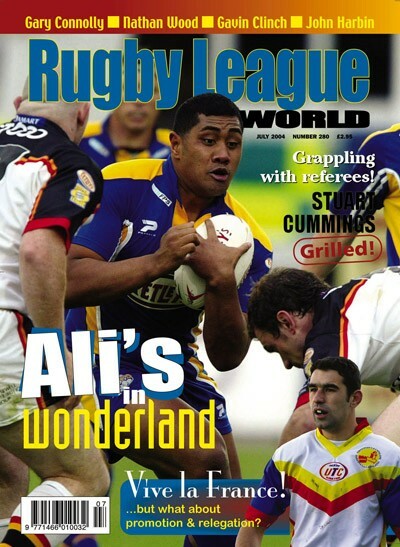 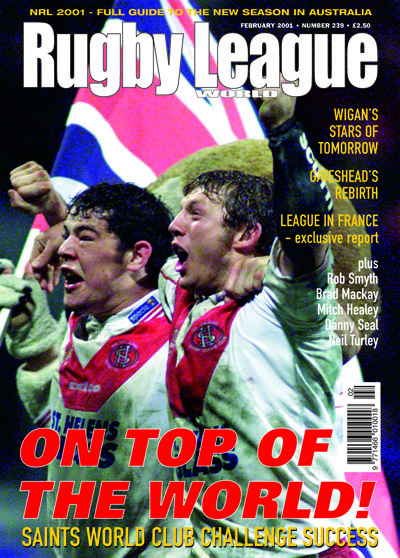 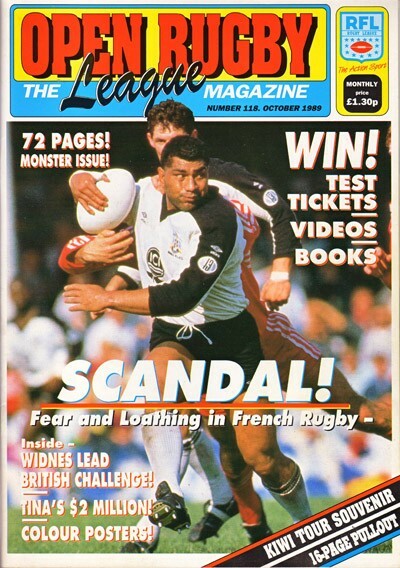 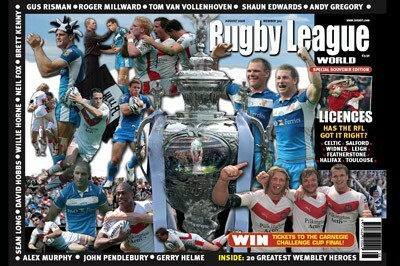 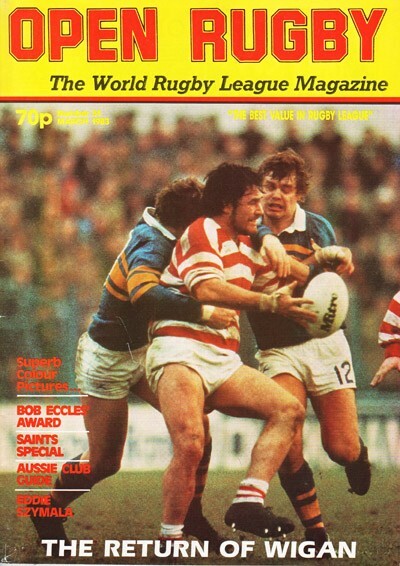 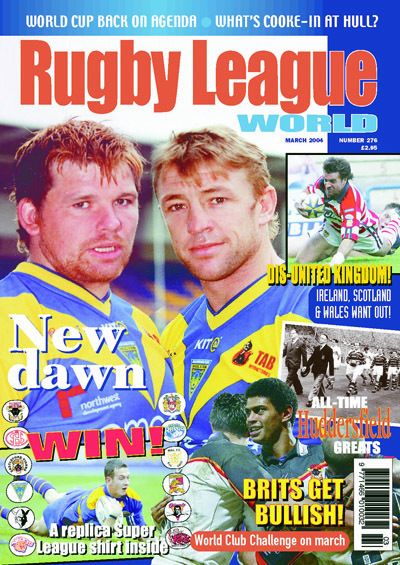 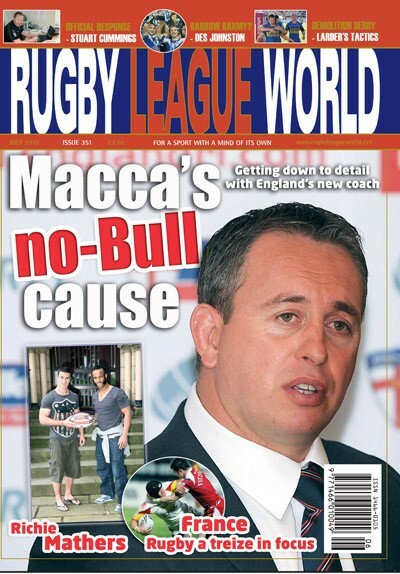 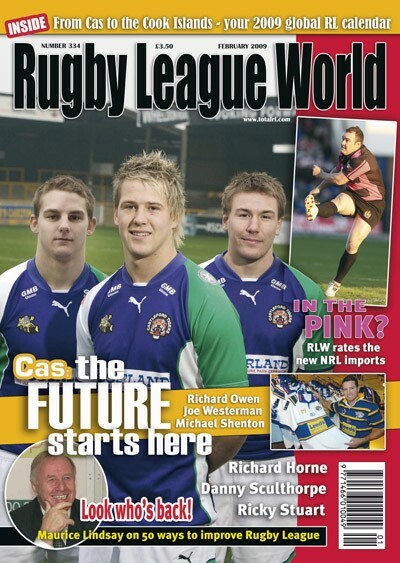 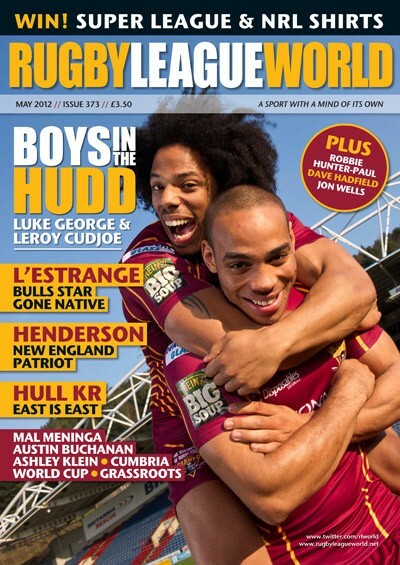 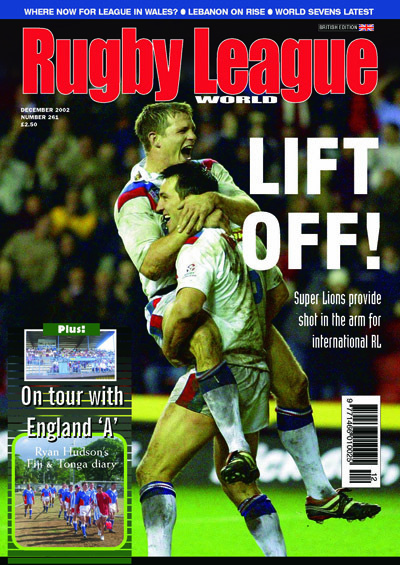 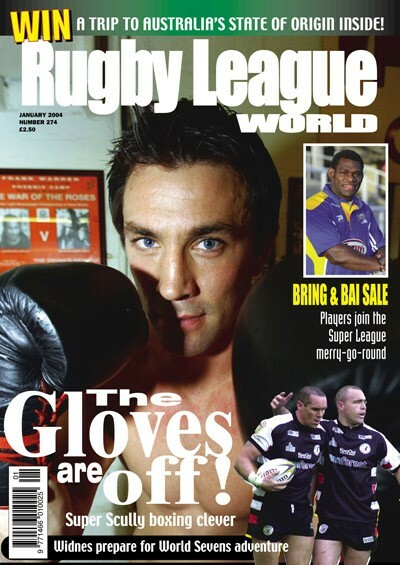 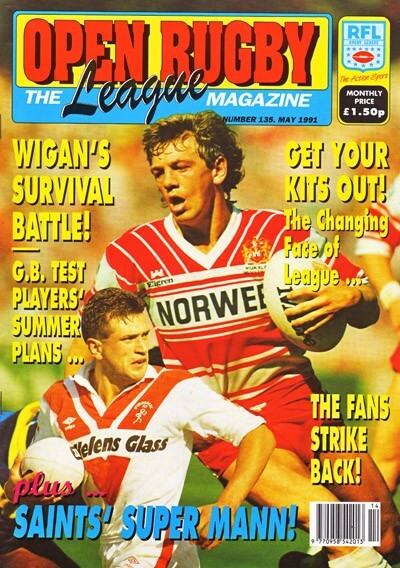 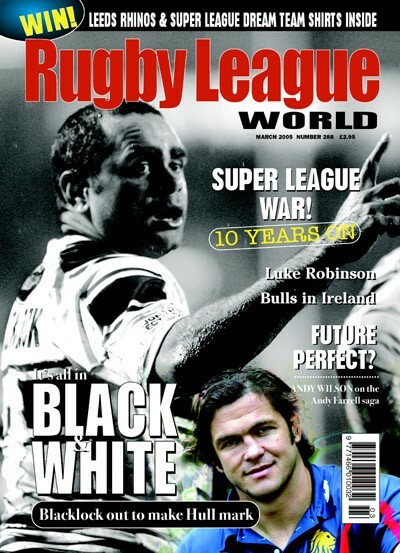 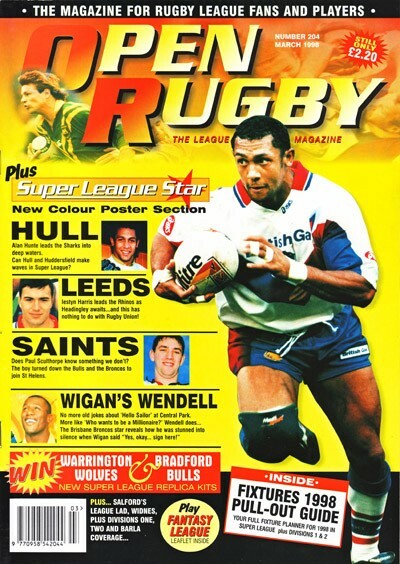 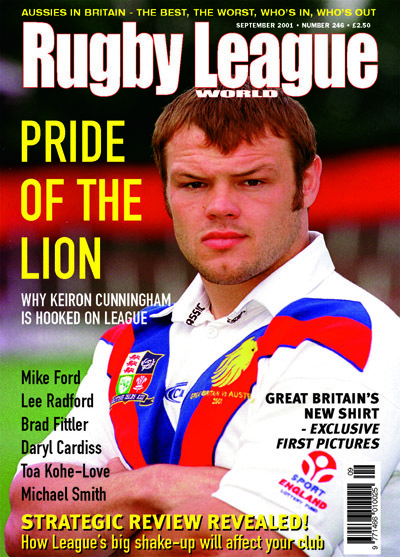 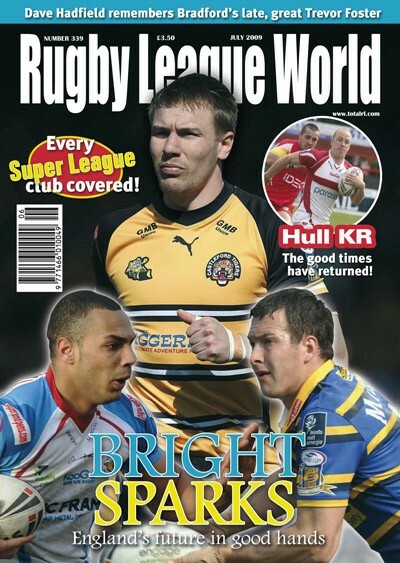 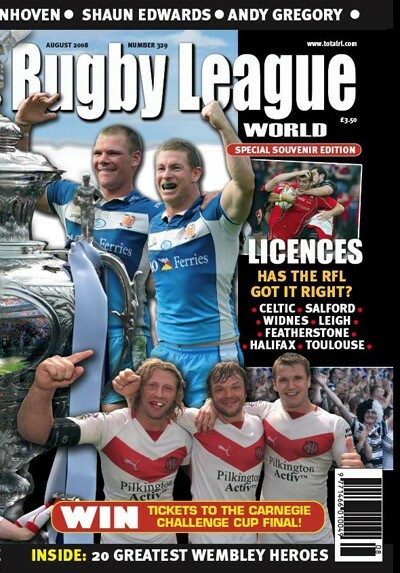 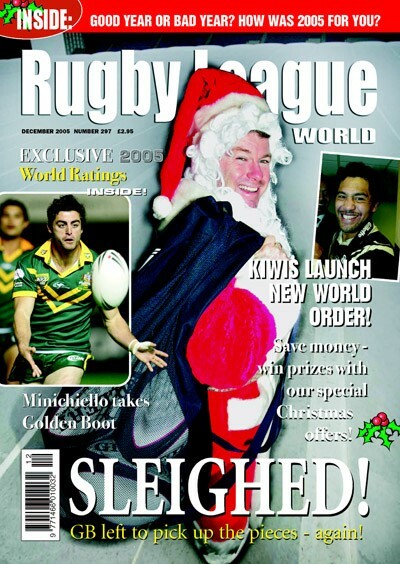 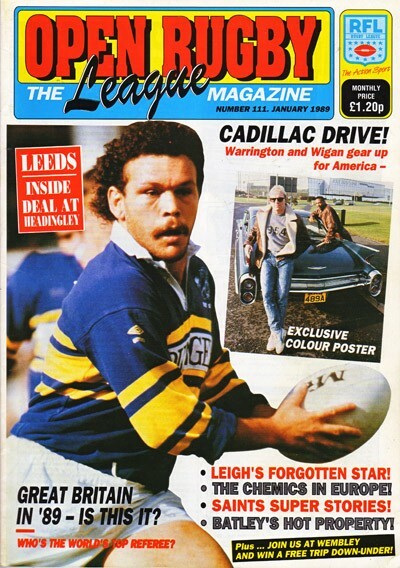 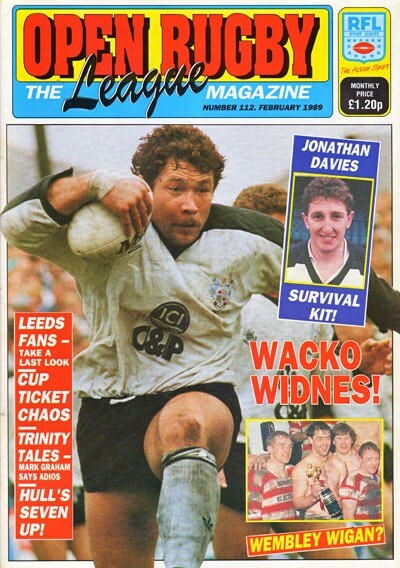 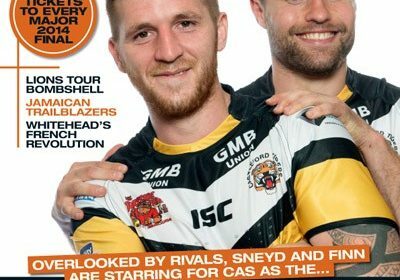 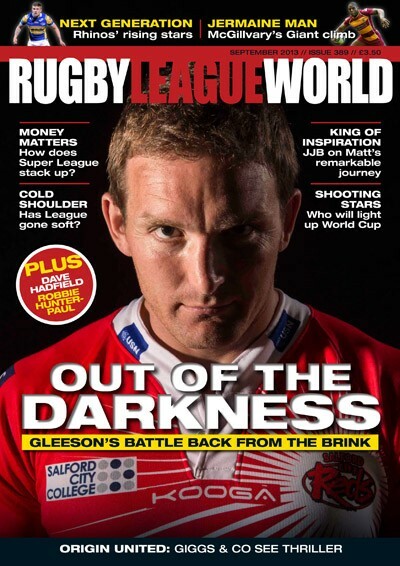 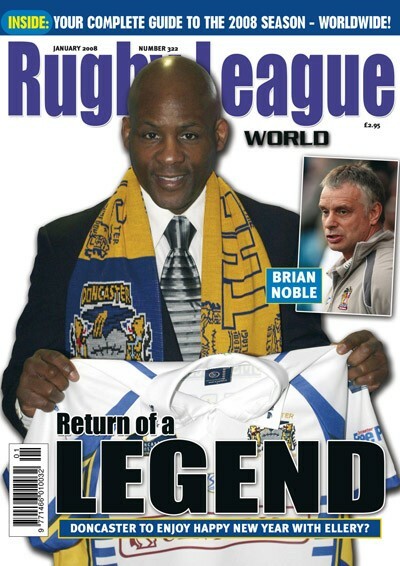 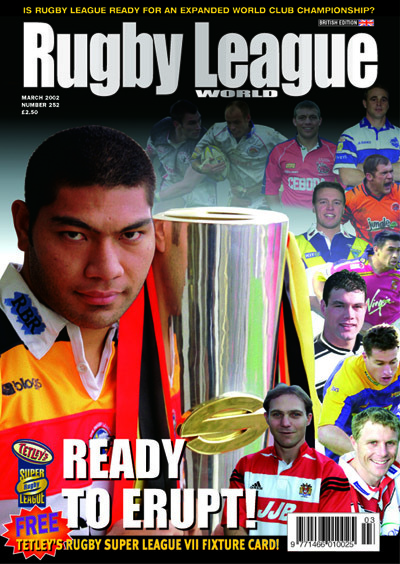 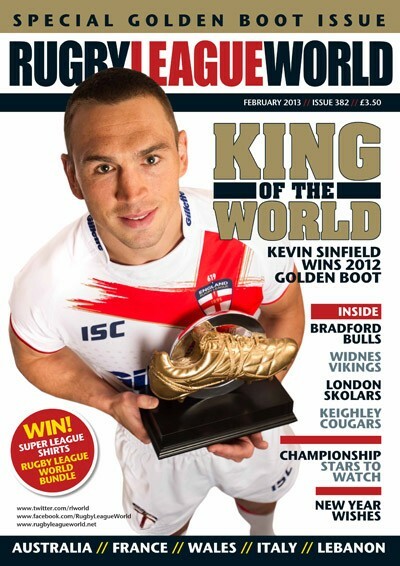 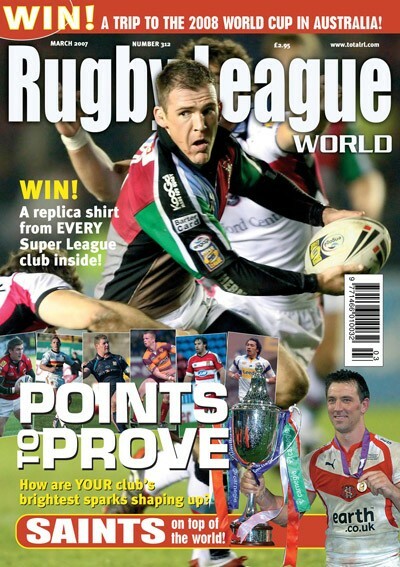 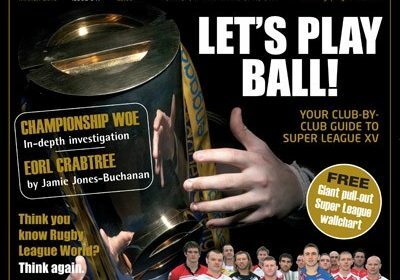 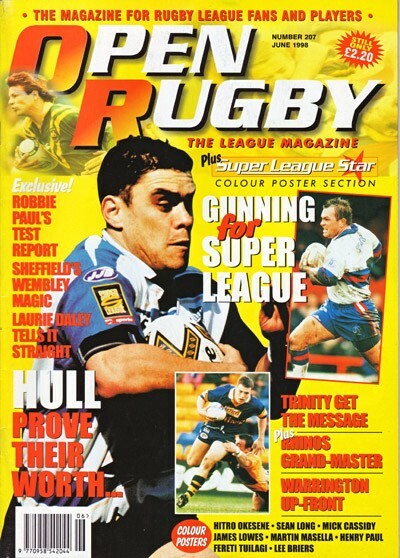 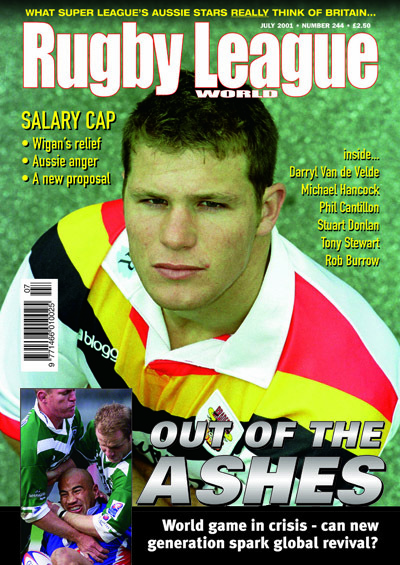 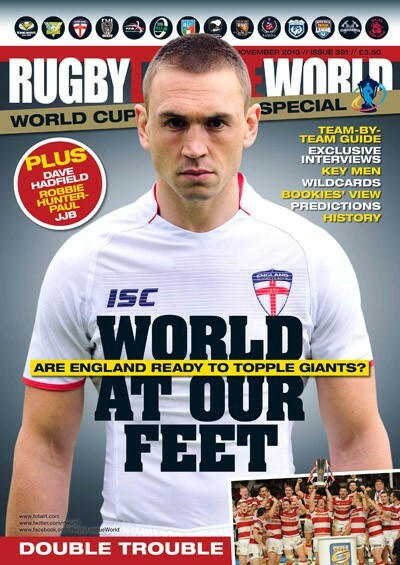 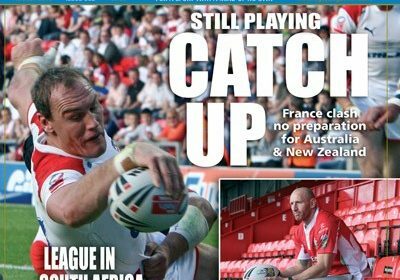 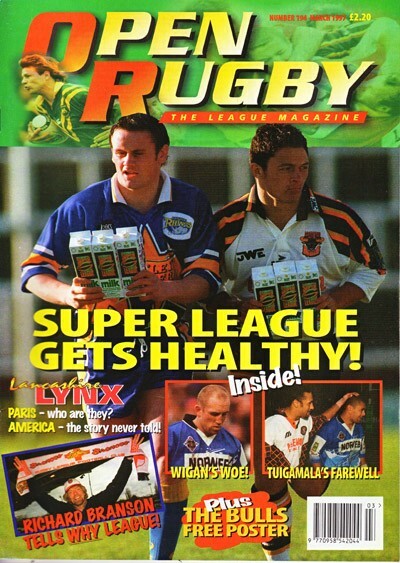 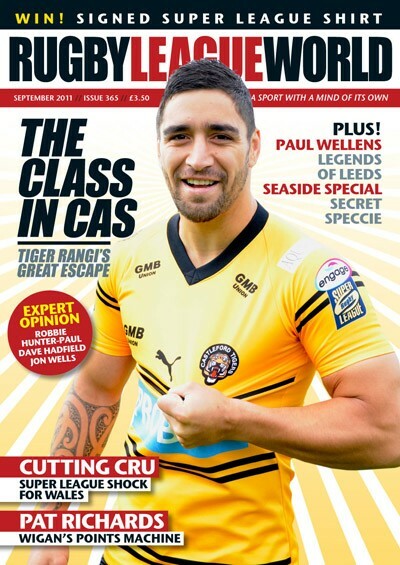 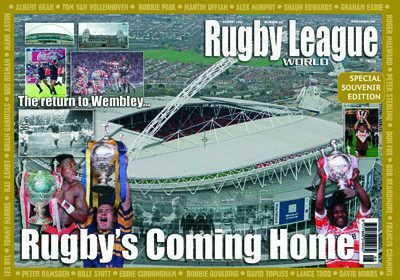 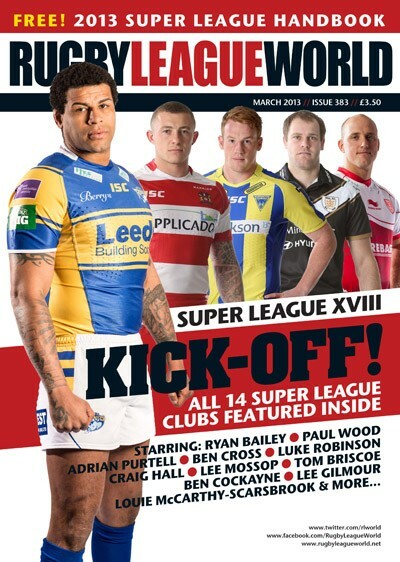 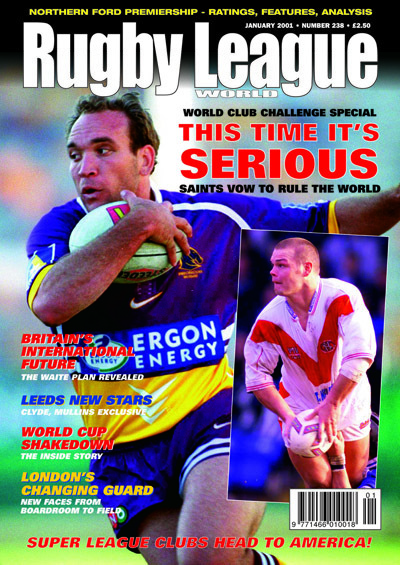 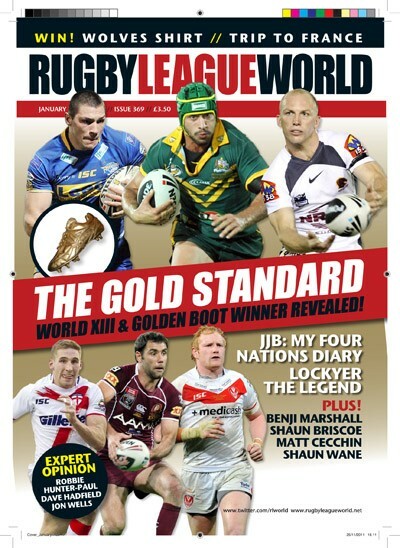 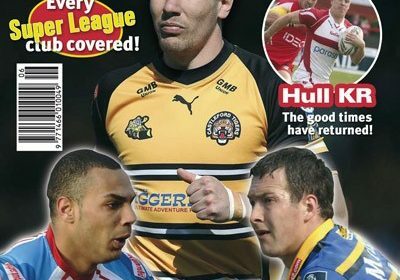 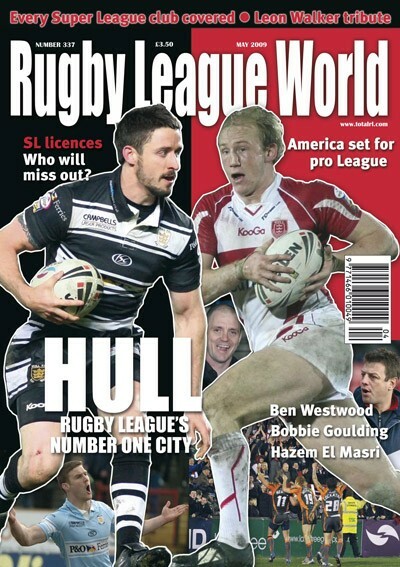 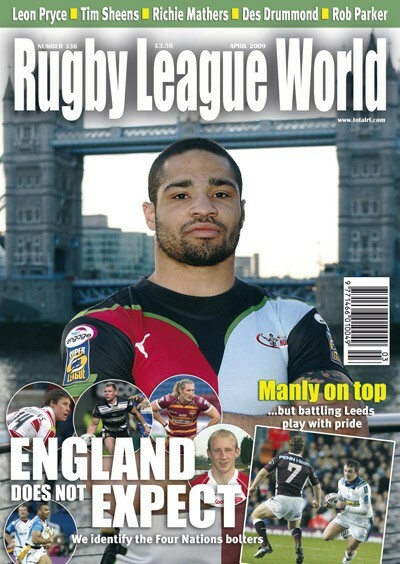 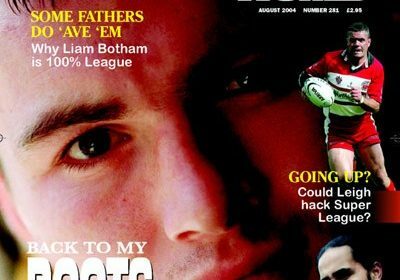 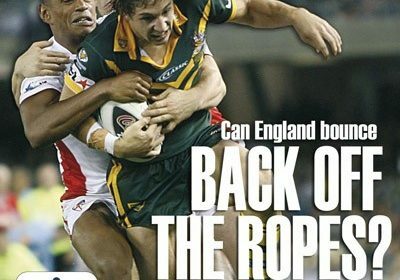 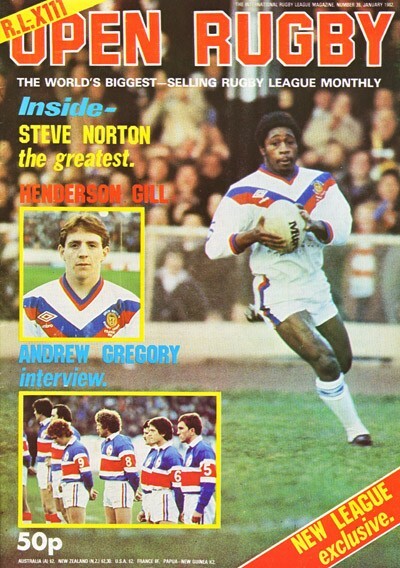 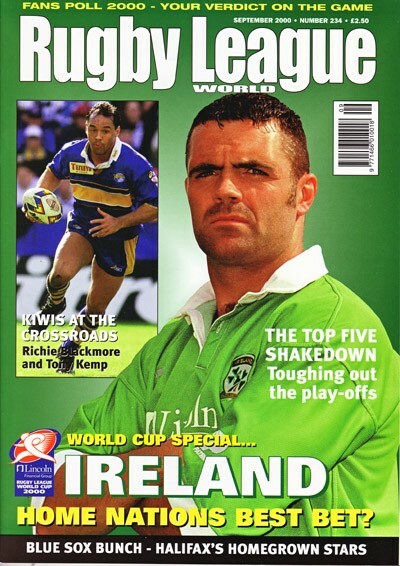 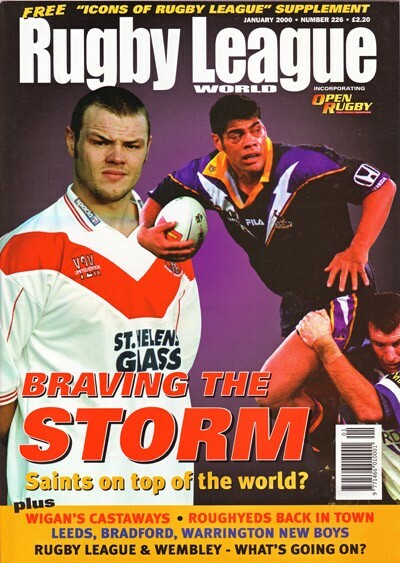 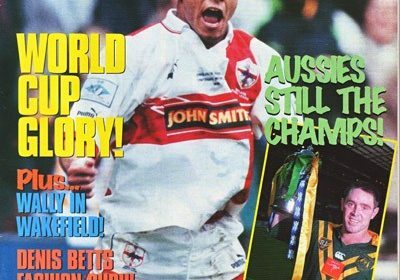 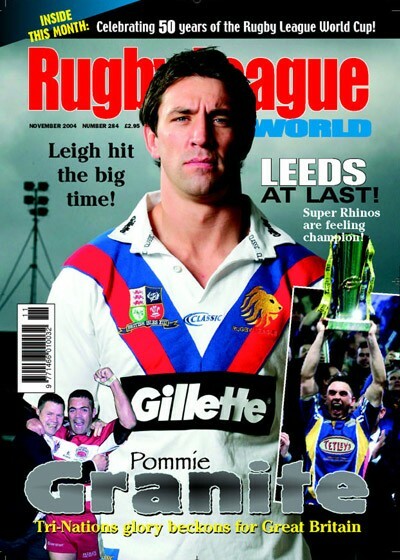 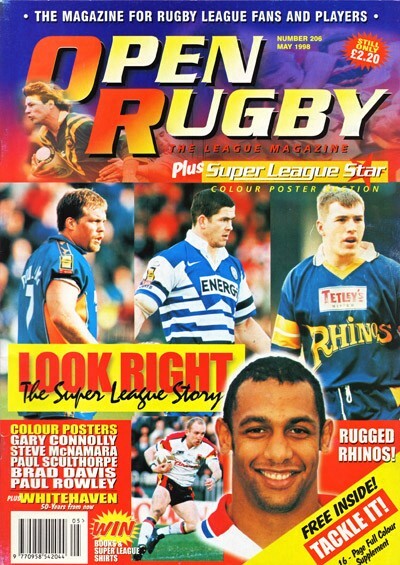 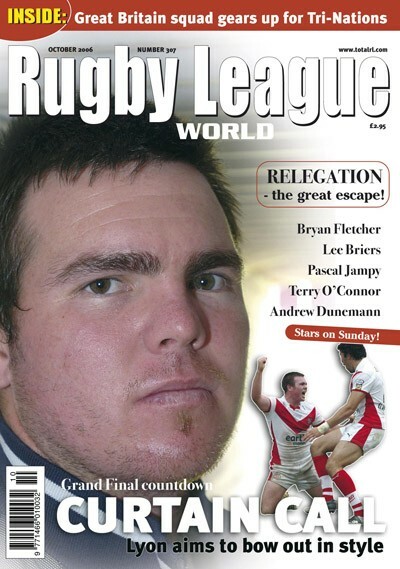 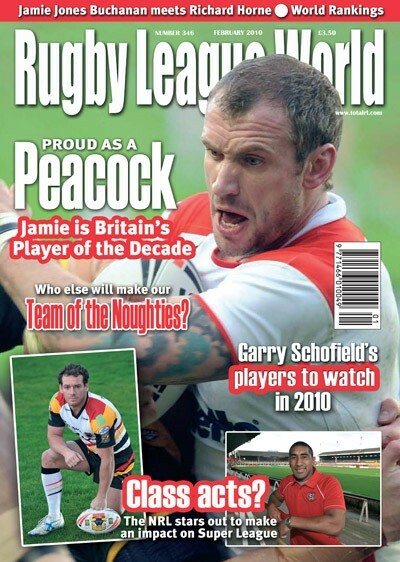 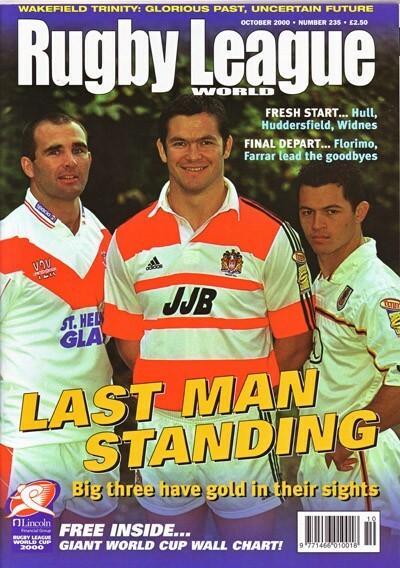 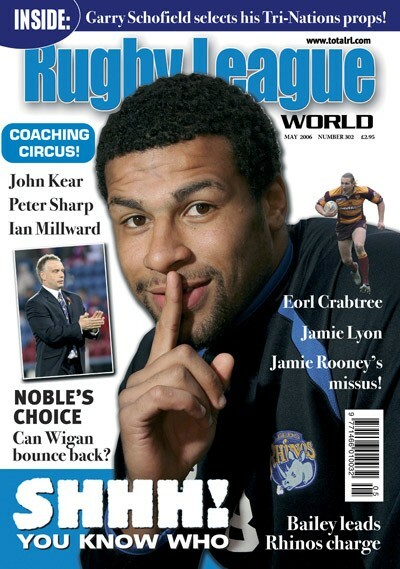 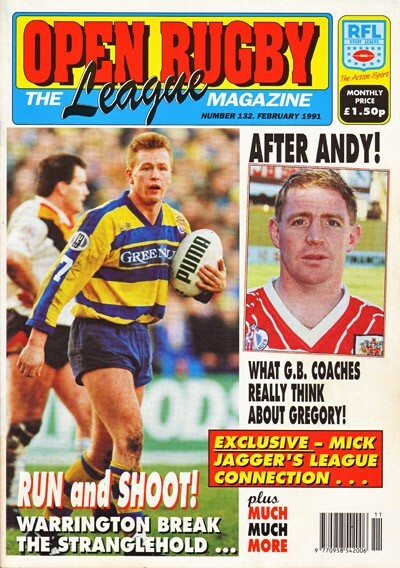 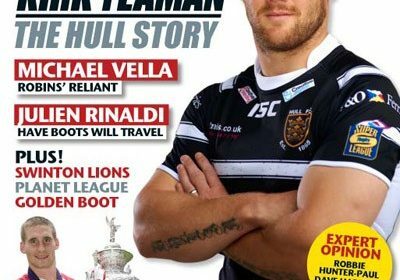 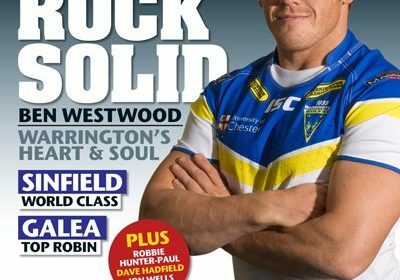 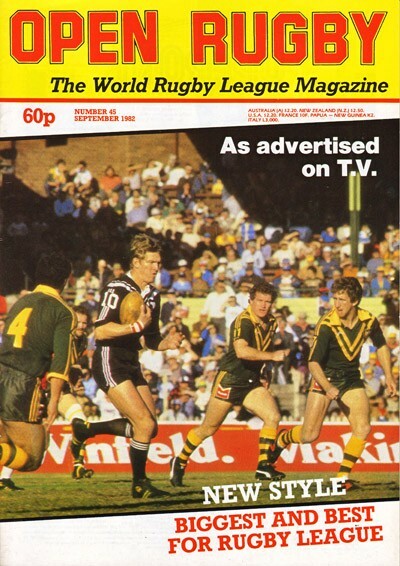 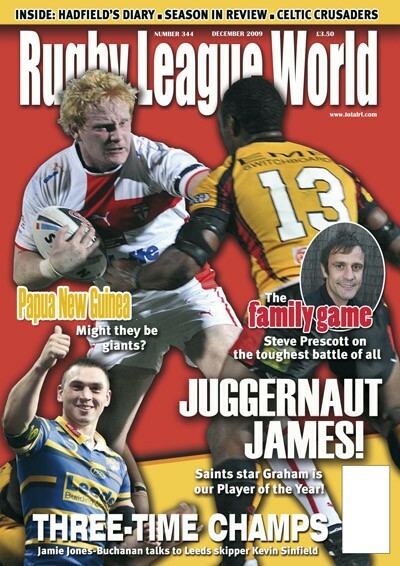 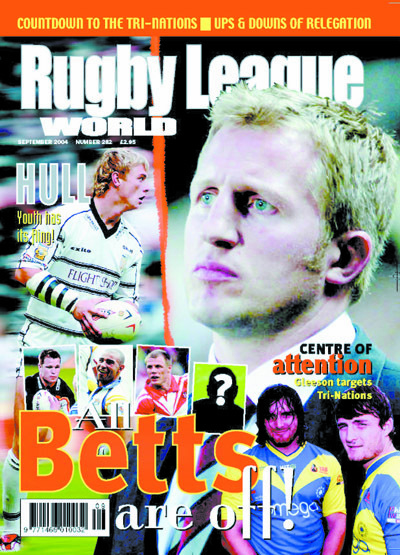 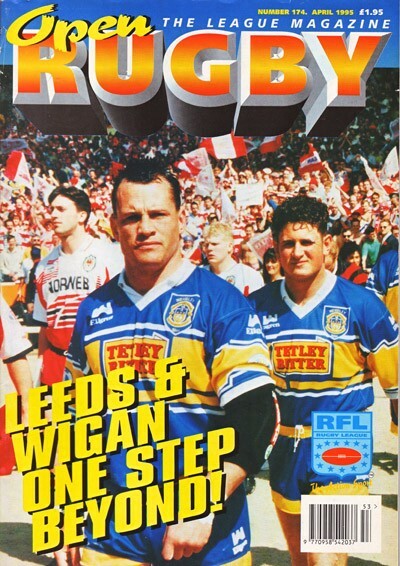 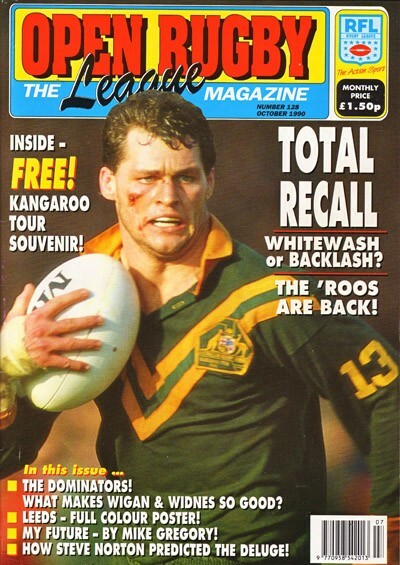 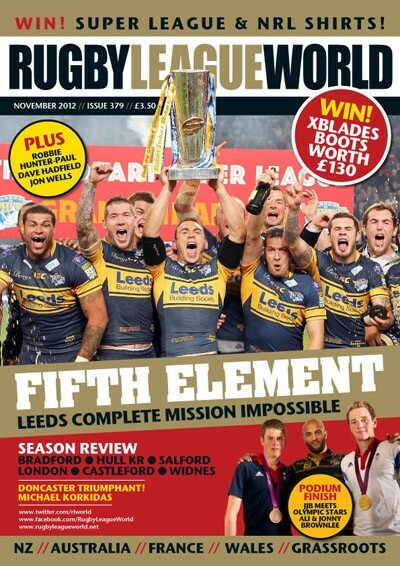 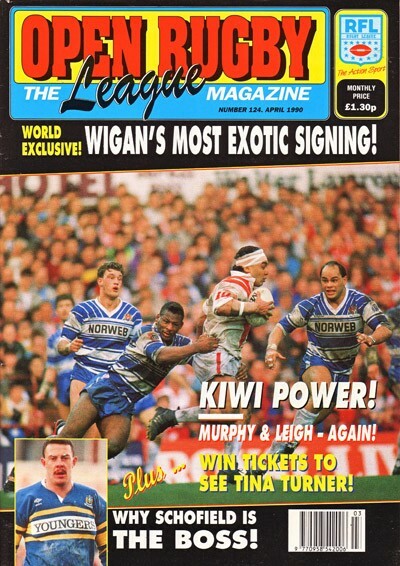 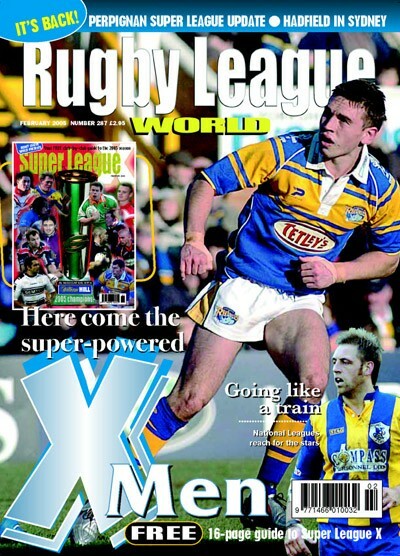 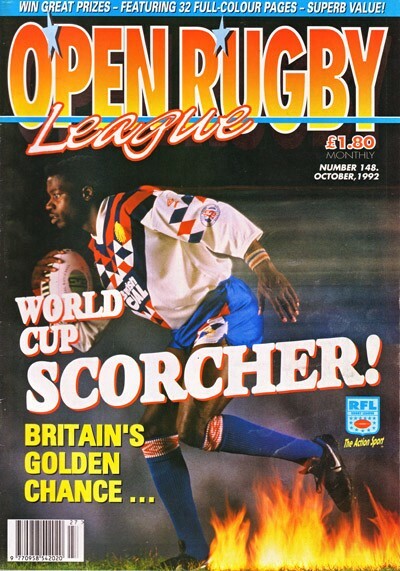 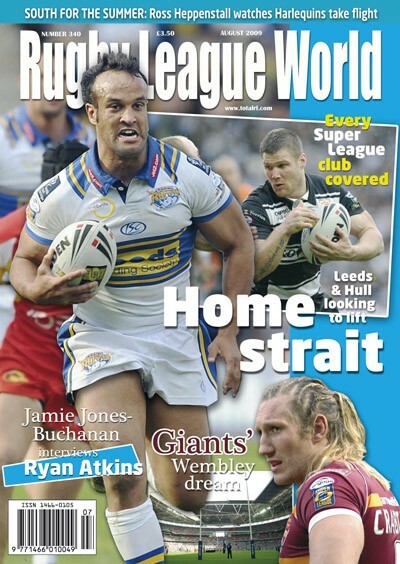 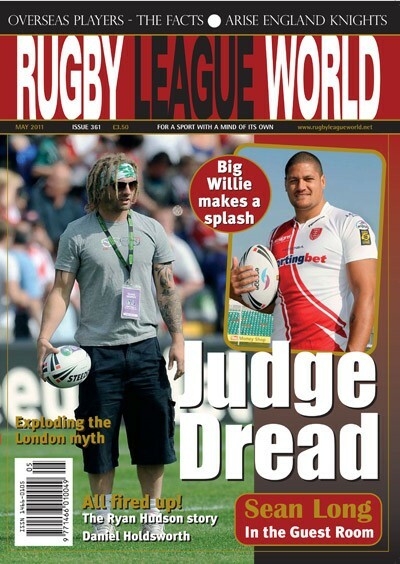 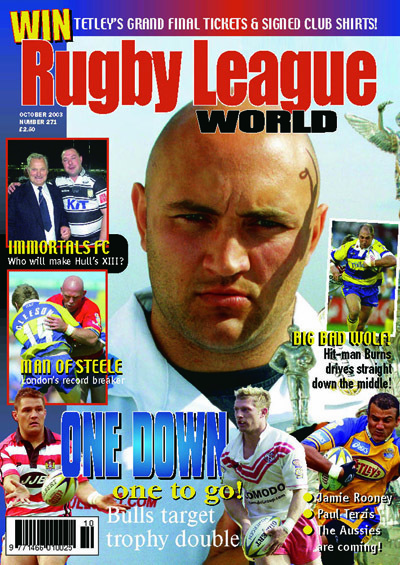 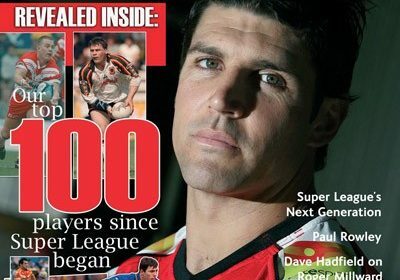 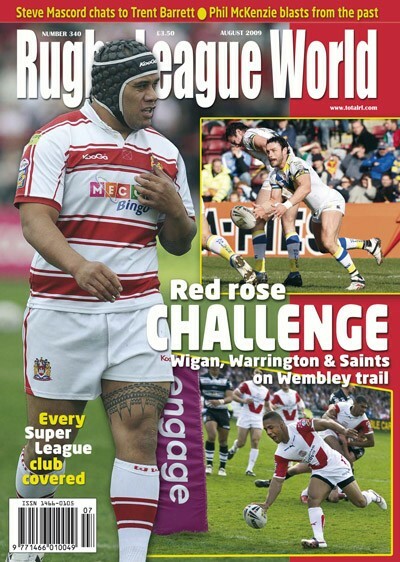 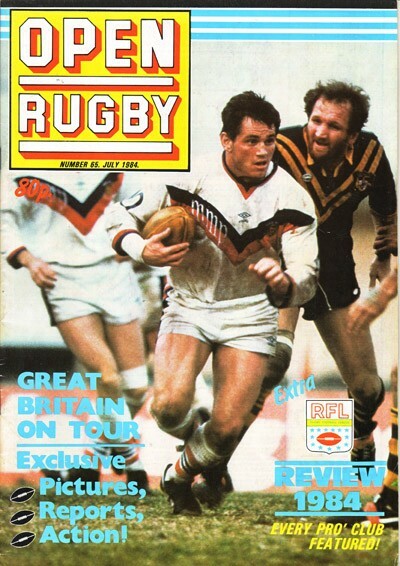 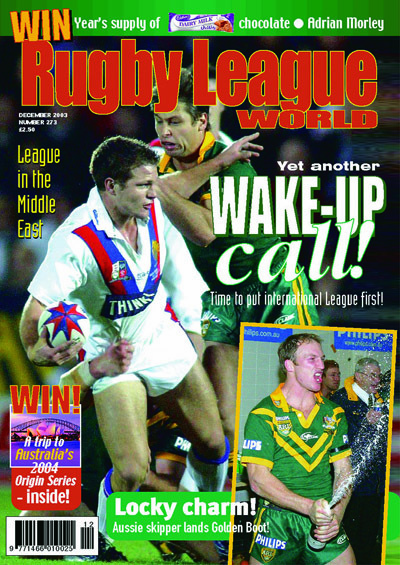 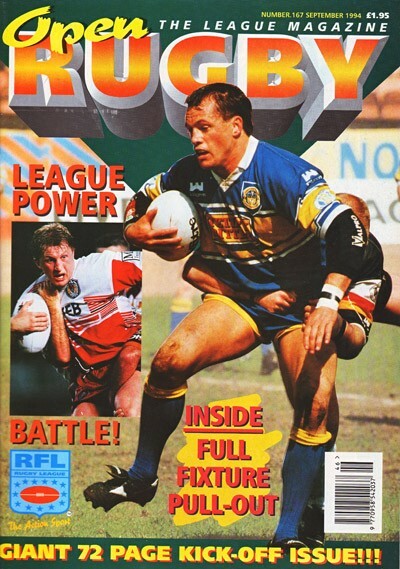 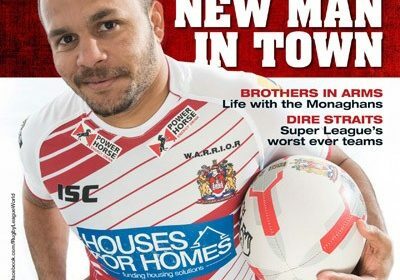 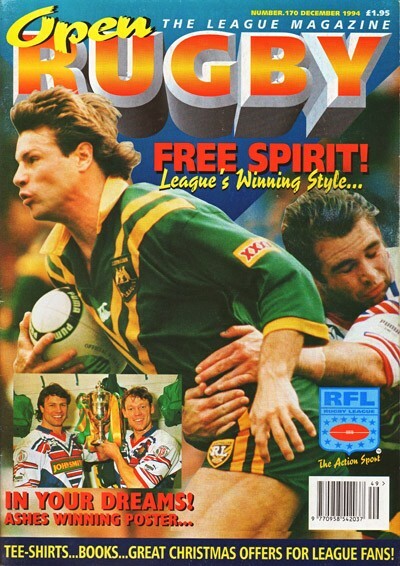 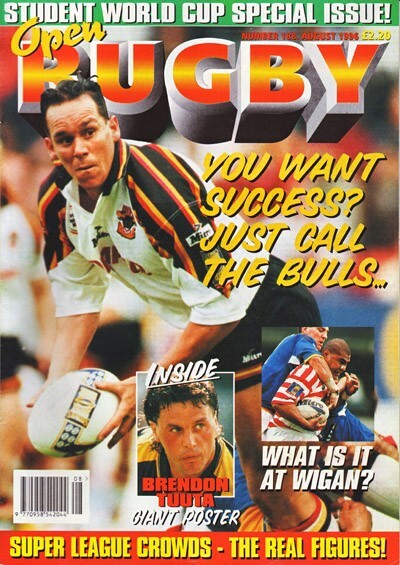 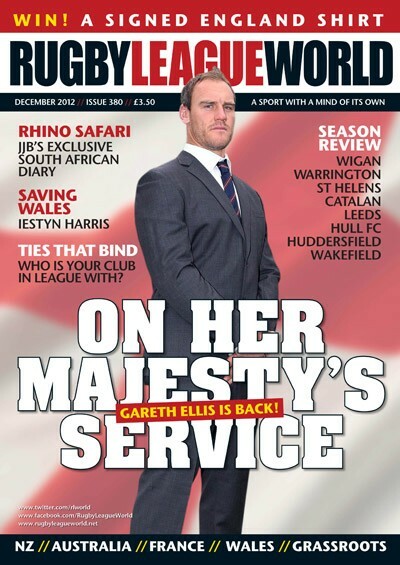 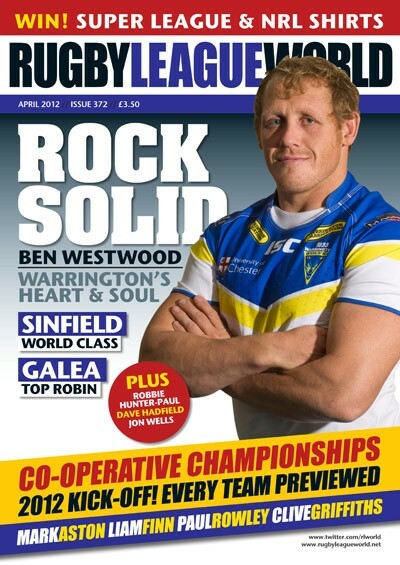 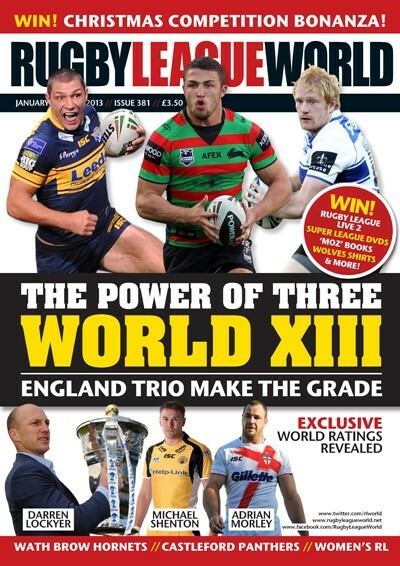 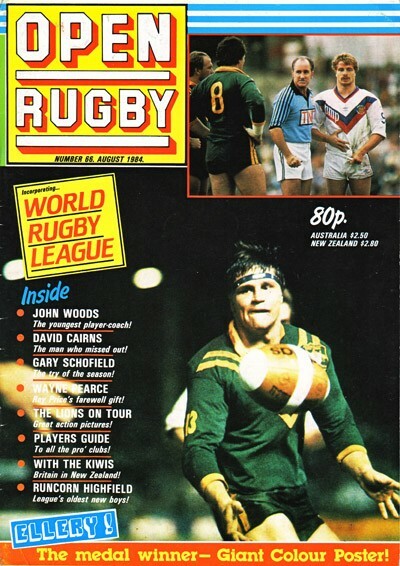 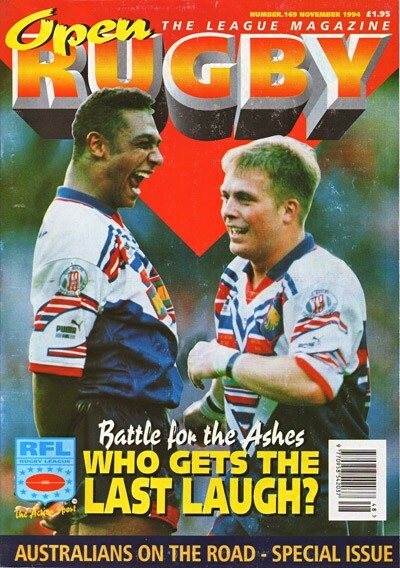 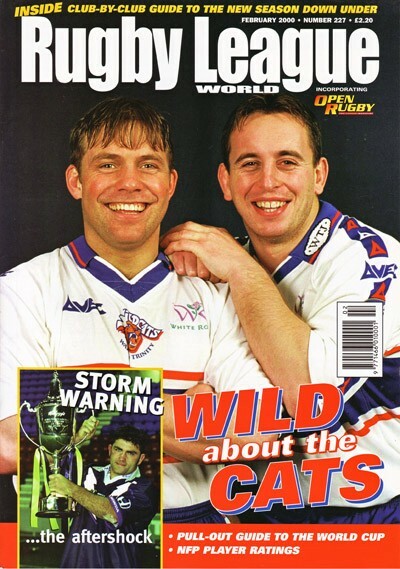 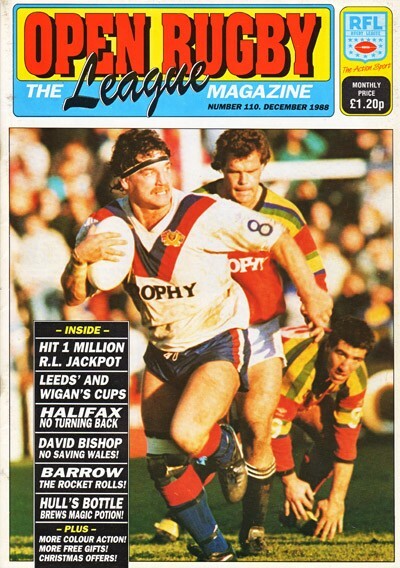 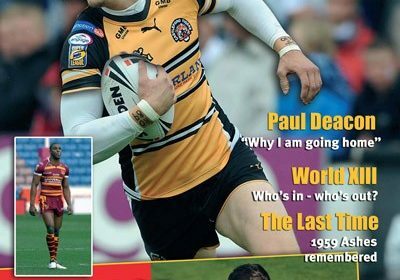 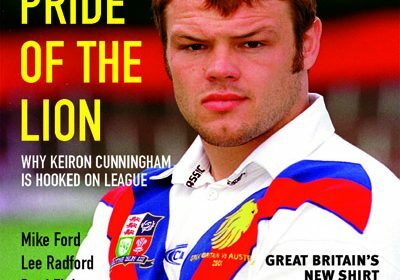 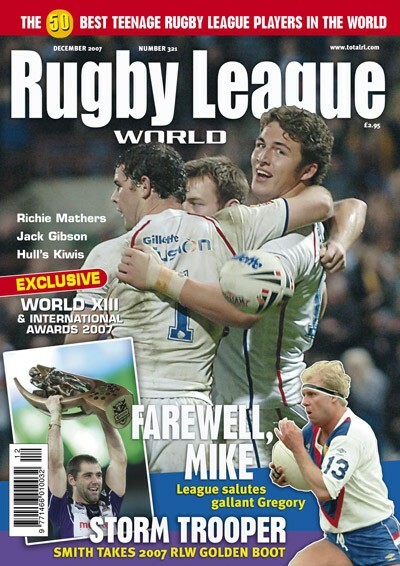 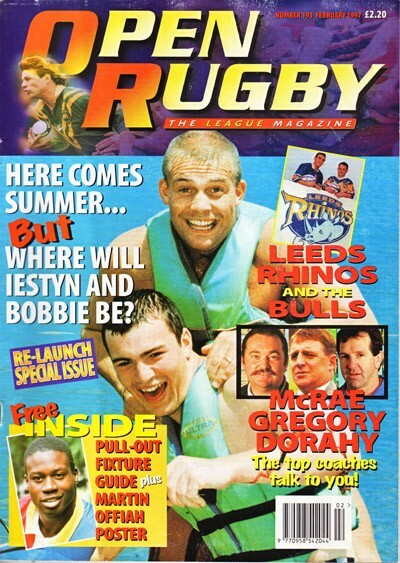 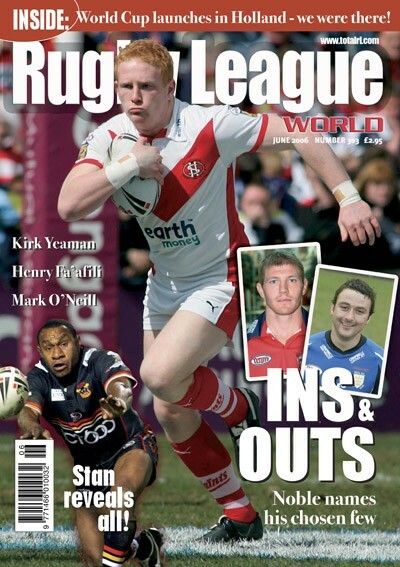 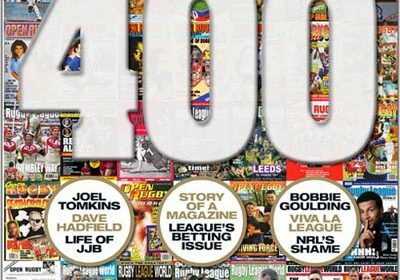 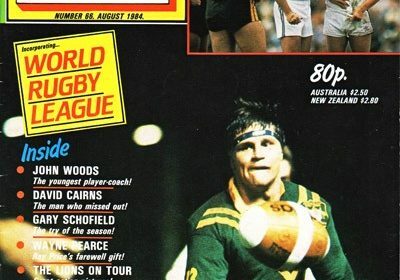 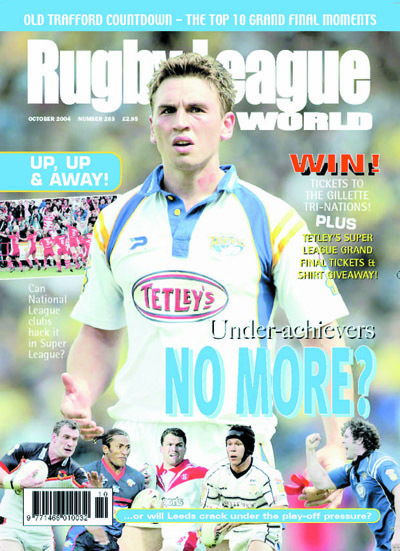 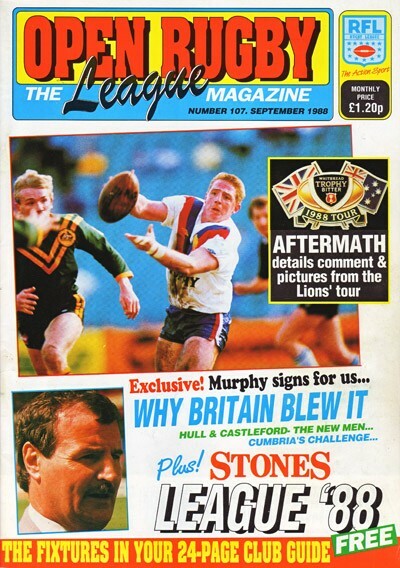 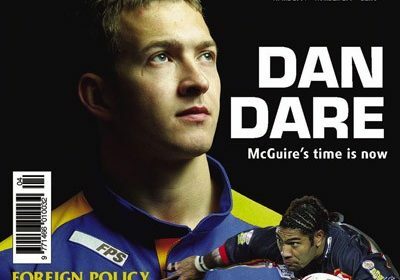 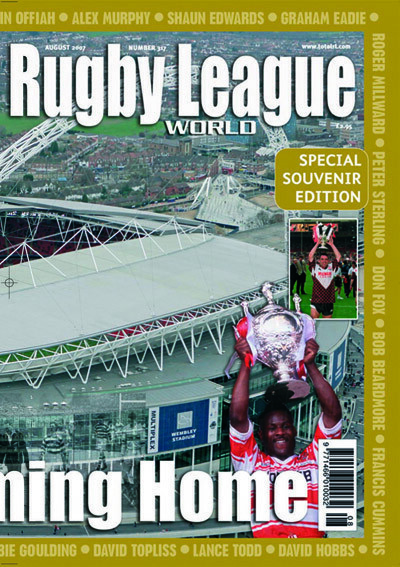 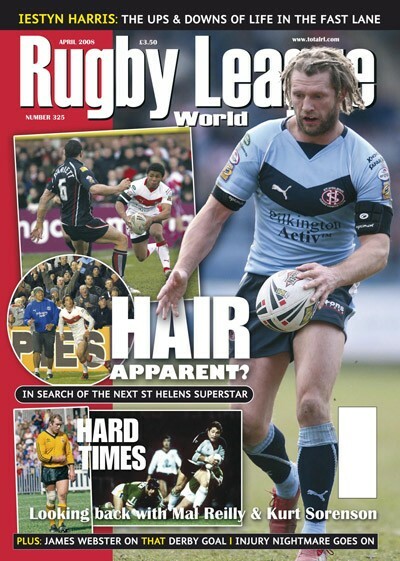 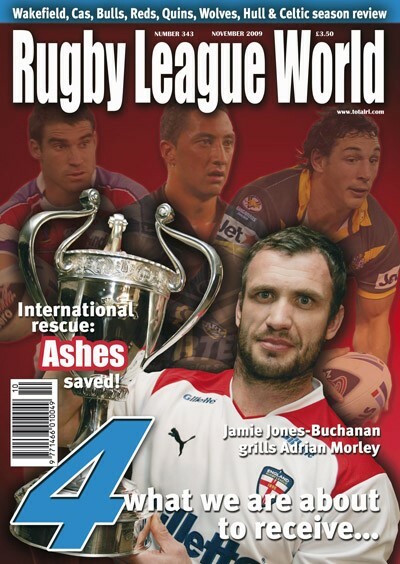 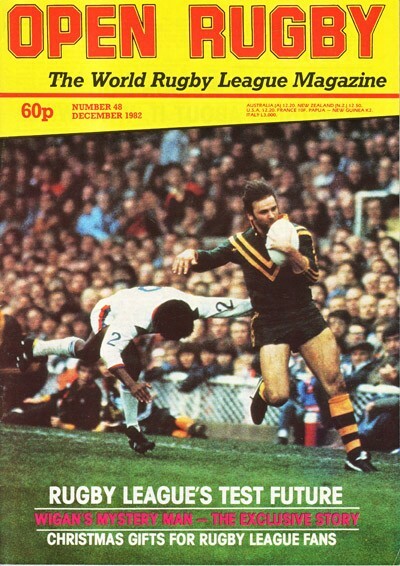 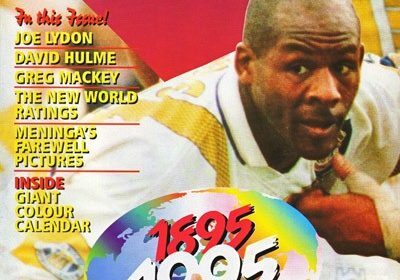 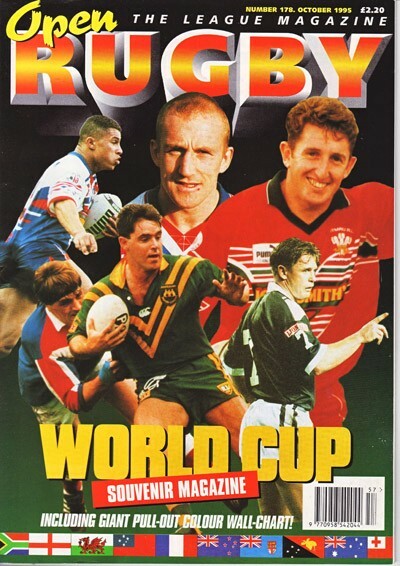 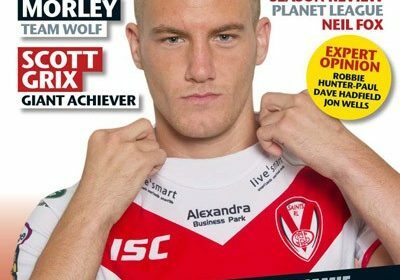 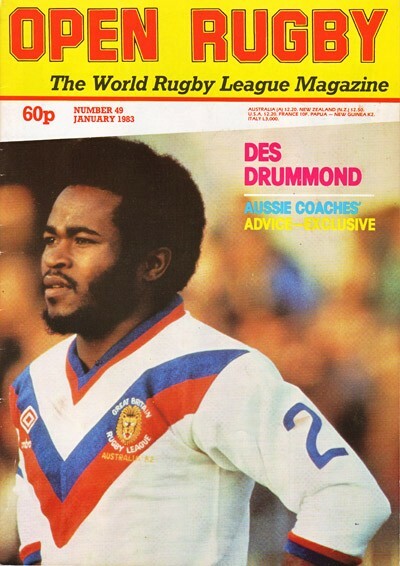 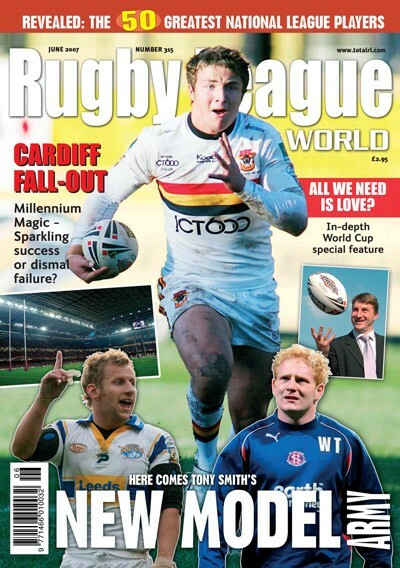 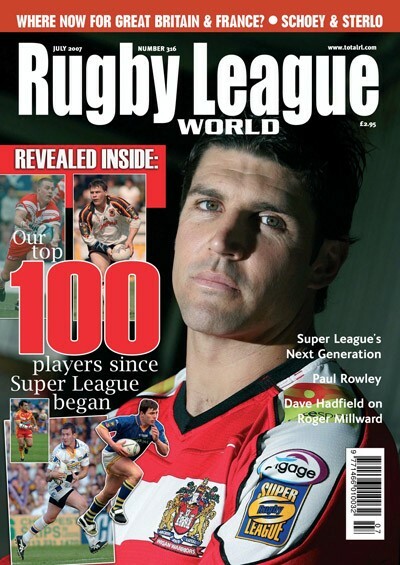 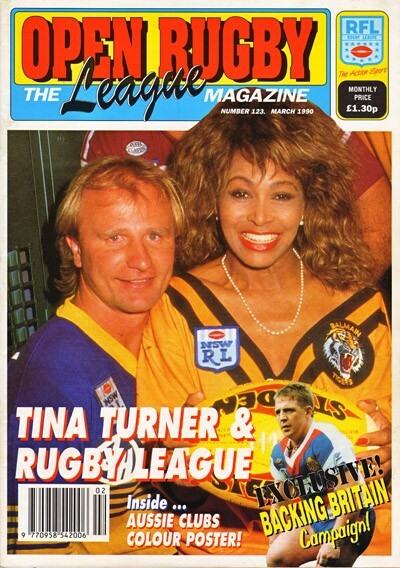 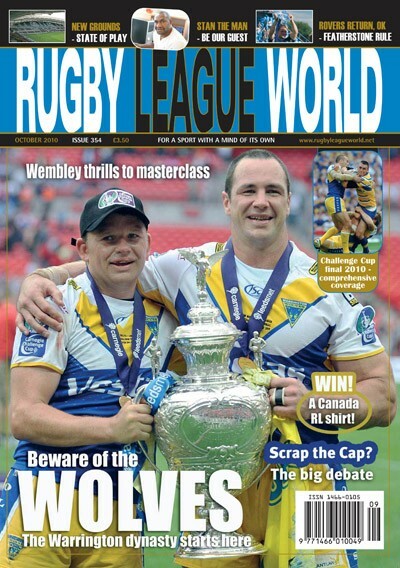 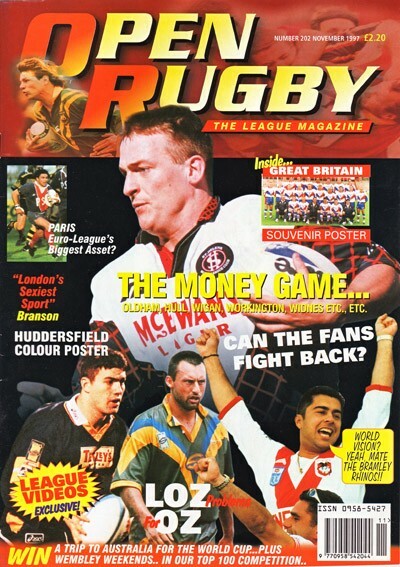 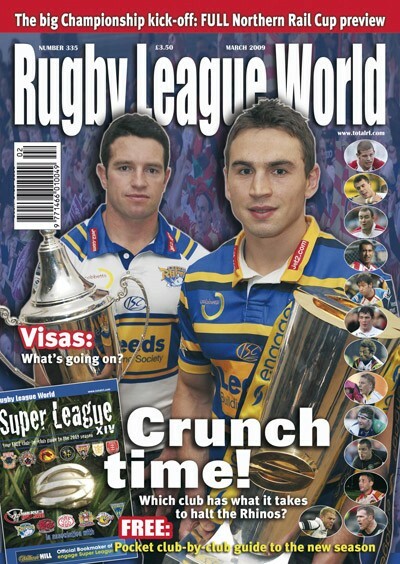 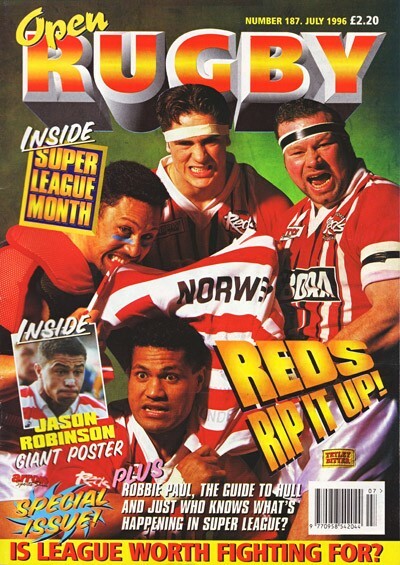 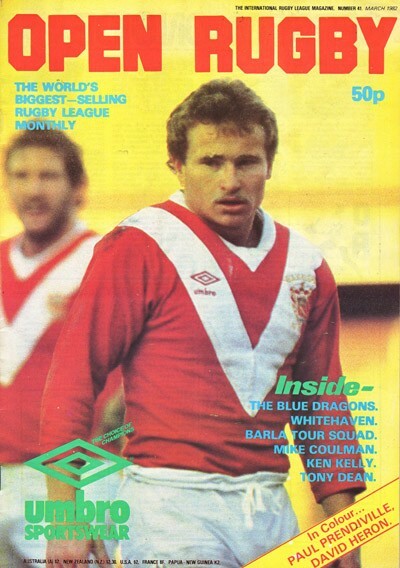 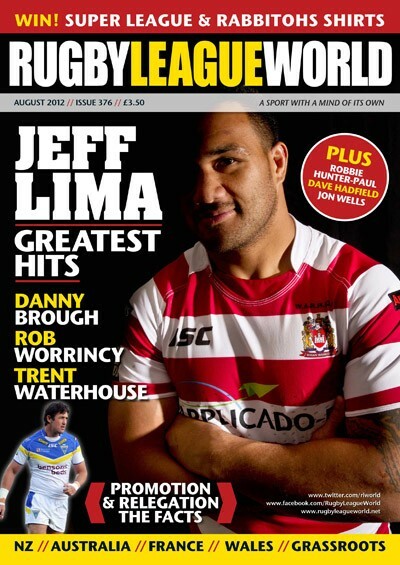 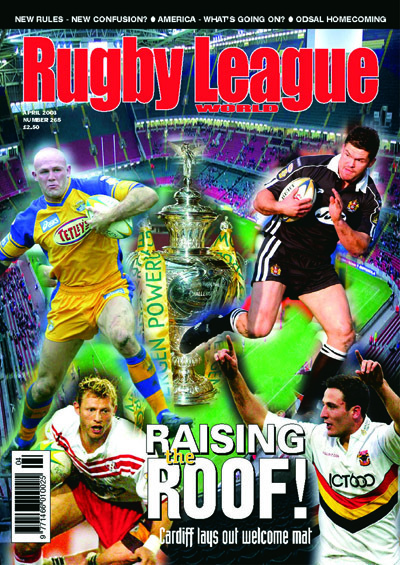 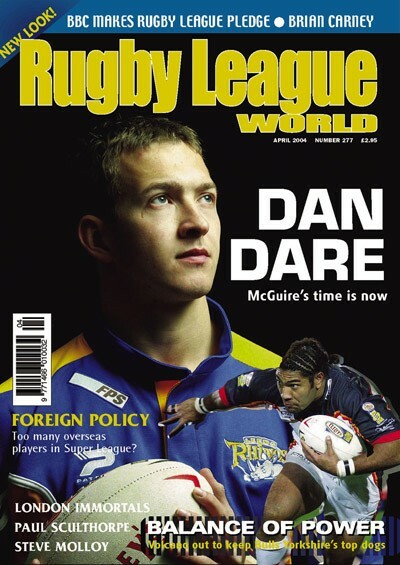 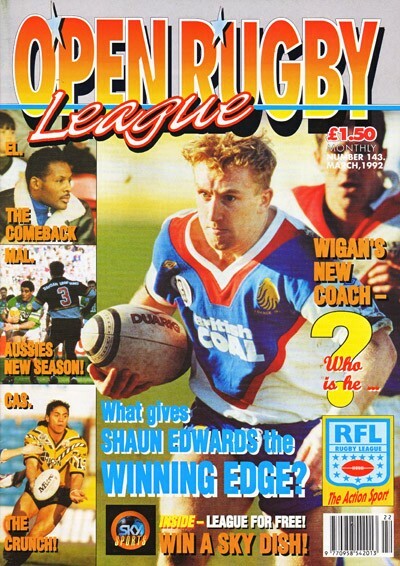 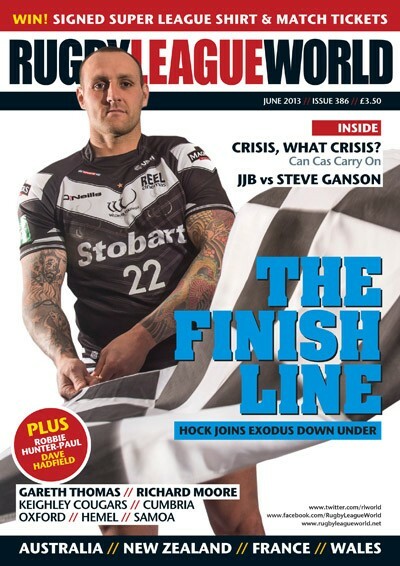 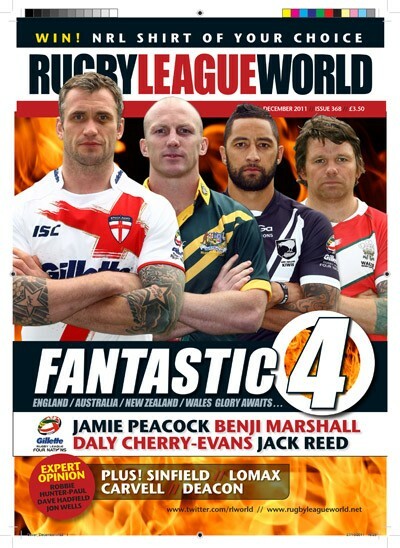 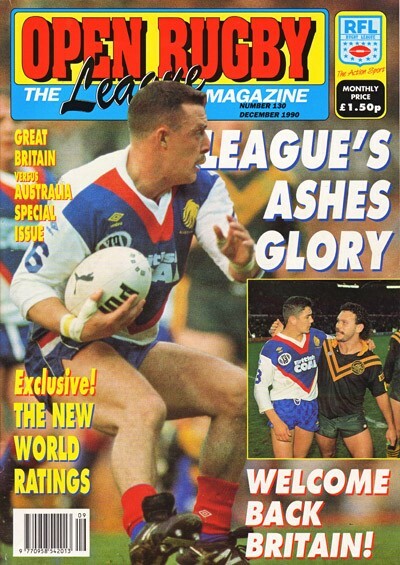 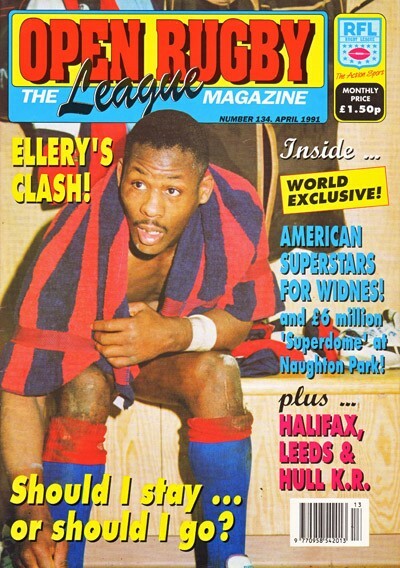 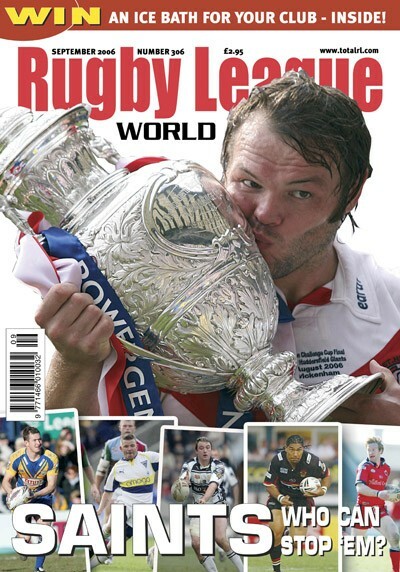 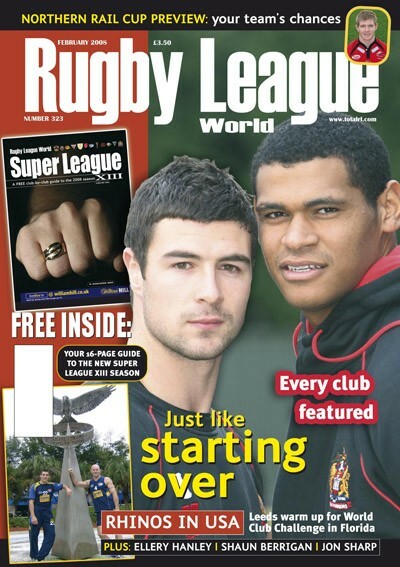 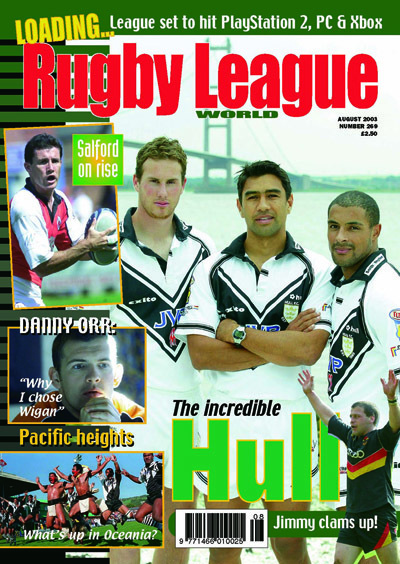 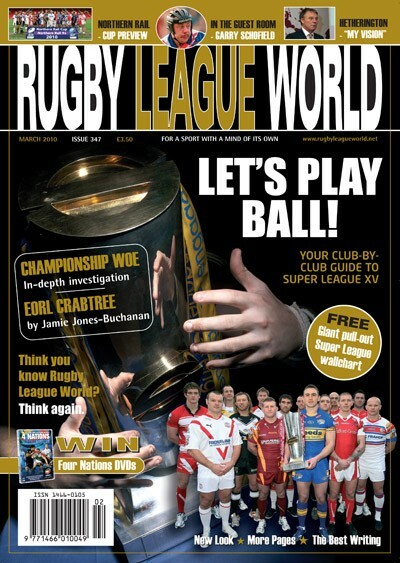 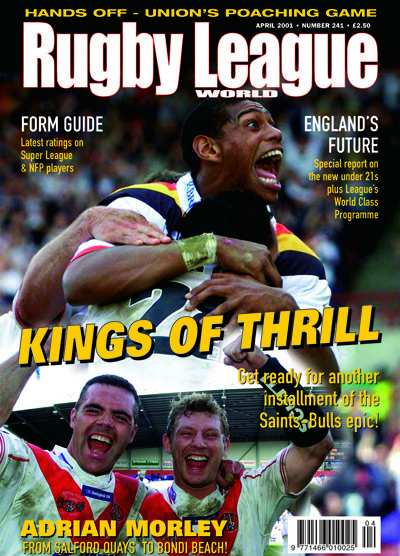 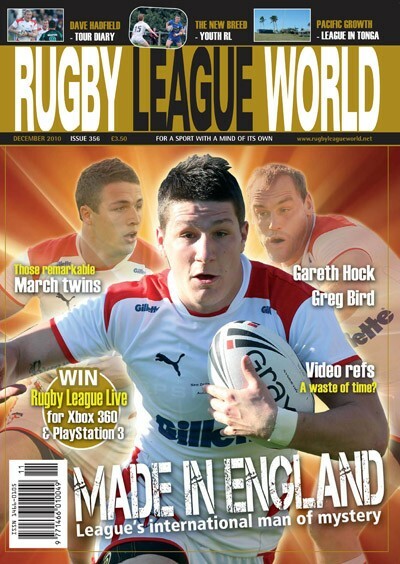 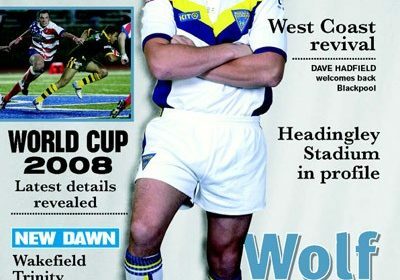 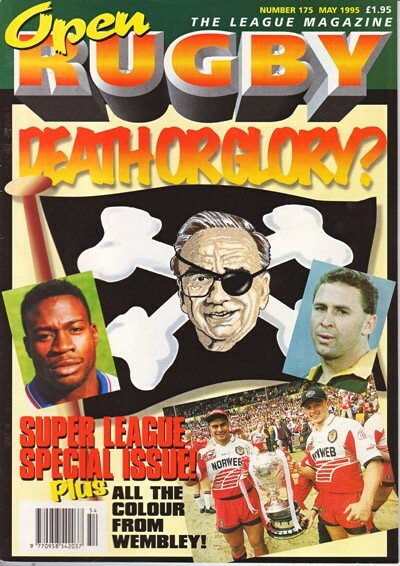 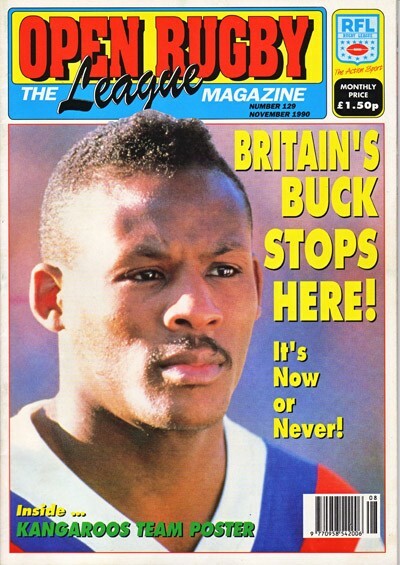 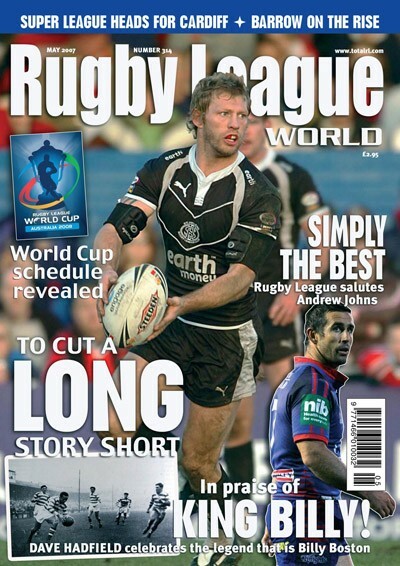 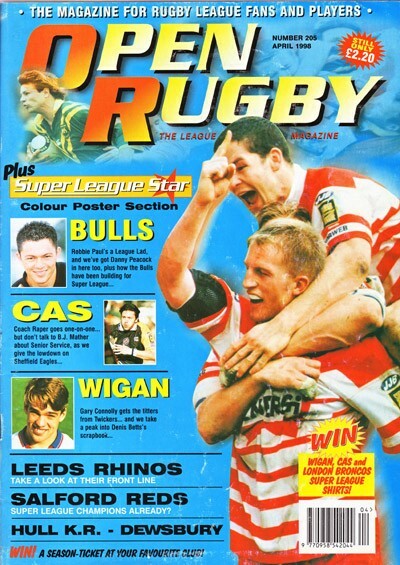 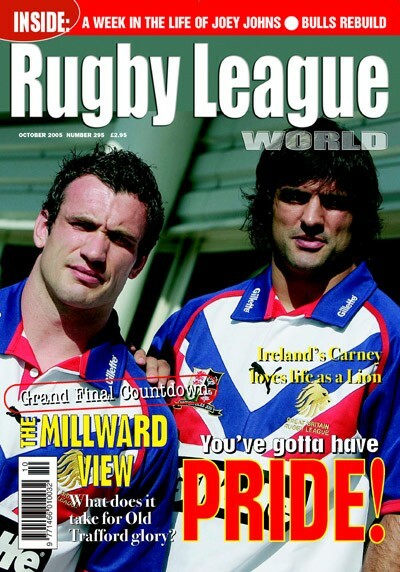 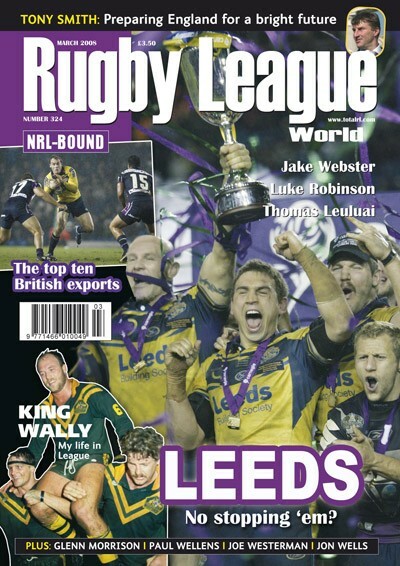 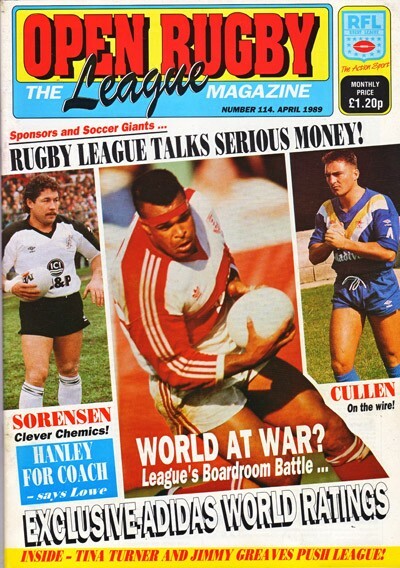 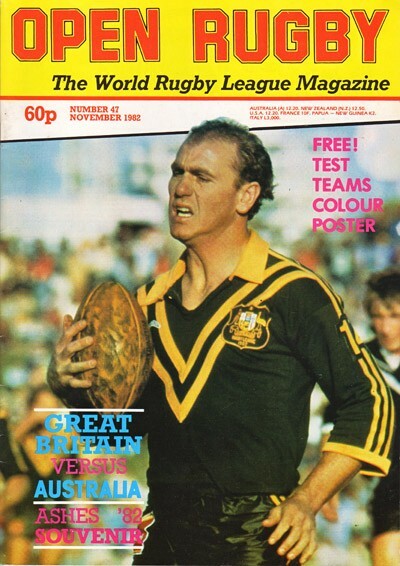 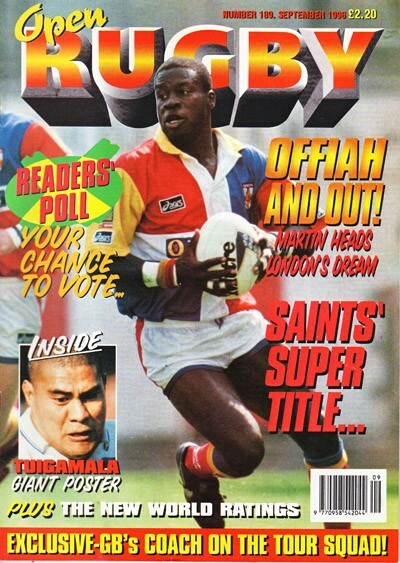 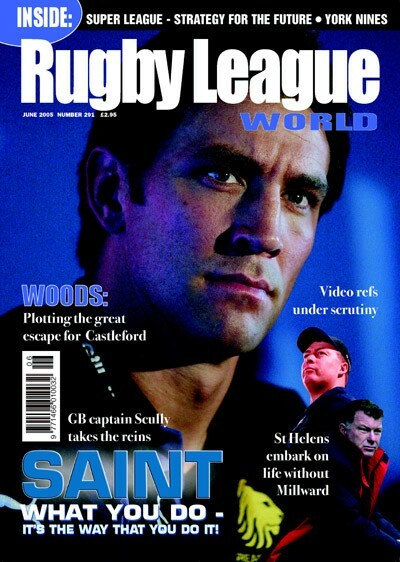 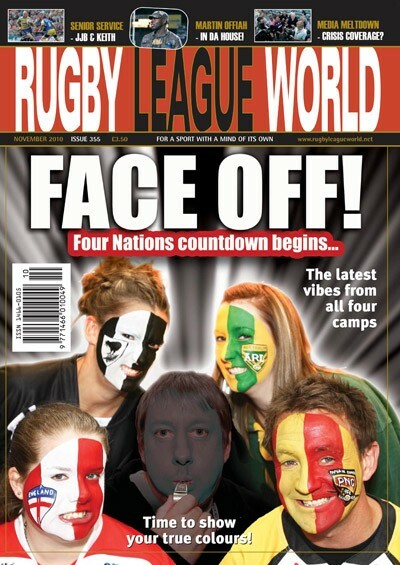 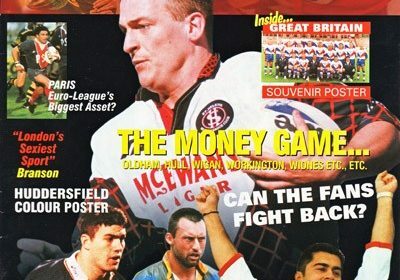 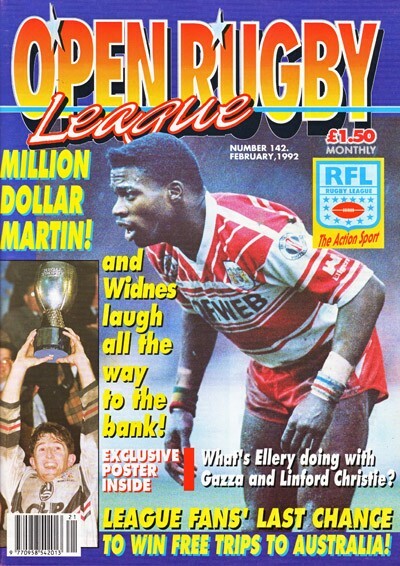 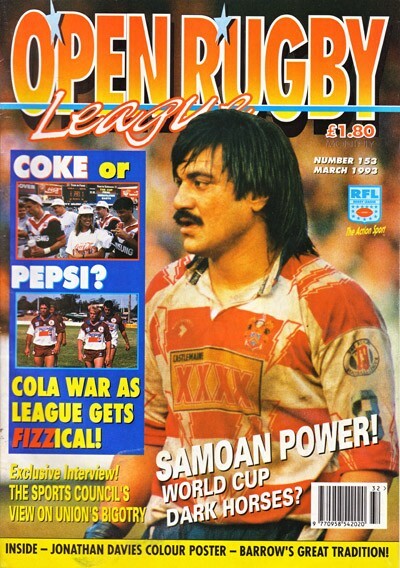 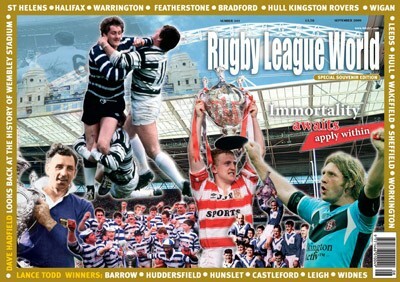 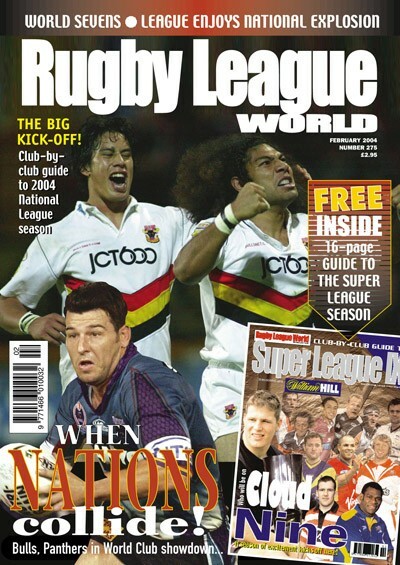 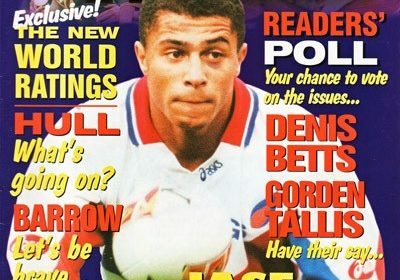 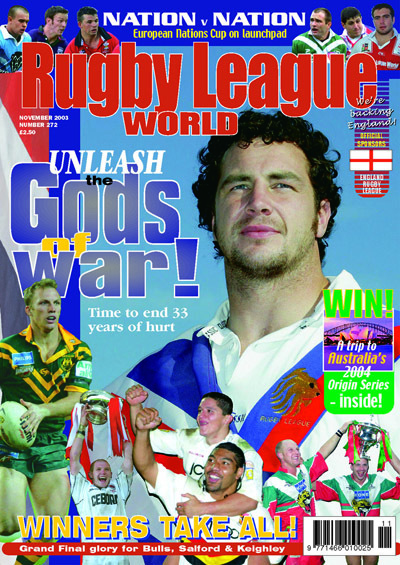 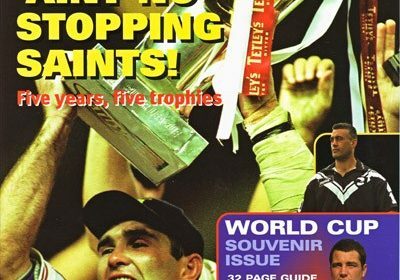 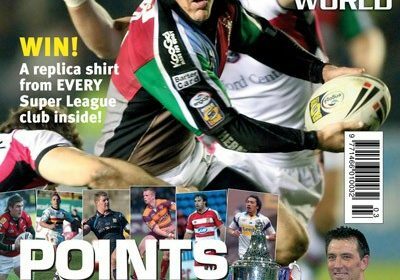 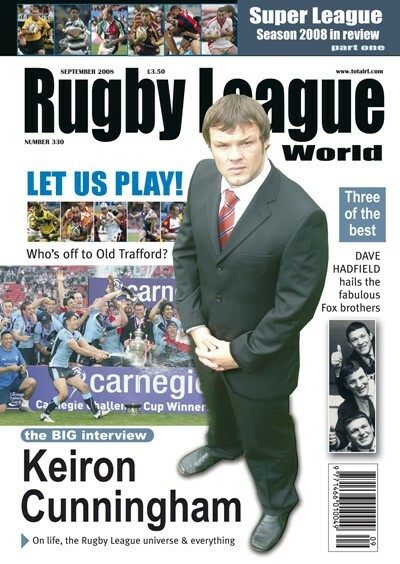 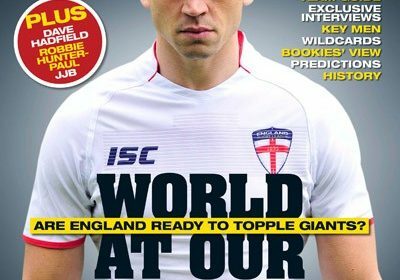 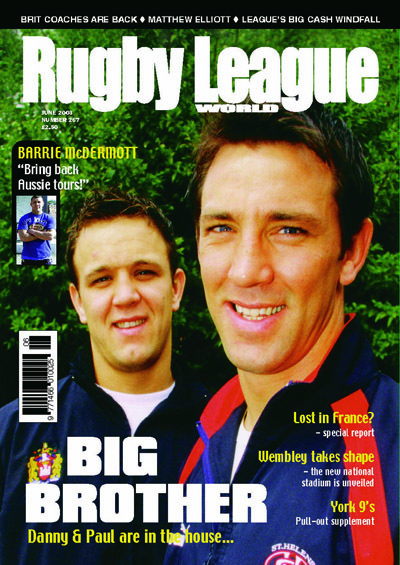 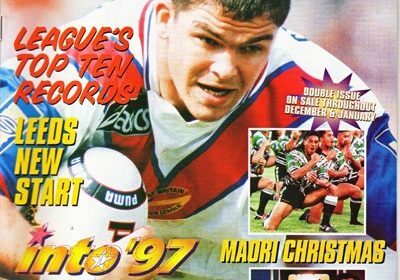 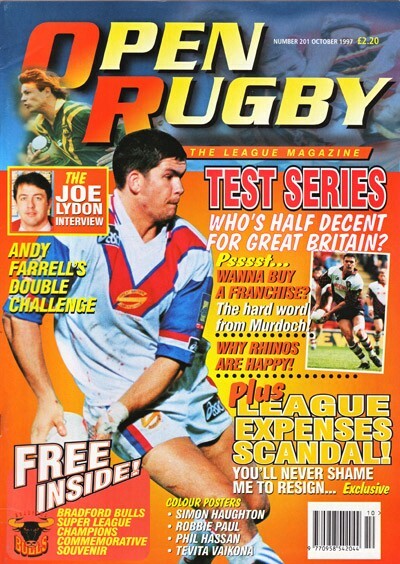 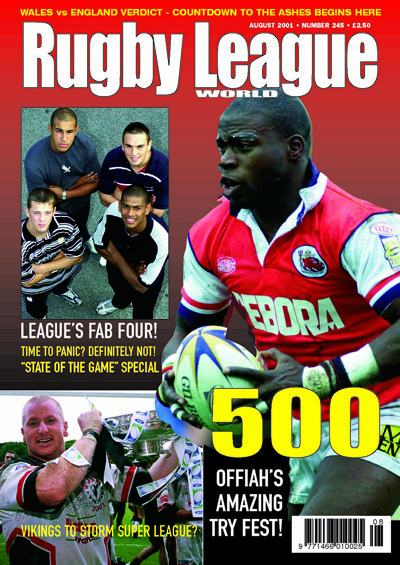 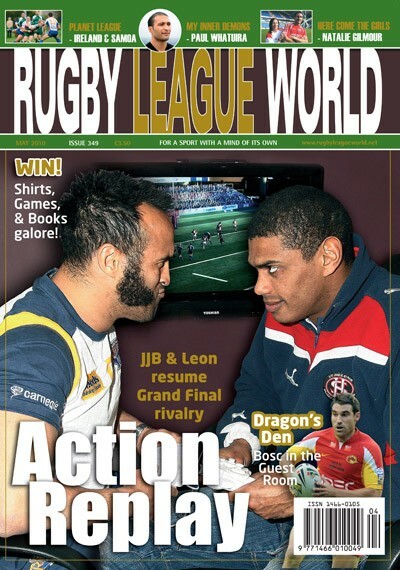 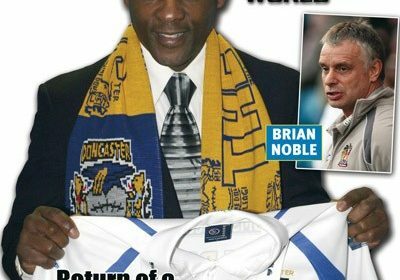 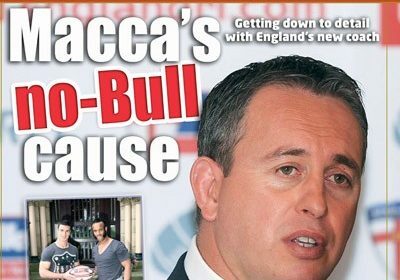 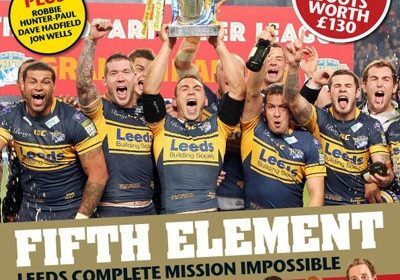 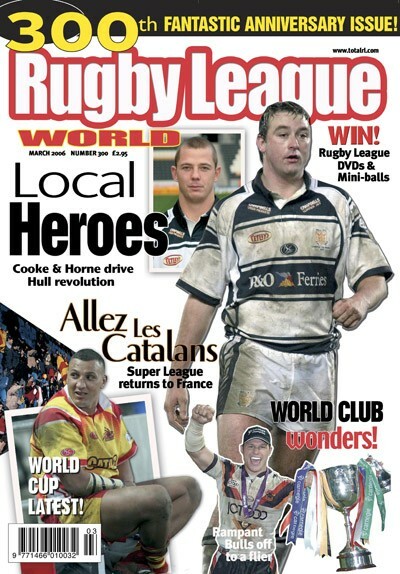 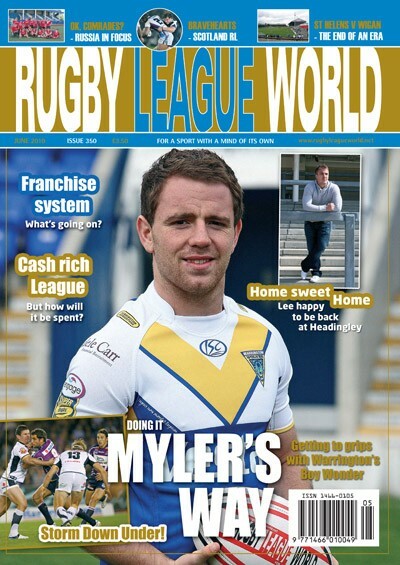 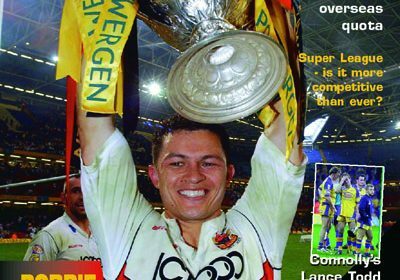 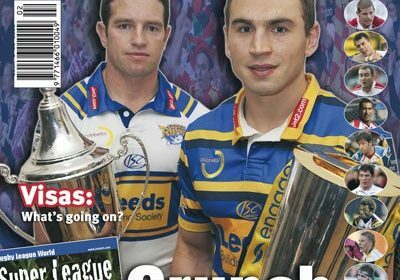 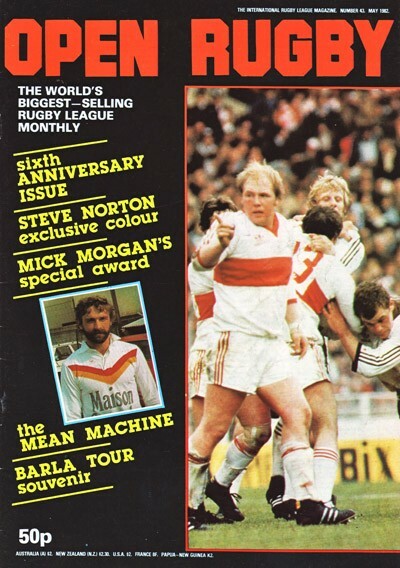 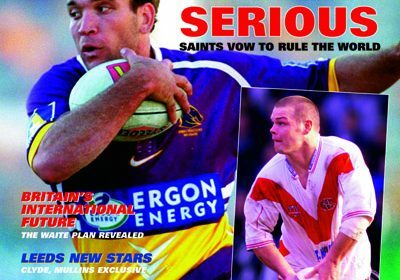 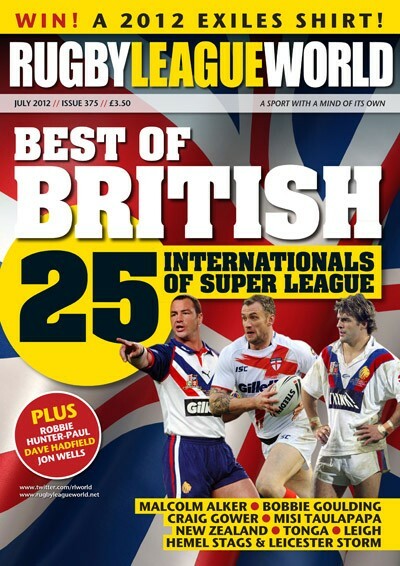 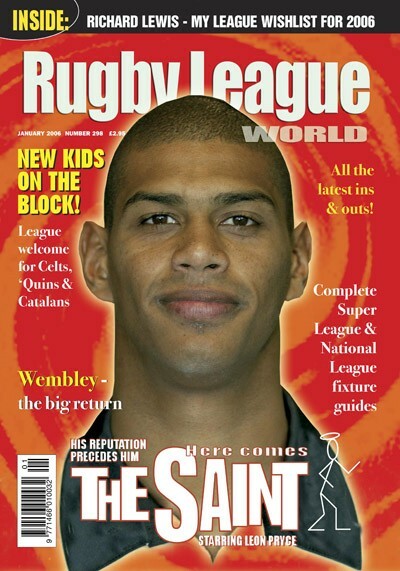 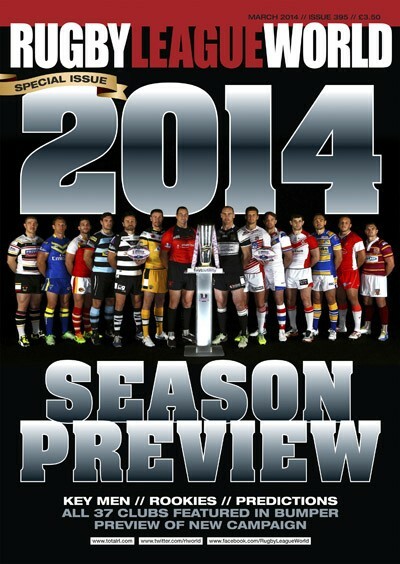 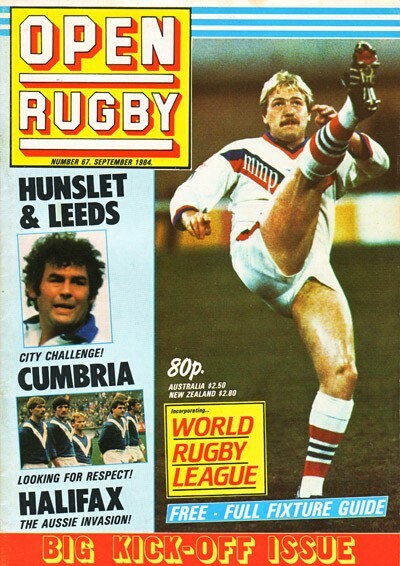 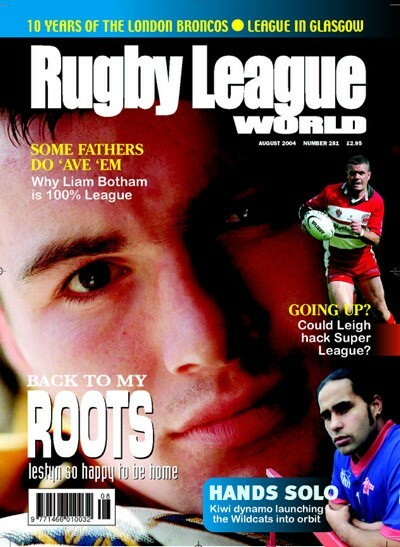 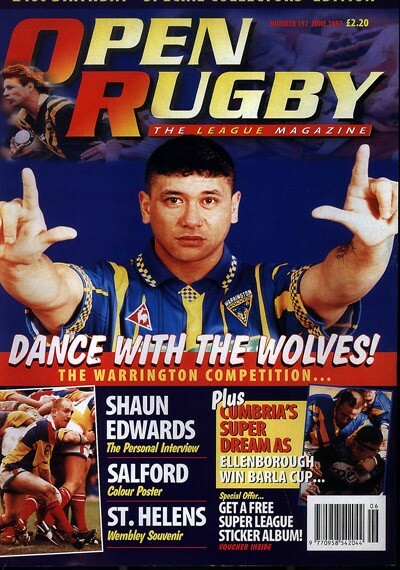 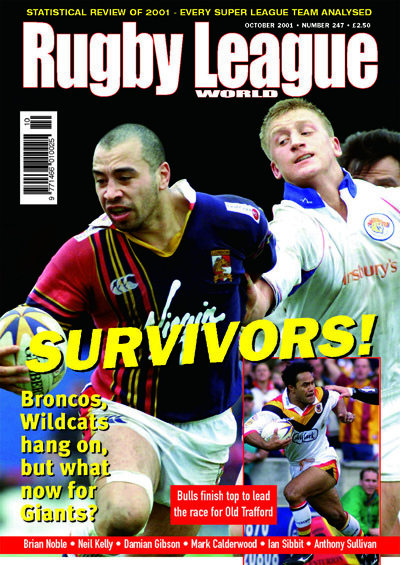 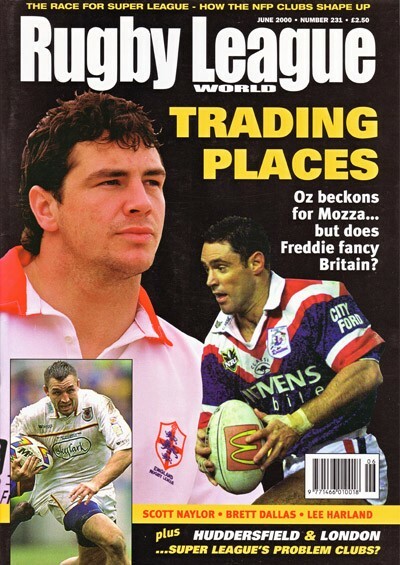 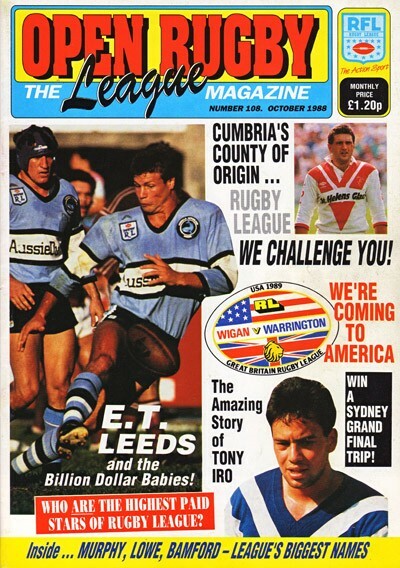 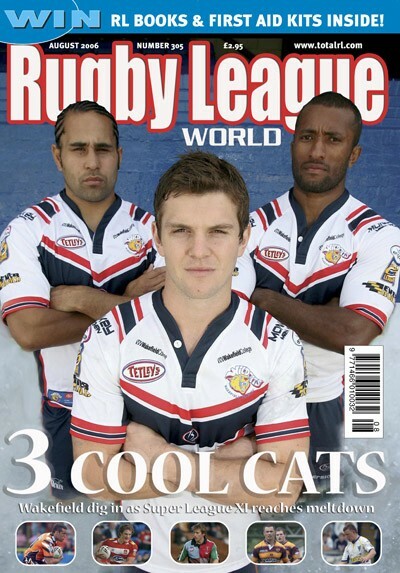 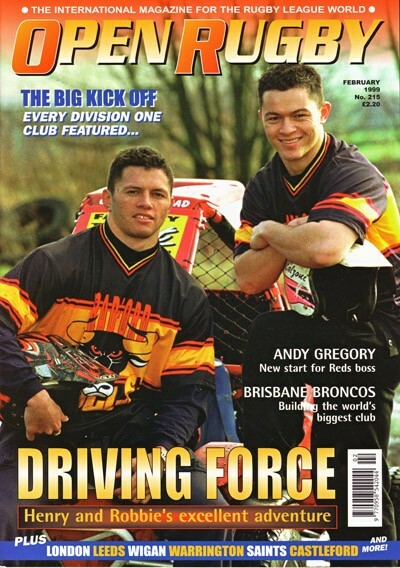 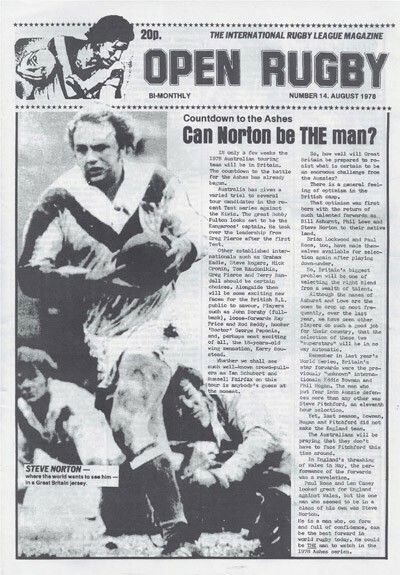 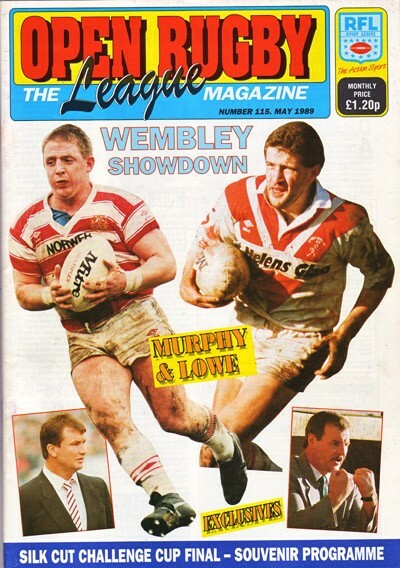 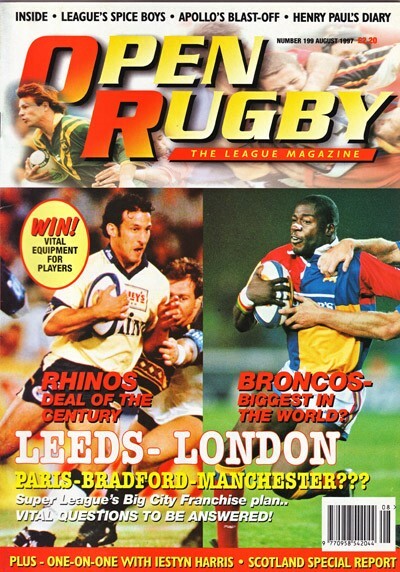 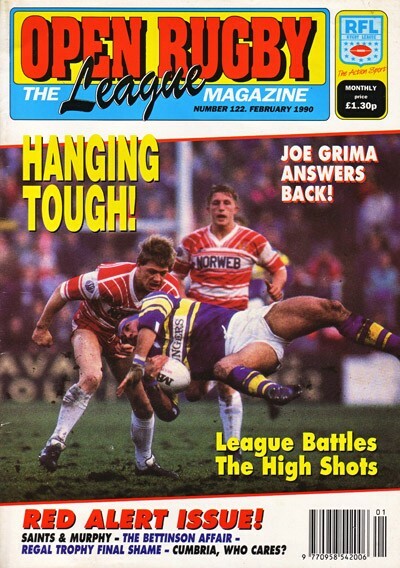 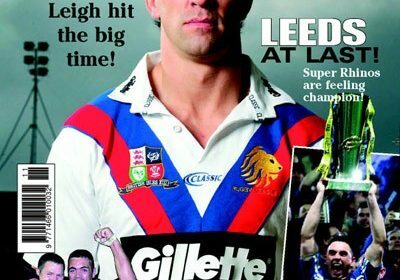 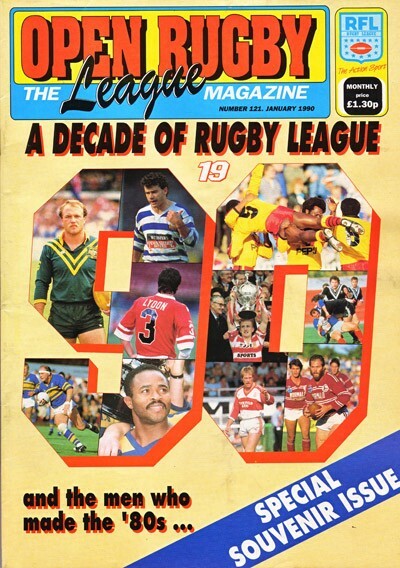 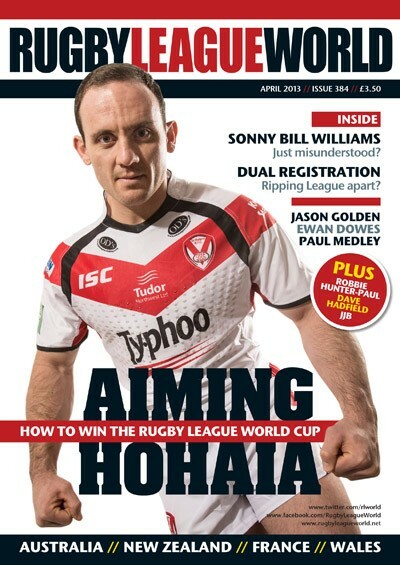 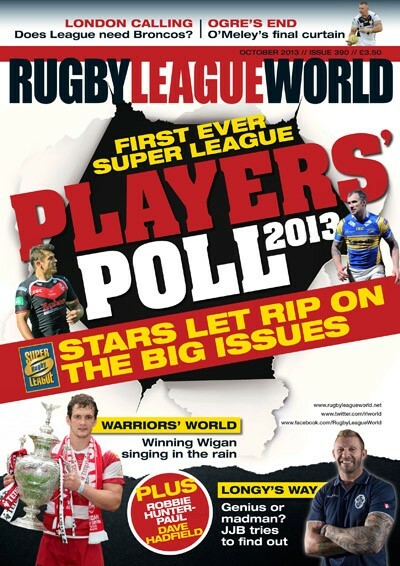 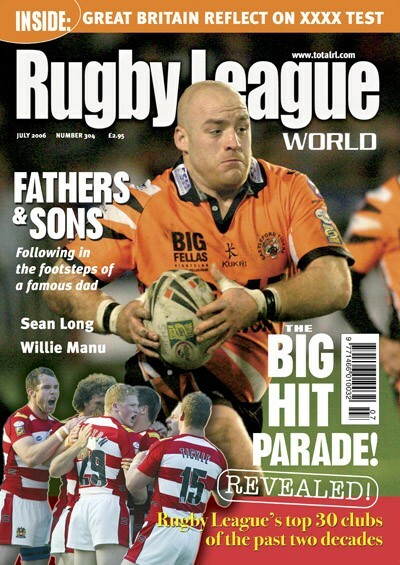 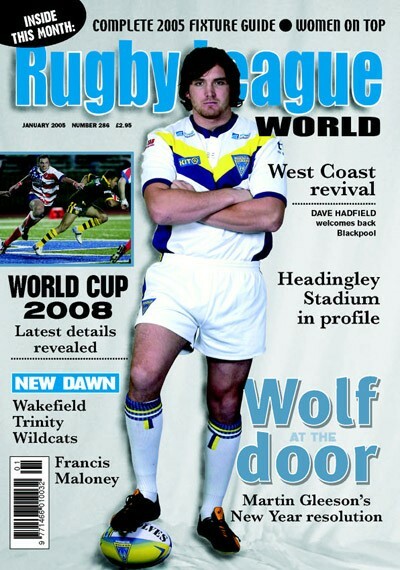 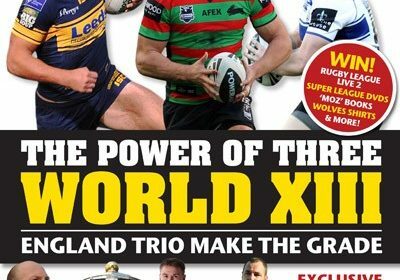 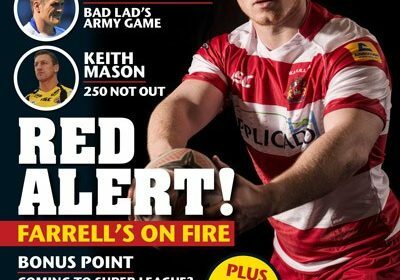 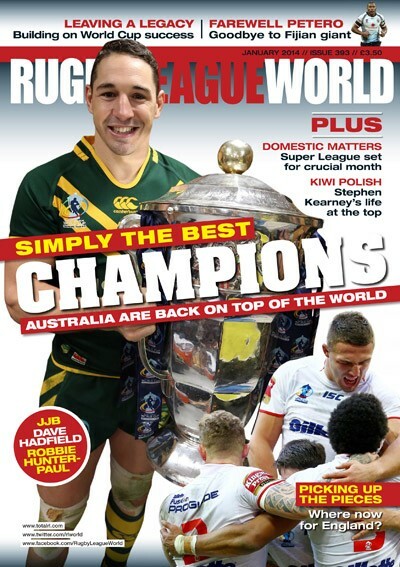 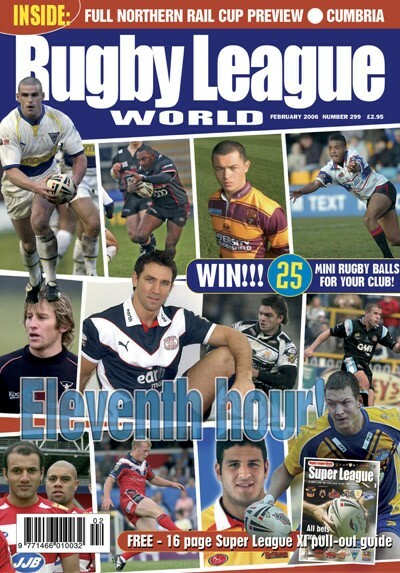 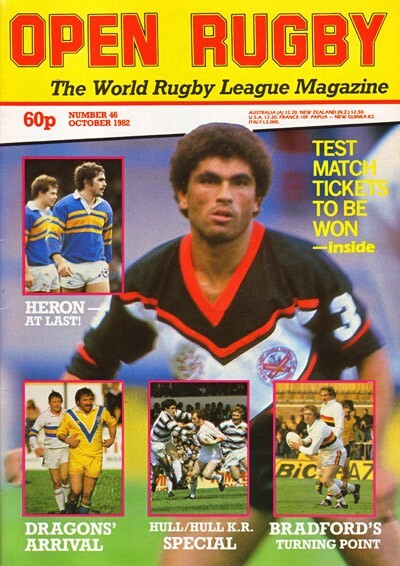 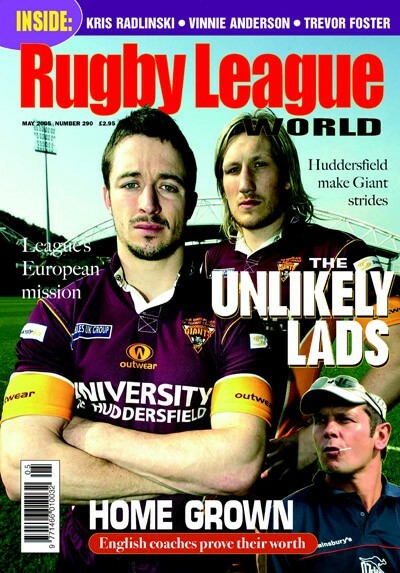 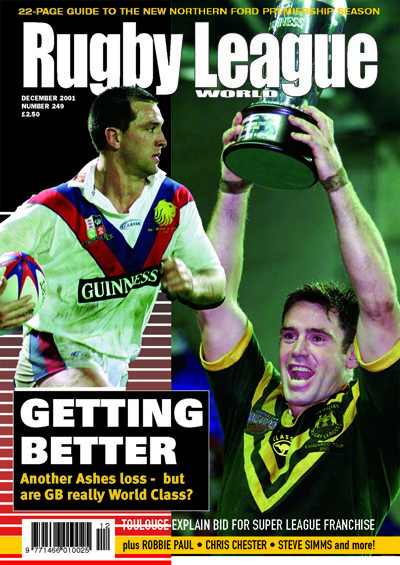 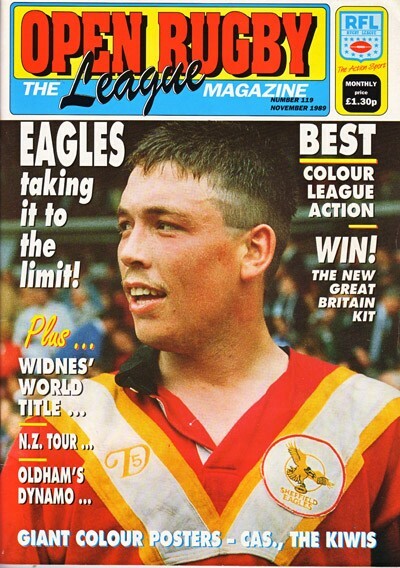 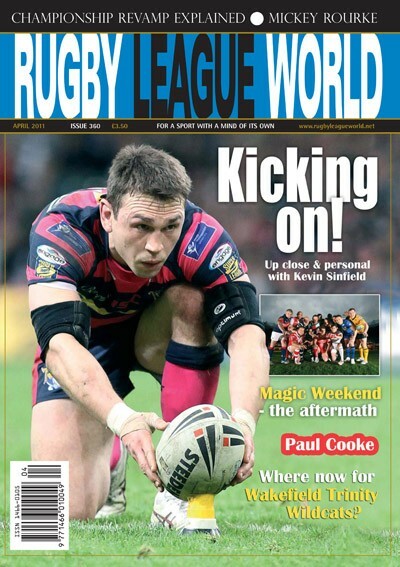 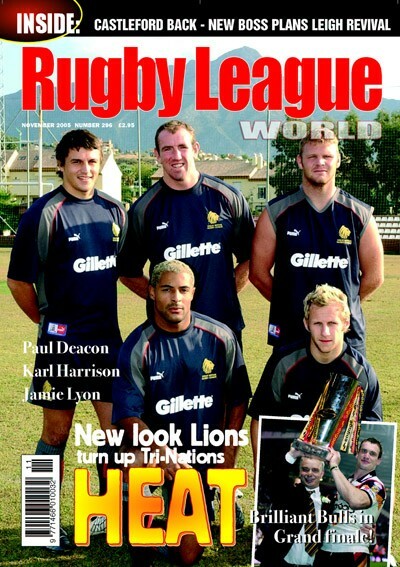 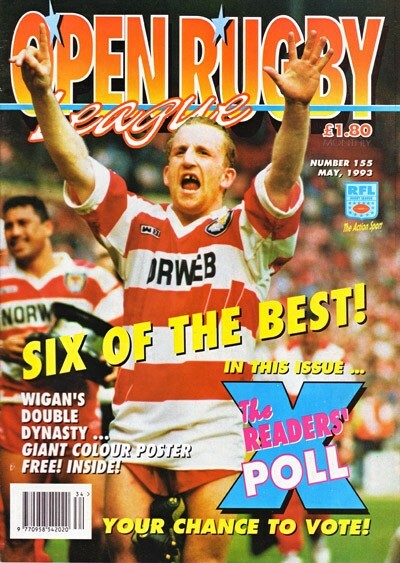 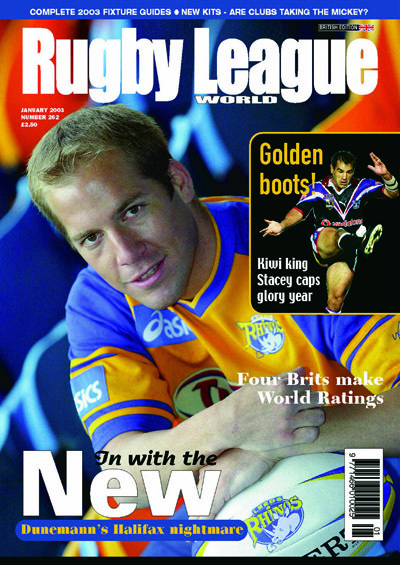 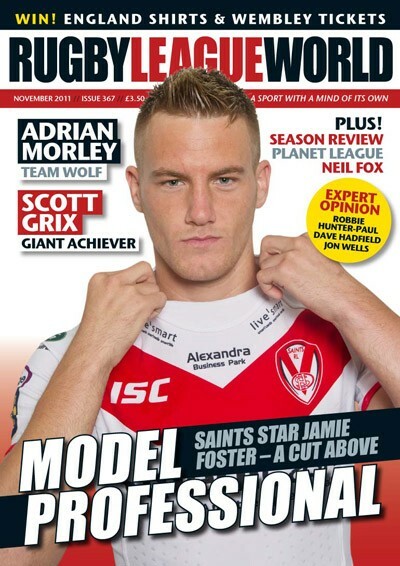 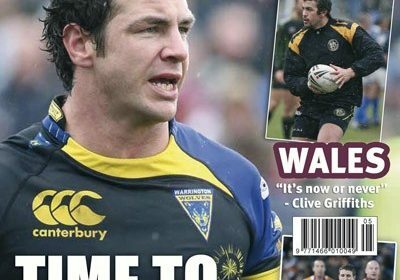 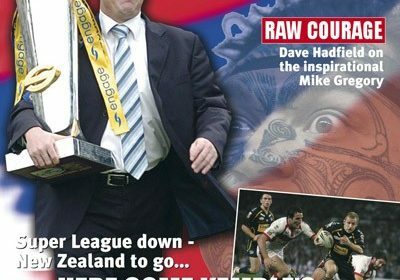 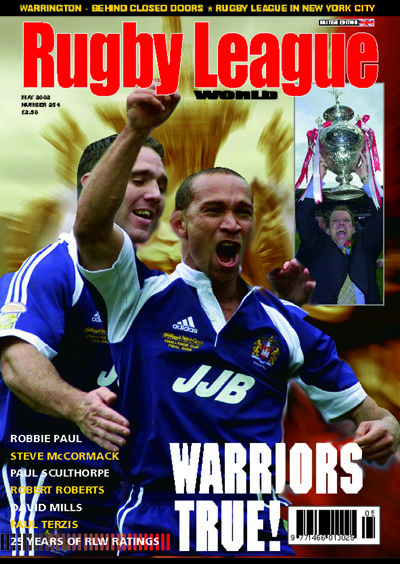 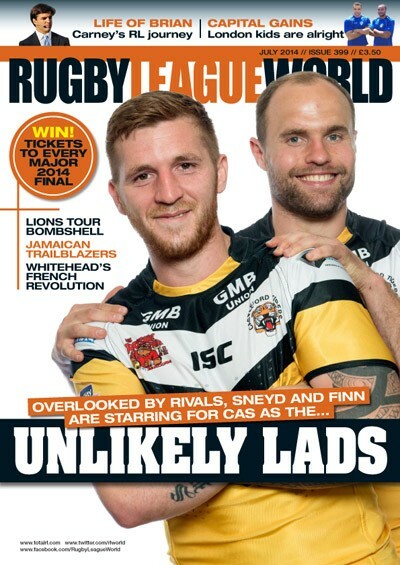 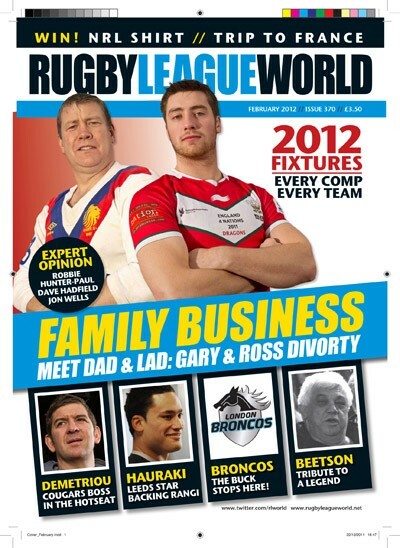 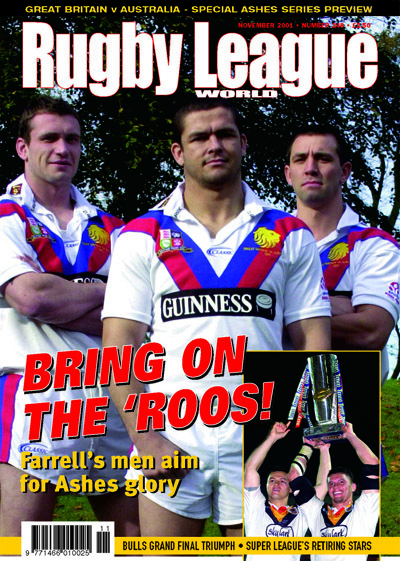 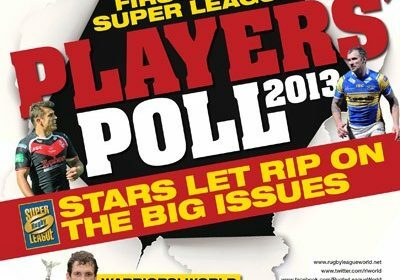 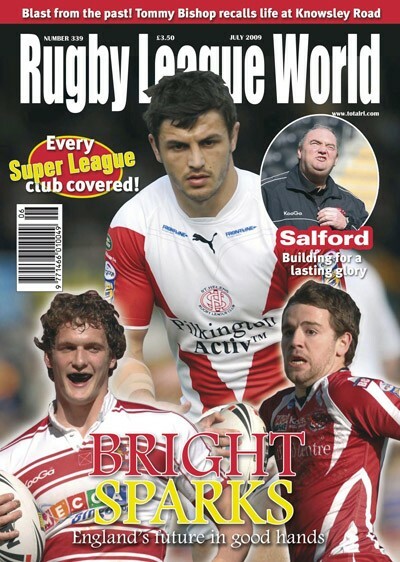 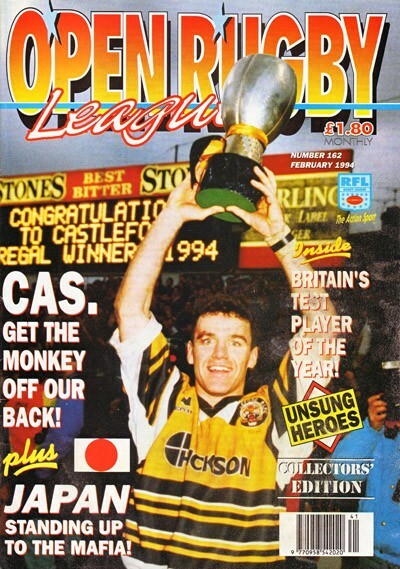 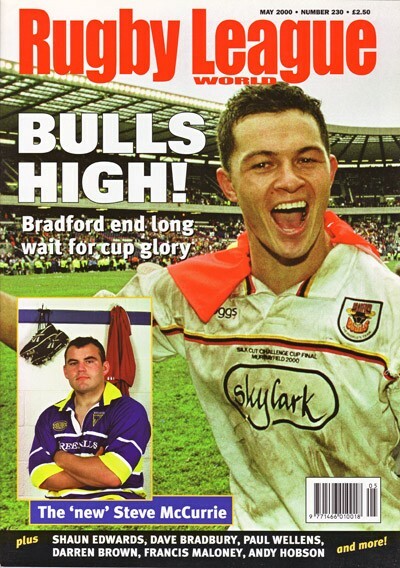 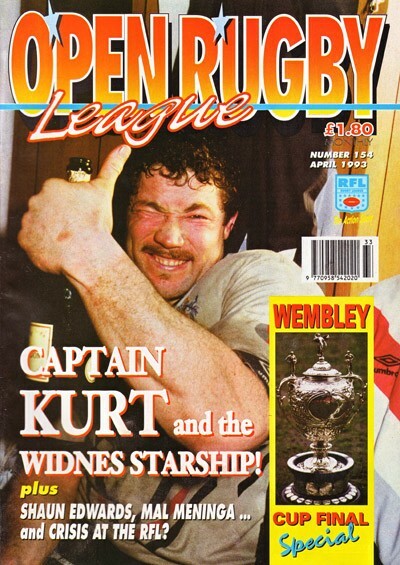 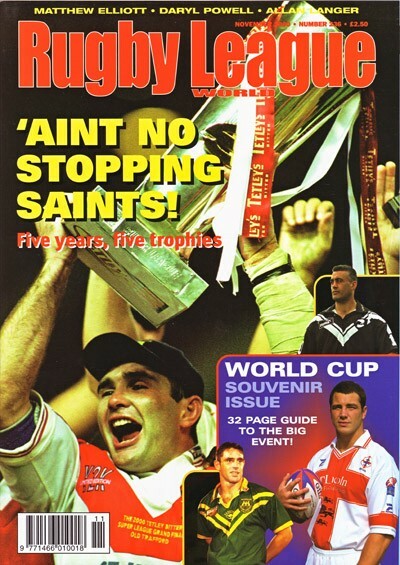 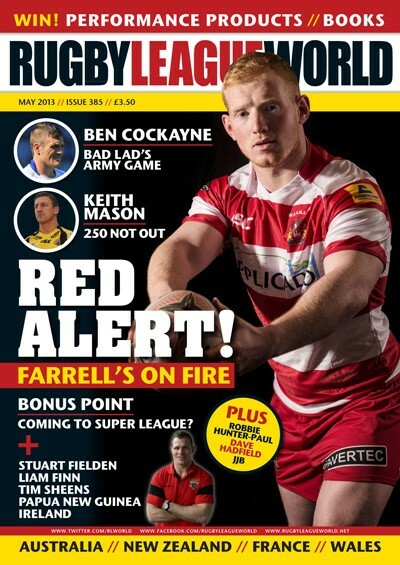 Rugby League World Magazine published its 400th issue on 11th July 2014. 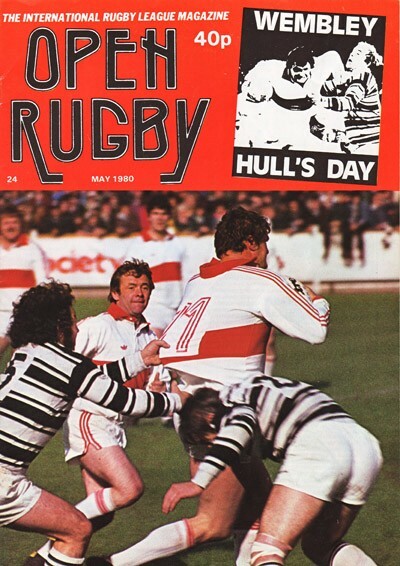 To celebrate this landmark occasion we gathered together for the first time in one place every single front cover since the mag began life as Open Rugby in May 1976. 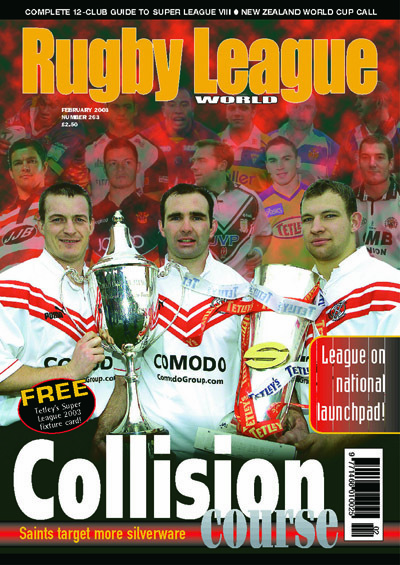 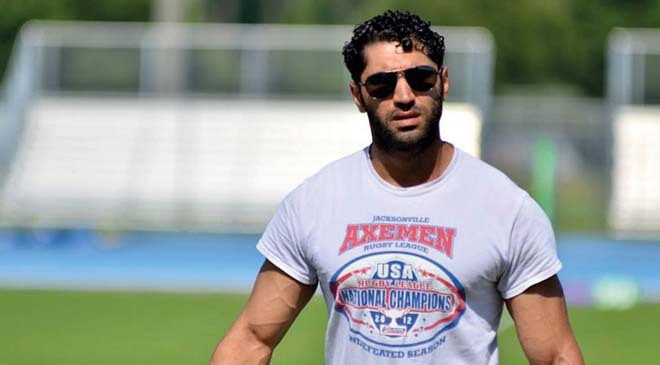 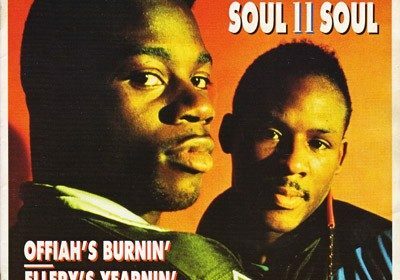 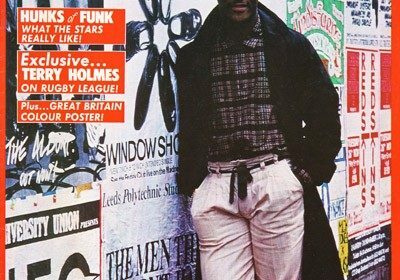 Scroll down the page to view the gallery and click on a cover to view the enlarged image. 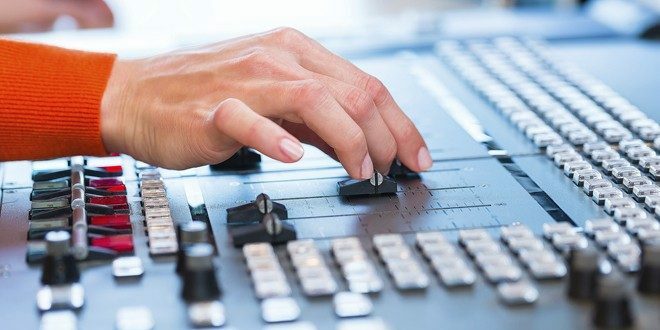 You can navigate backwards and forwards between the enlarged images or choose to play a continuous slideshow of all the images in sequence. 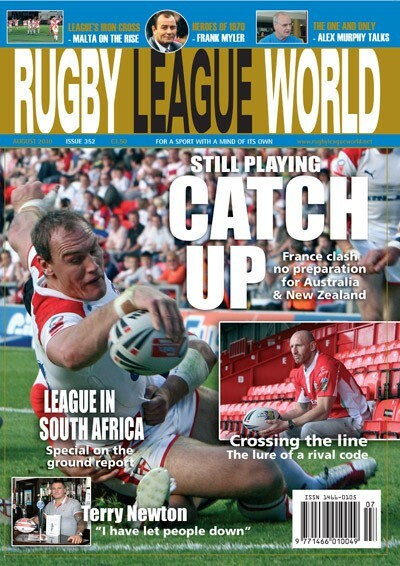 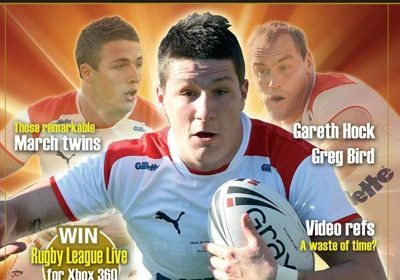 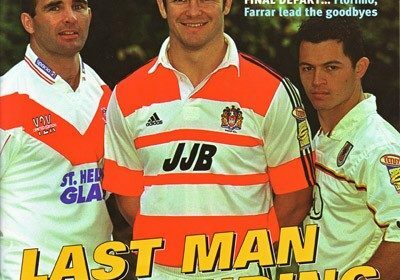 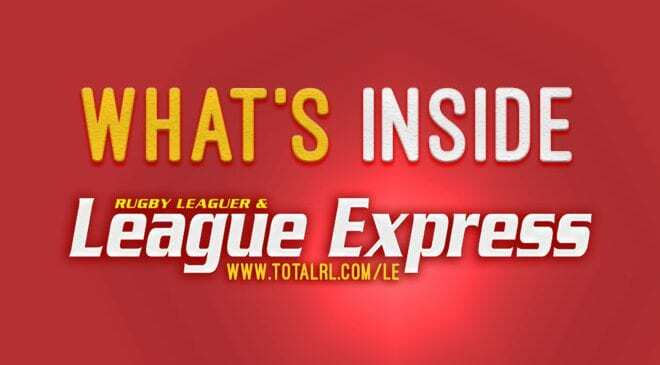 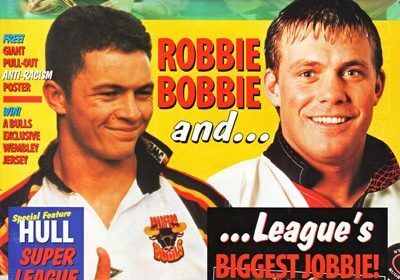 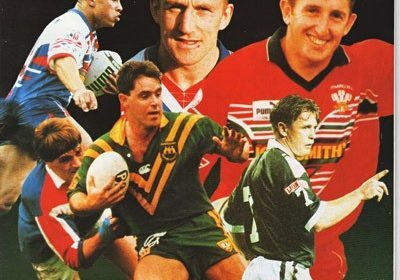 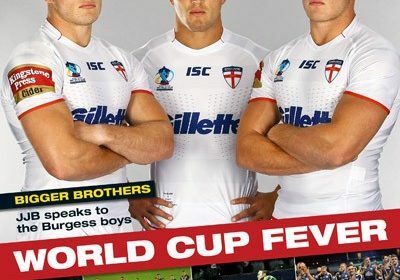 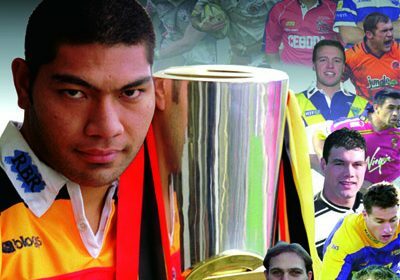 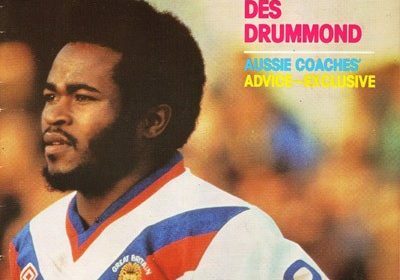 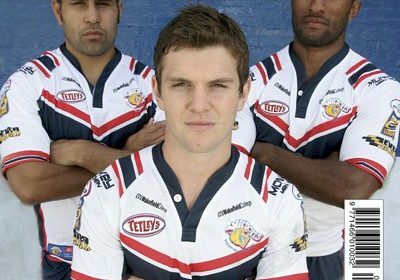 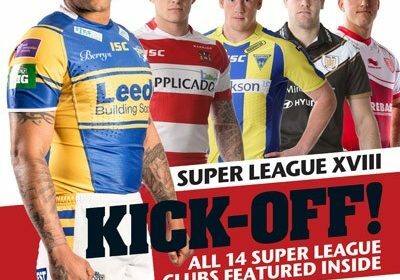 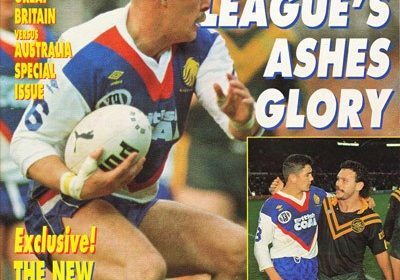 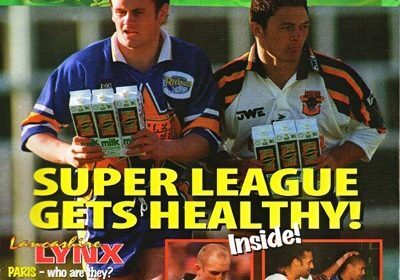 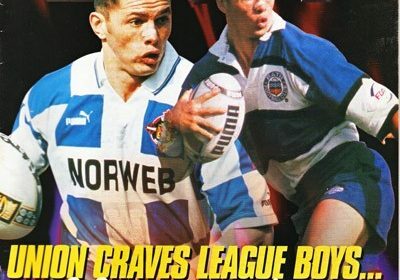 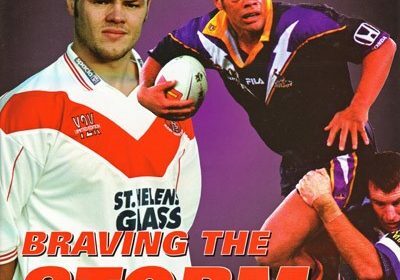 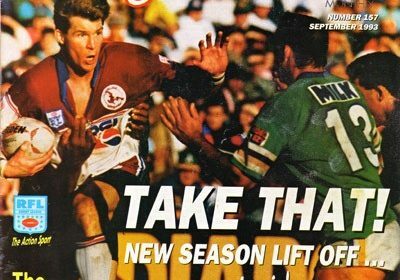 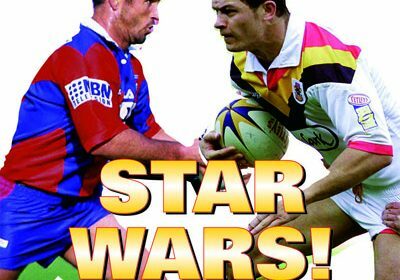 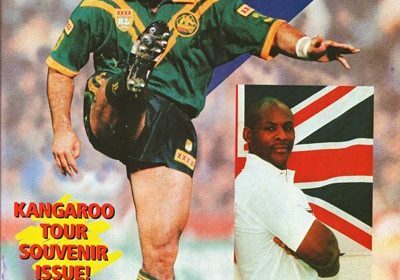 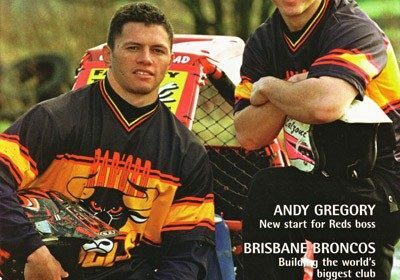 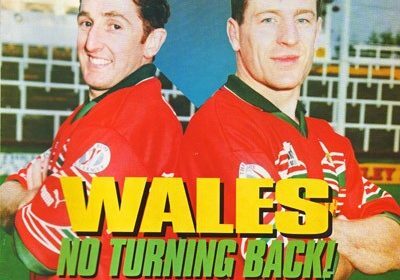 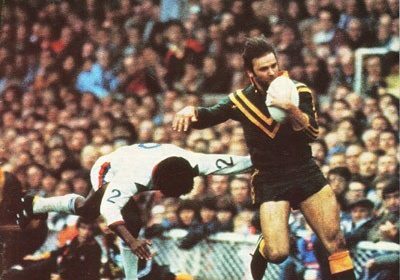 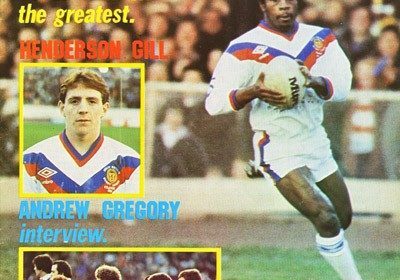 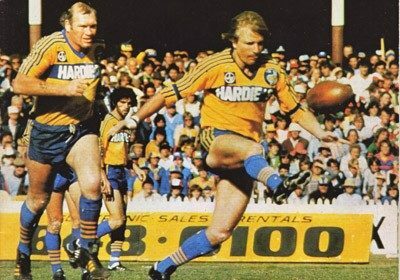 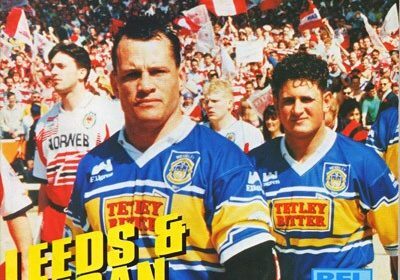 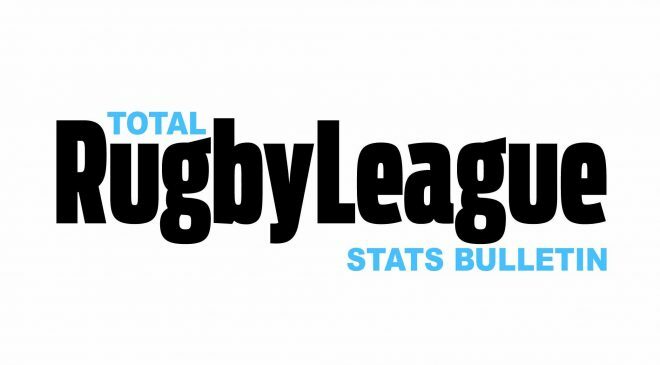 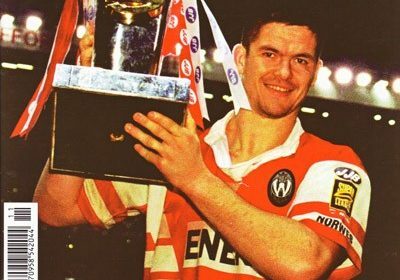 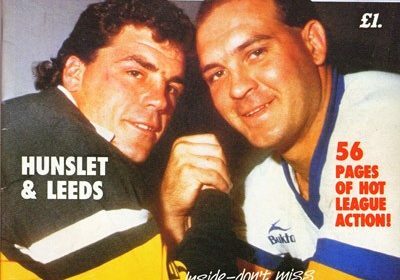 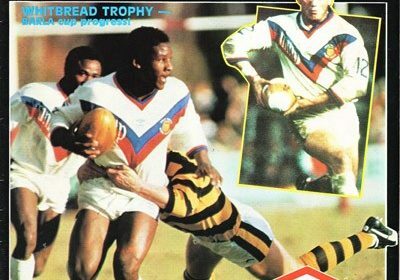 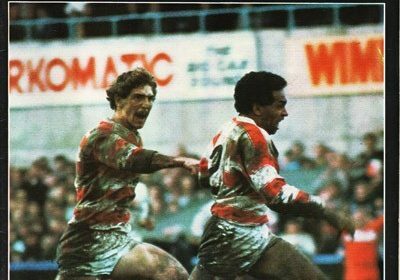 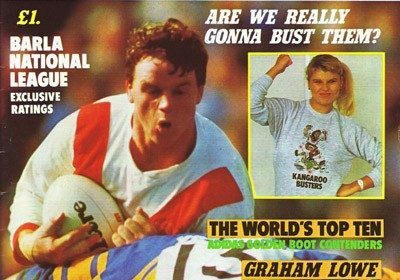 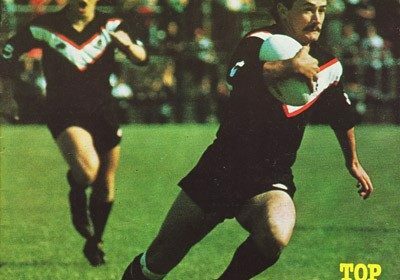 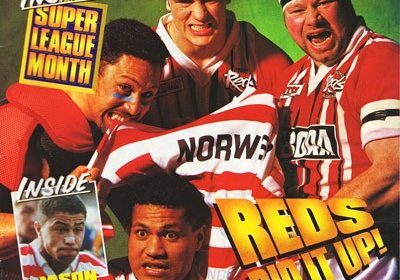 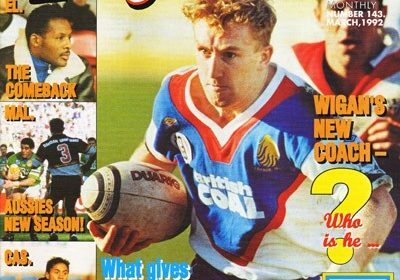 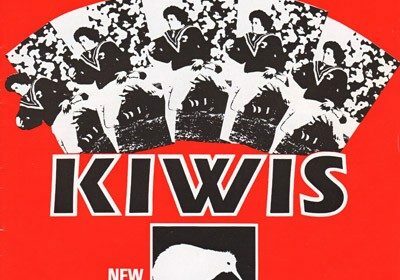 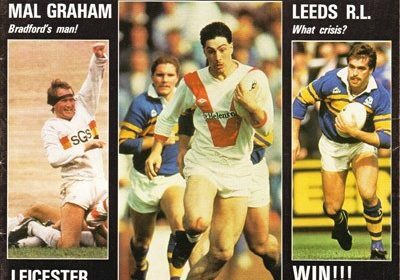 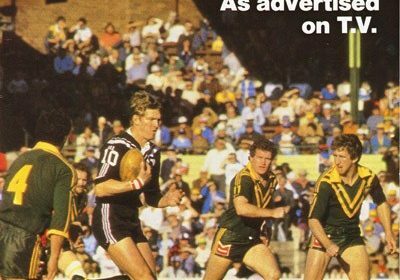 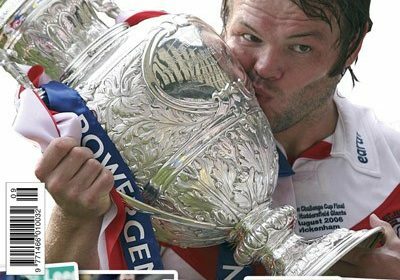 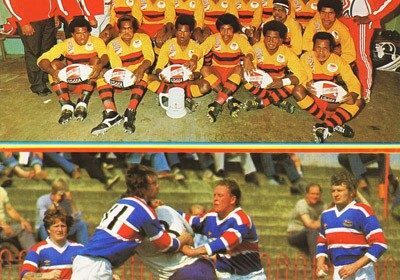 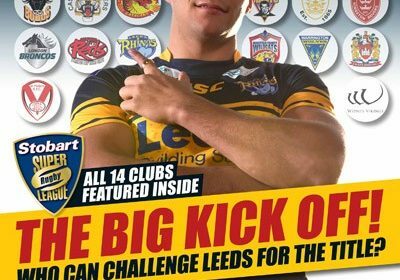 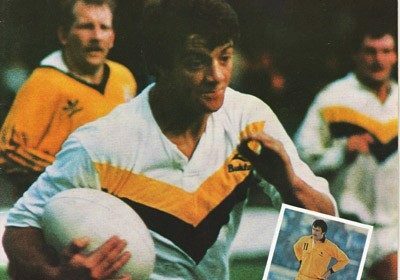 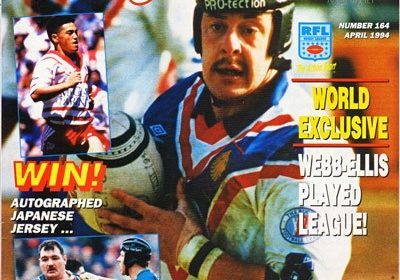 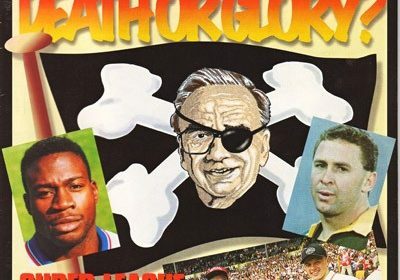 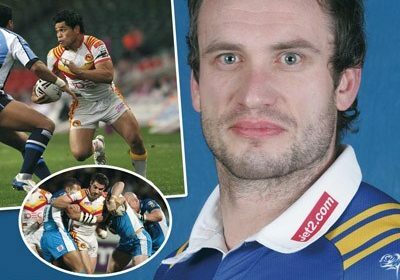 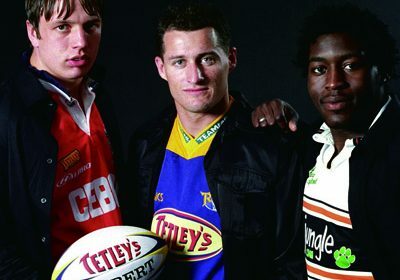 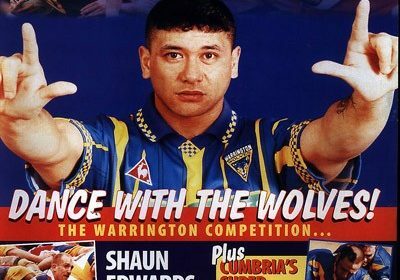 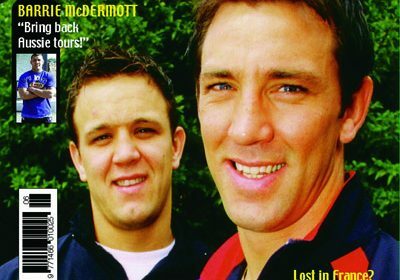 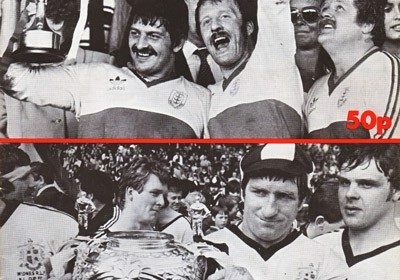 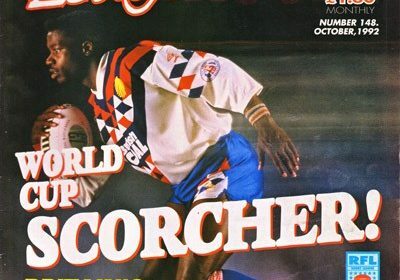 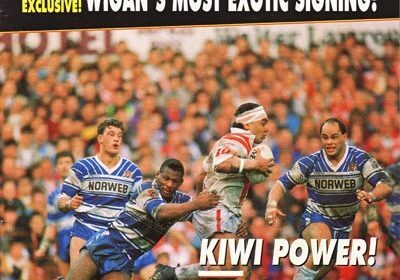 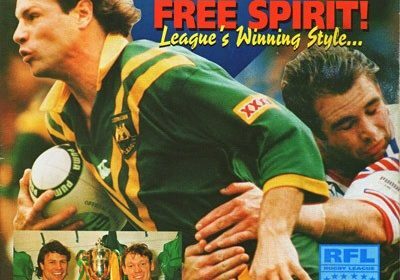 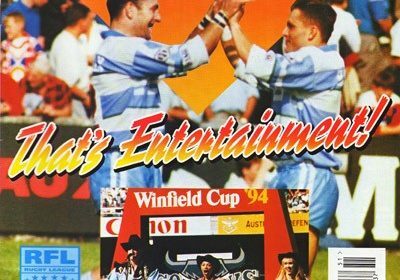 Rugby League World is still going strong! 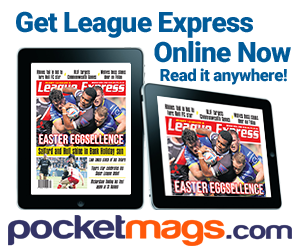 Click here to get the latest issue in print or online. 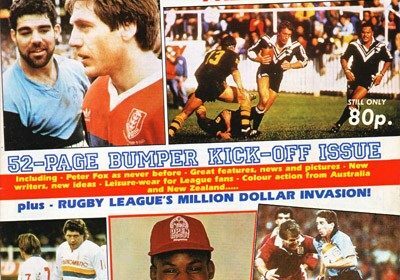 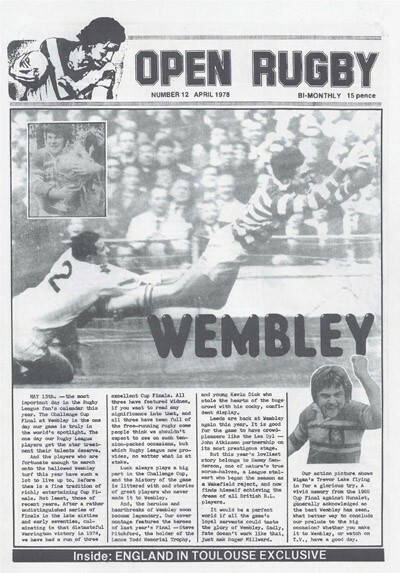 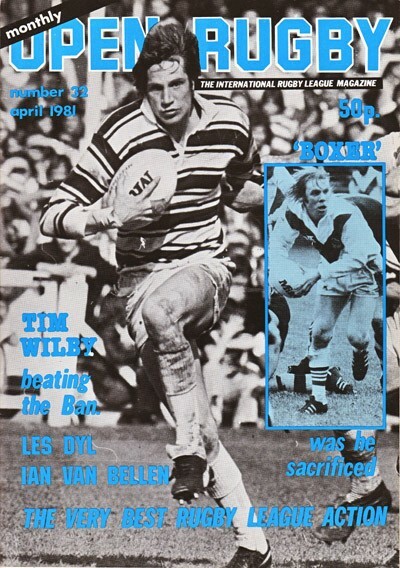 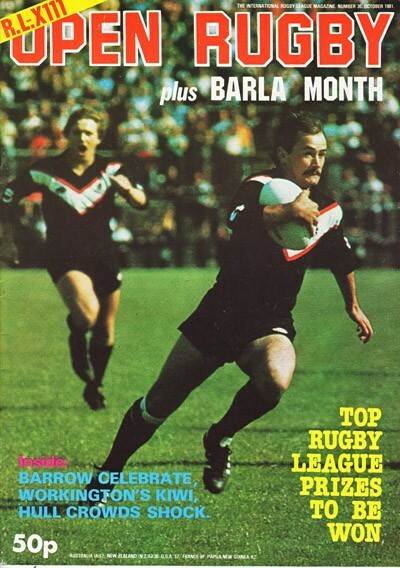 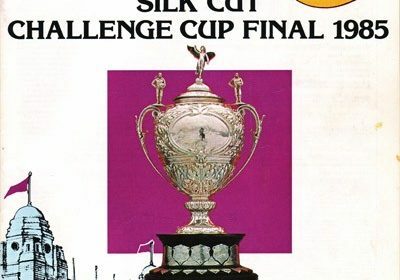 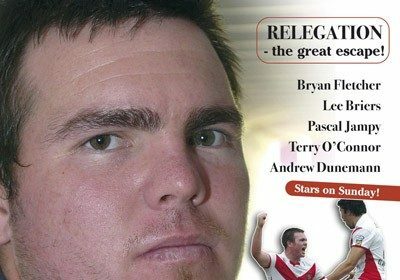 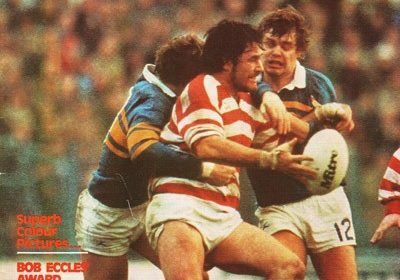 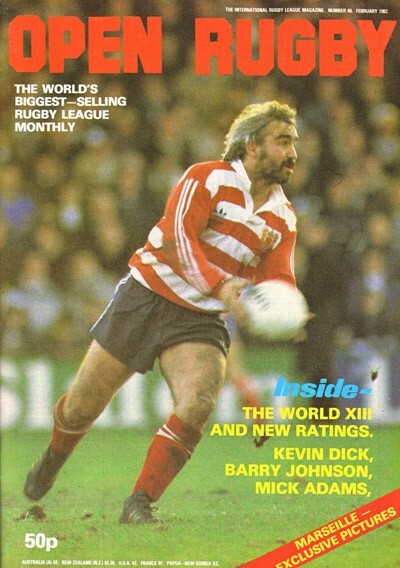 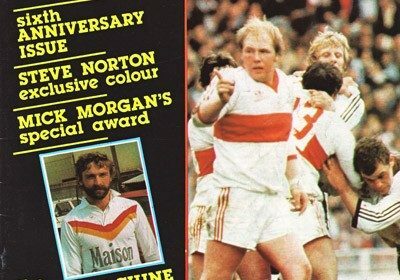 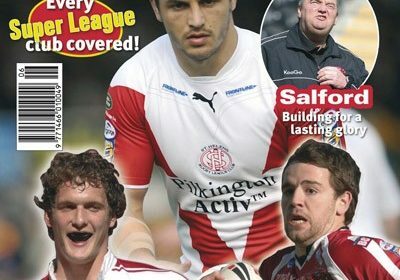 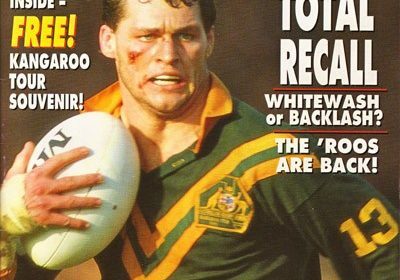 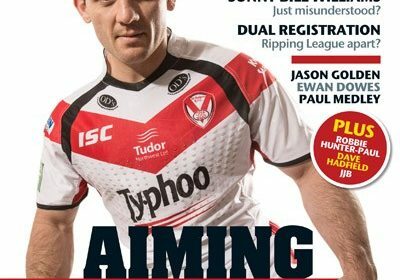 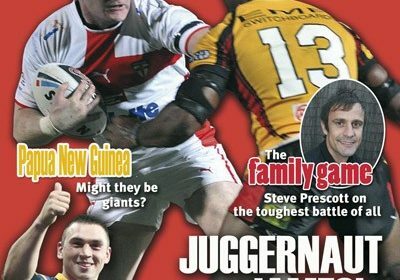 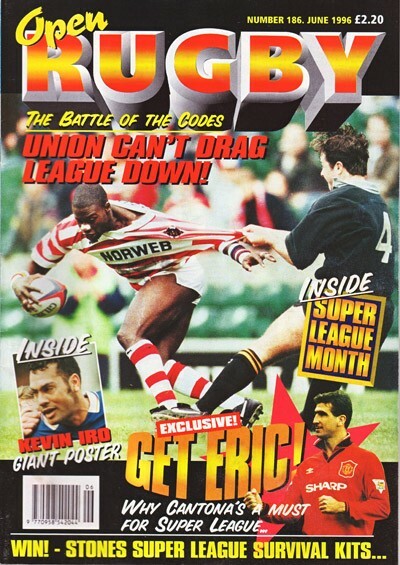 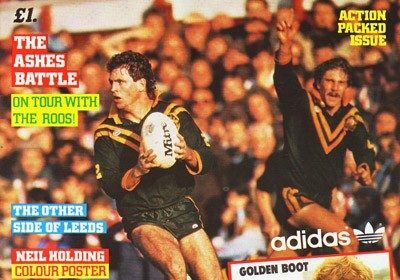 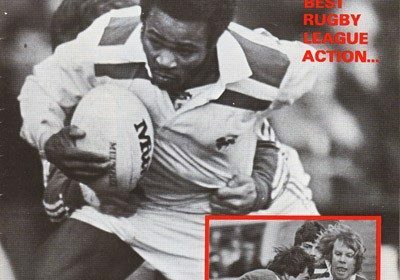 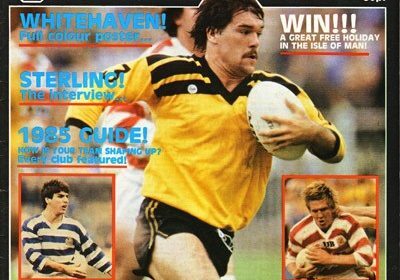 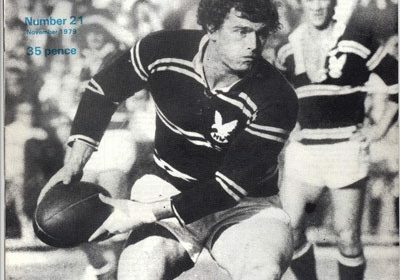 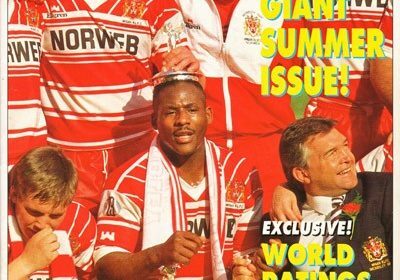 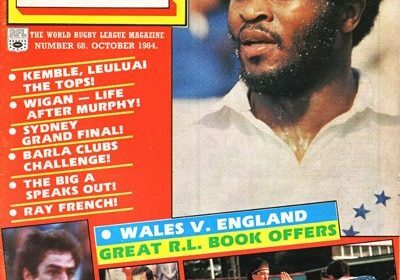 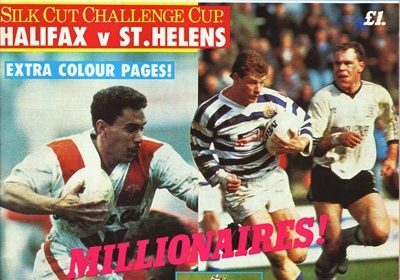 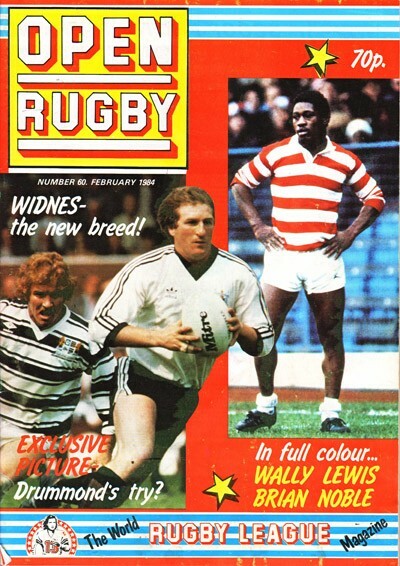 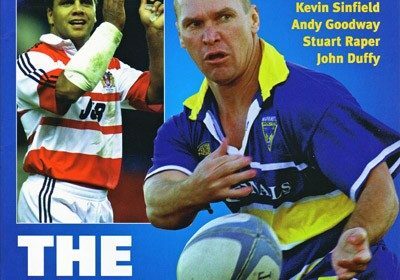 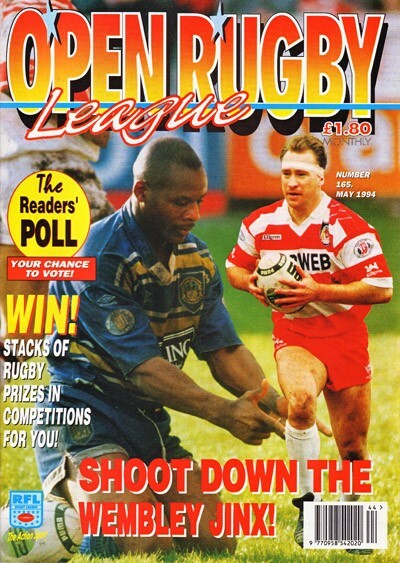 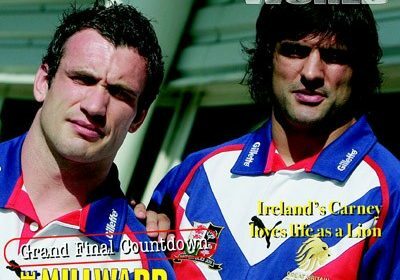 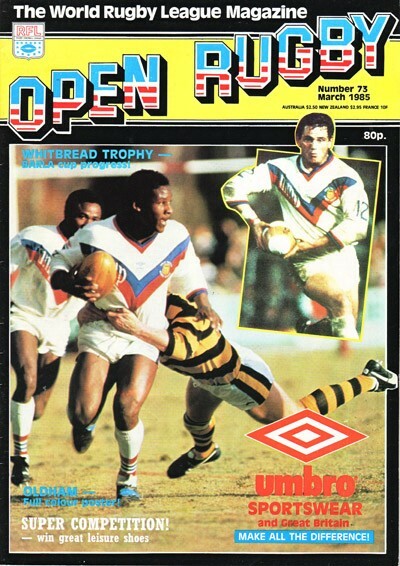 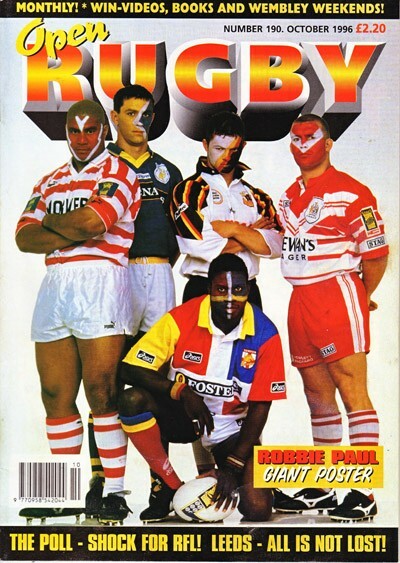 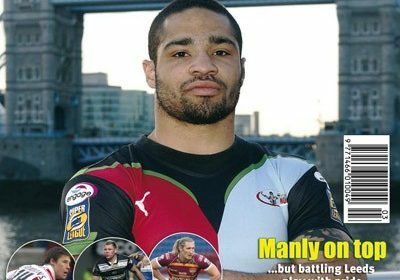 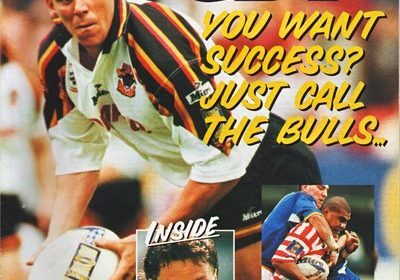 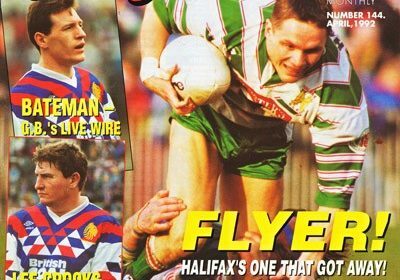 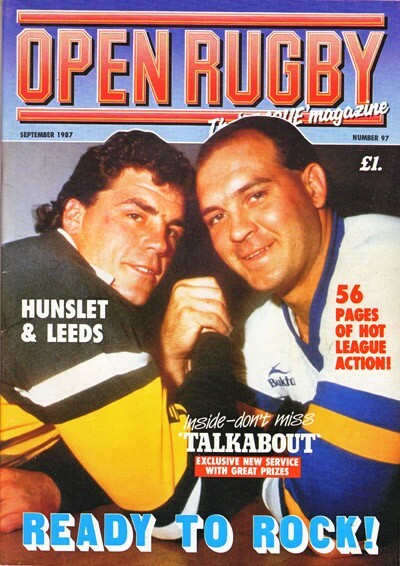 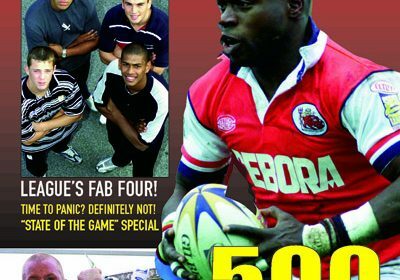 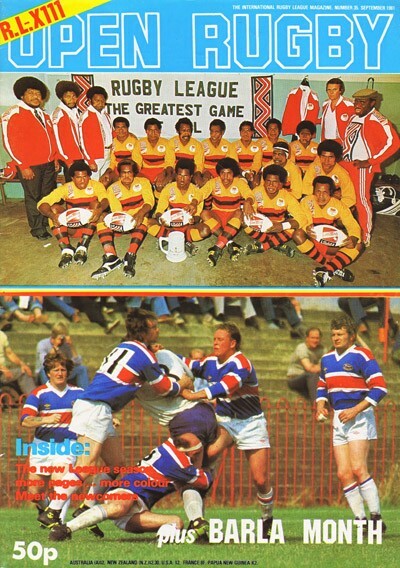 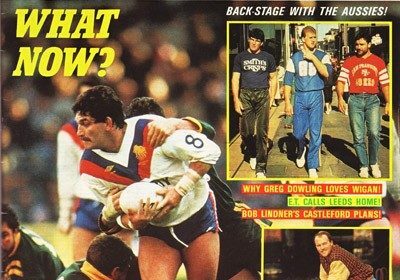 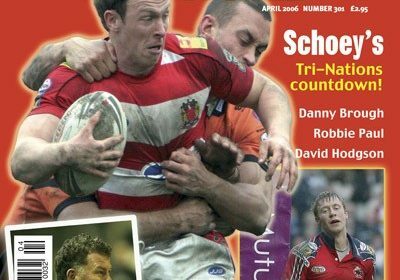 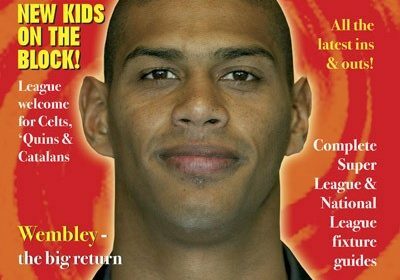 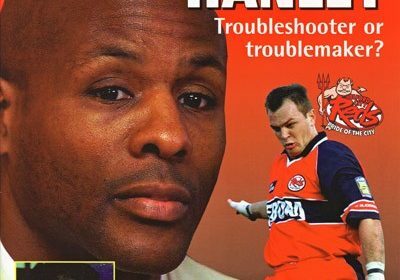 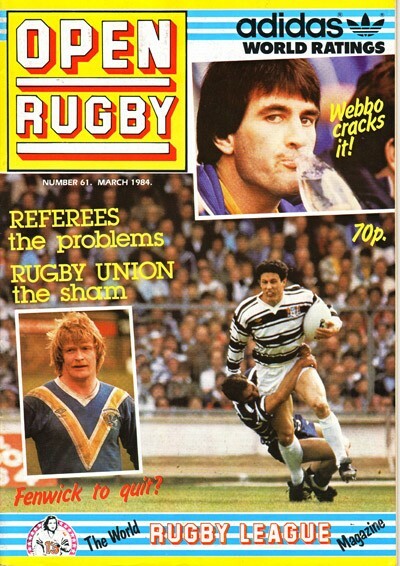 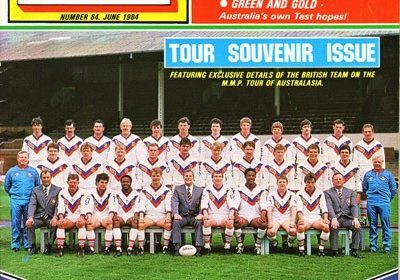 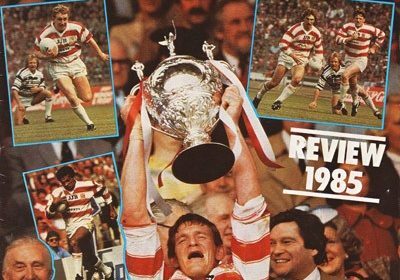 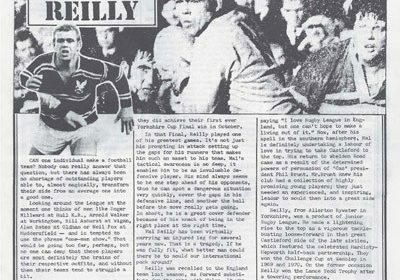 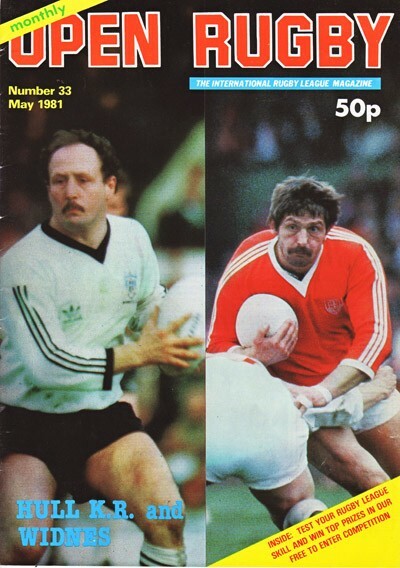 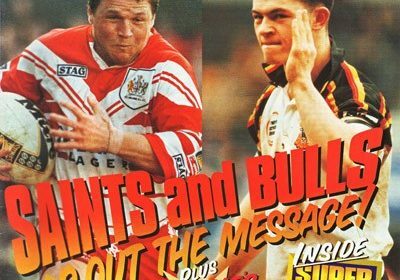 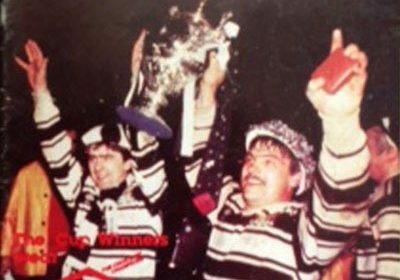 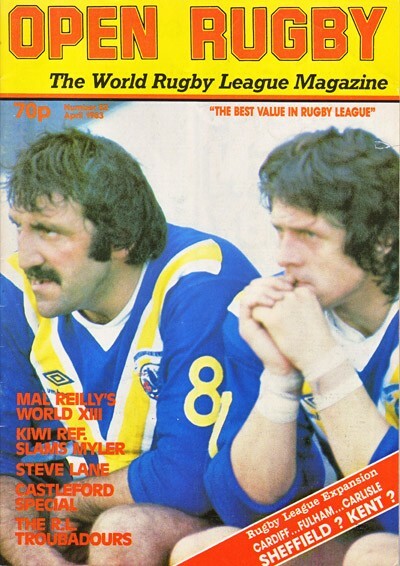 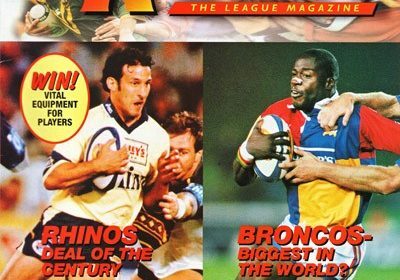 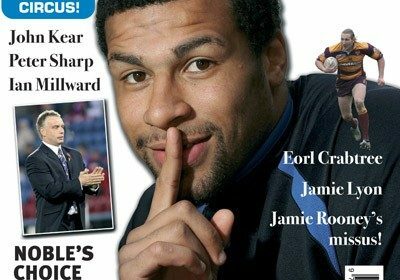 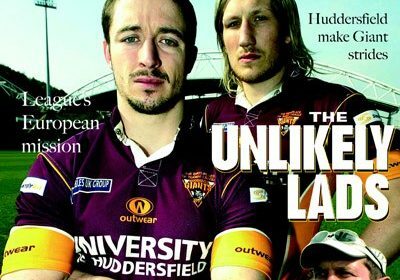 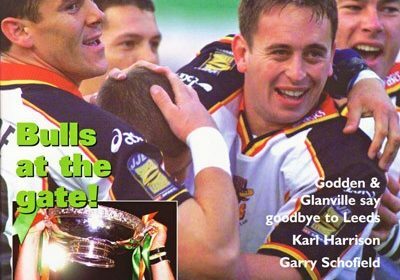 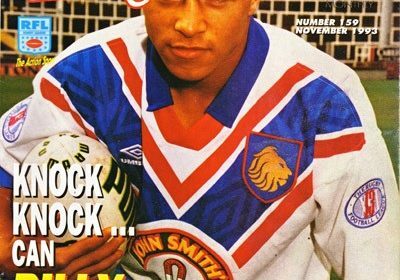 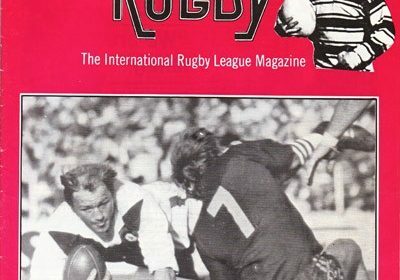 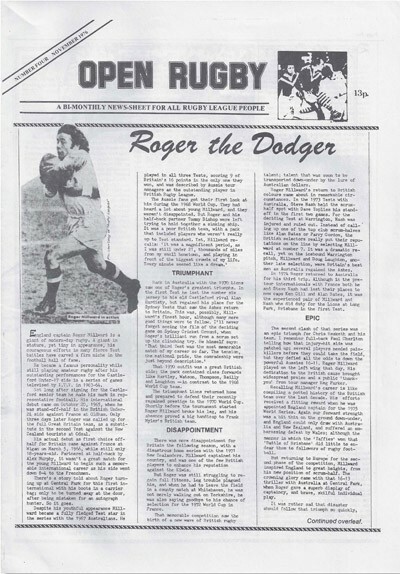 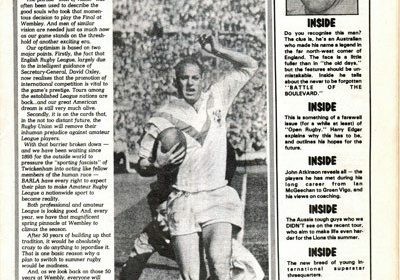 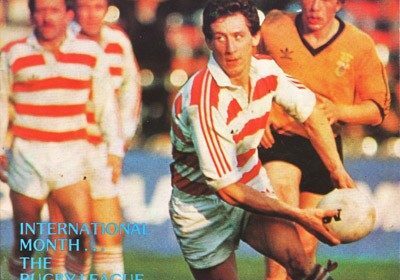 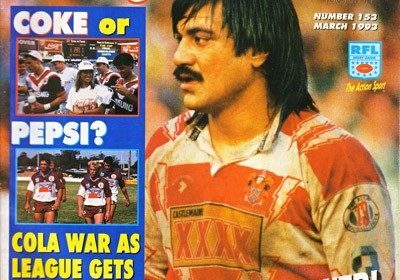 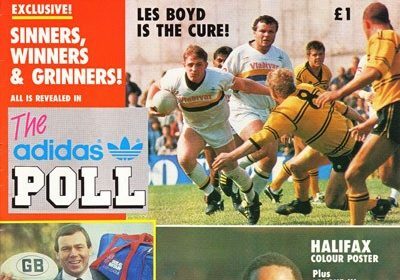 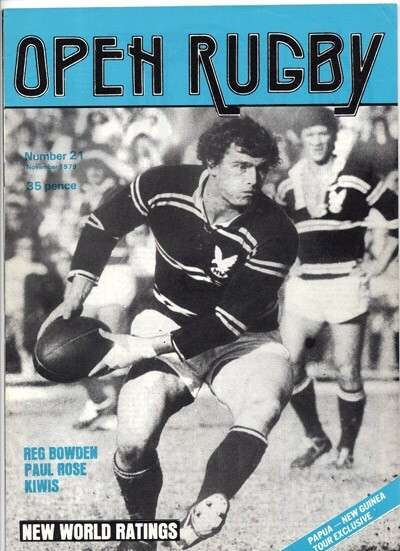 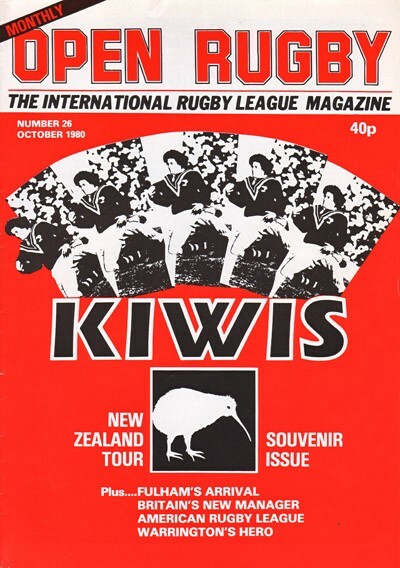 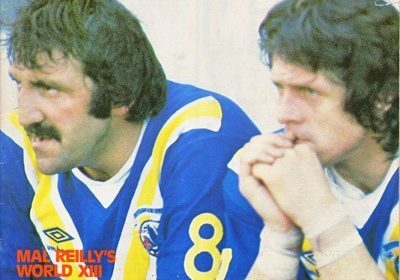 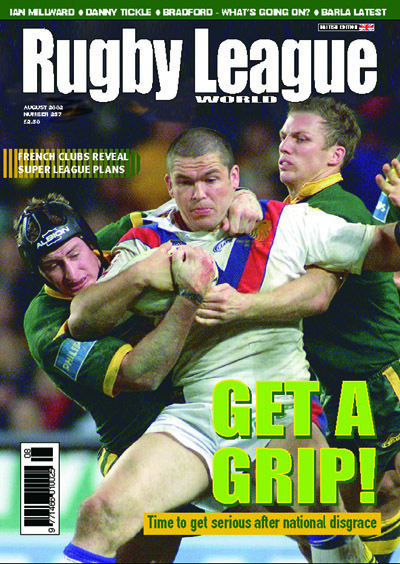 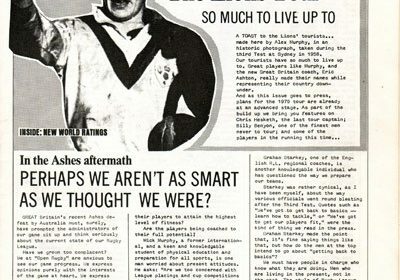 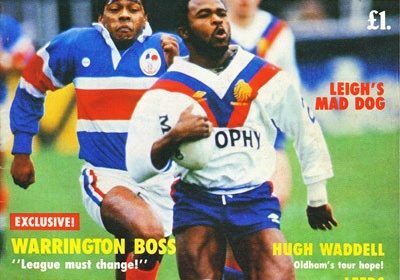 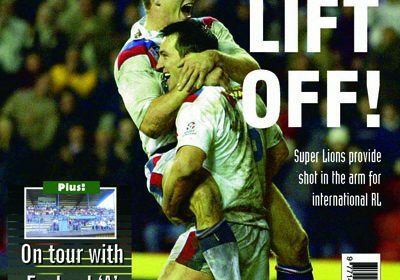 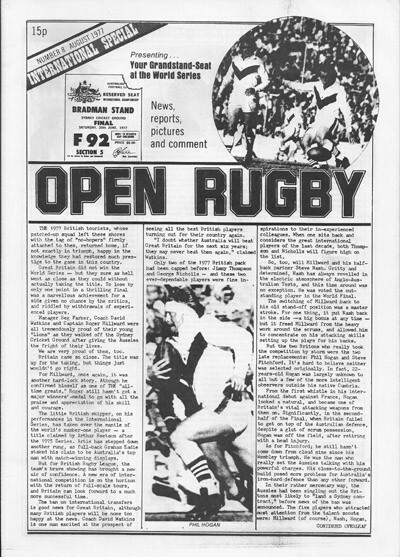 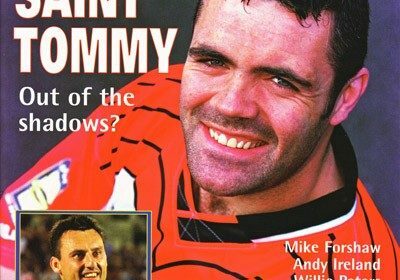 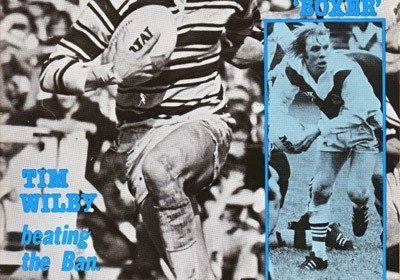 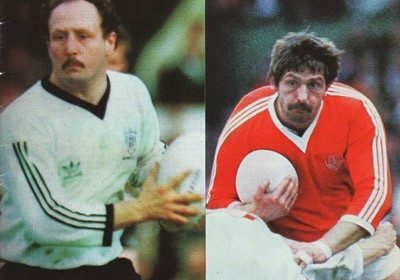 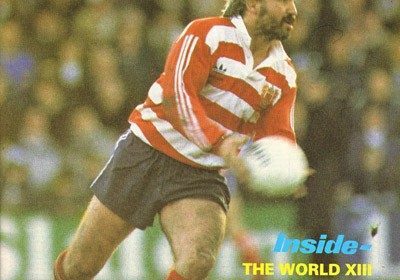 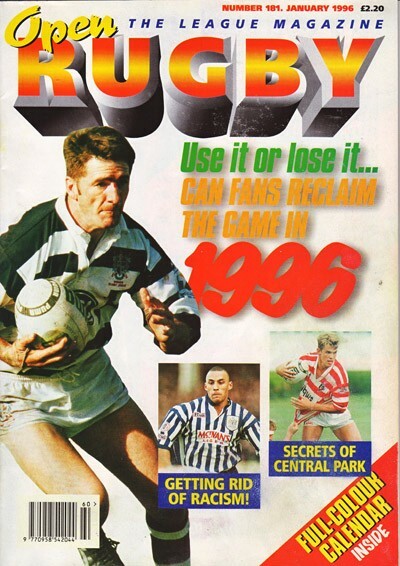 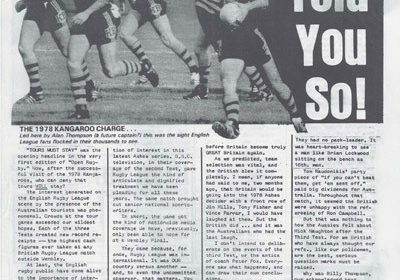 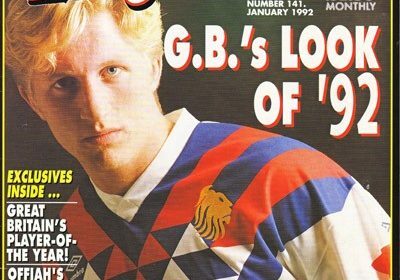 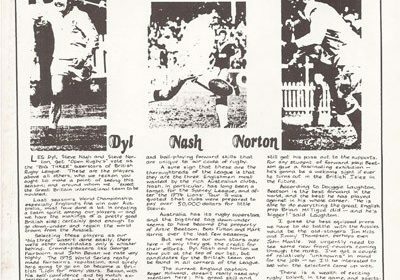 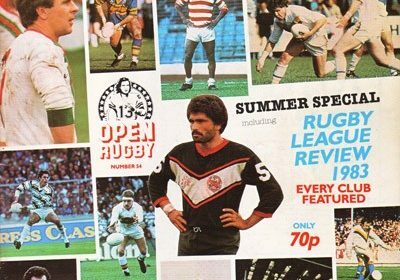 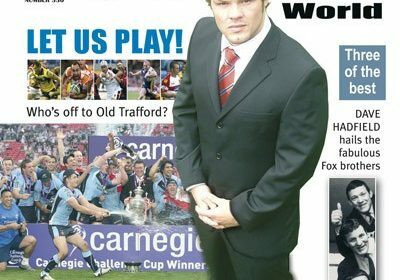 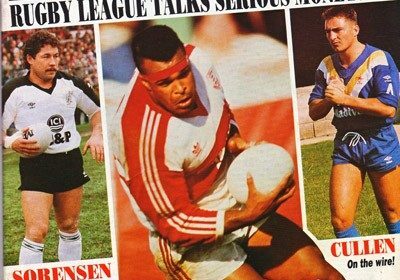 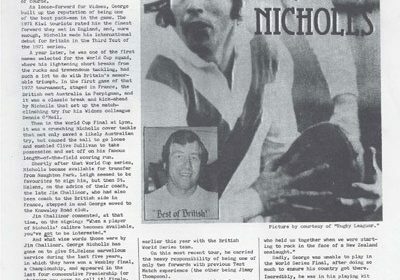 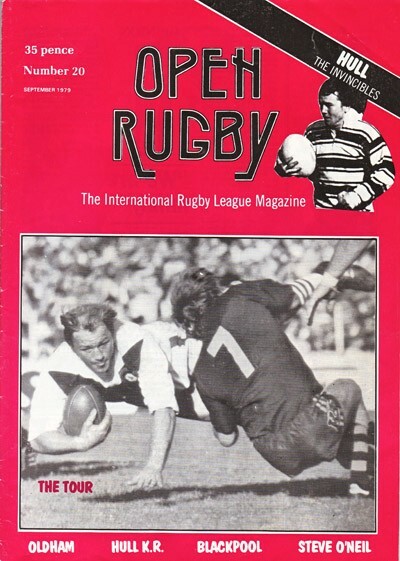 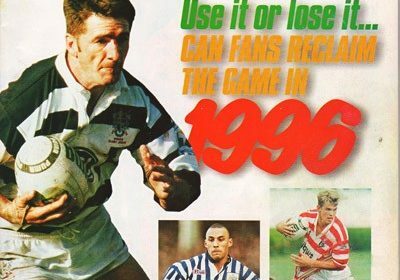 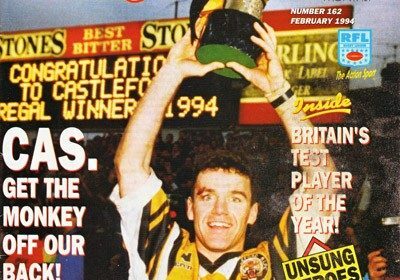 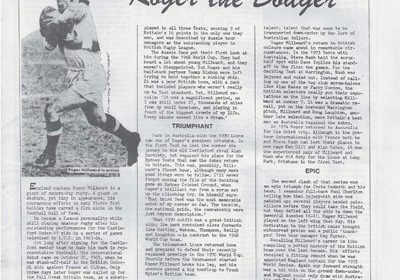 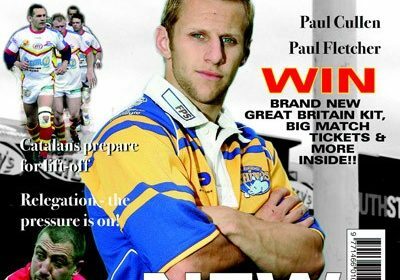 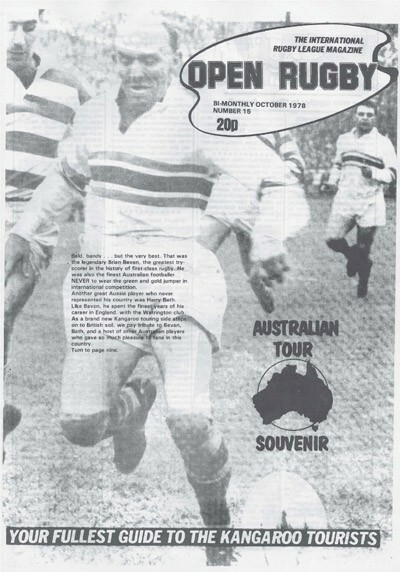 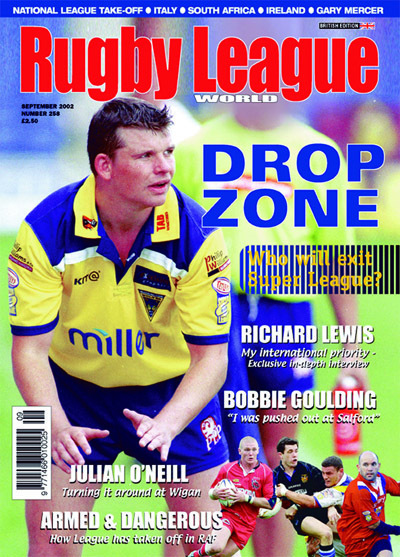 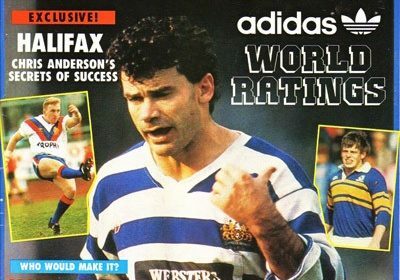 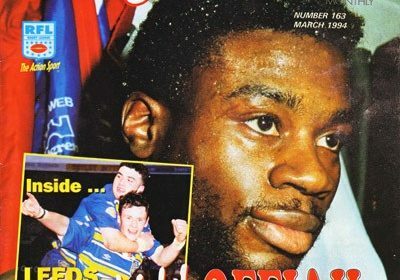 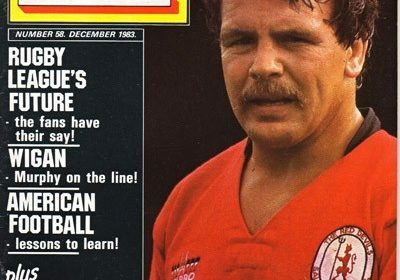 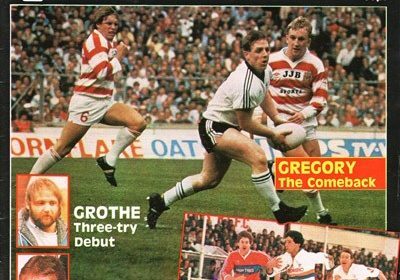 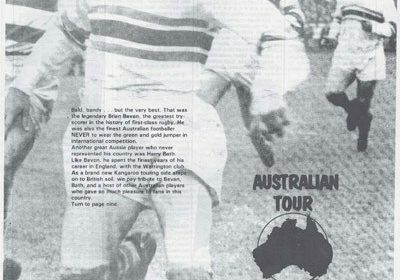 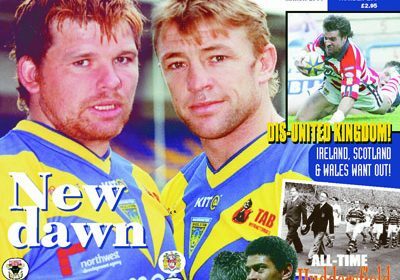 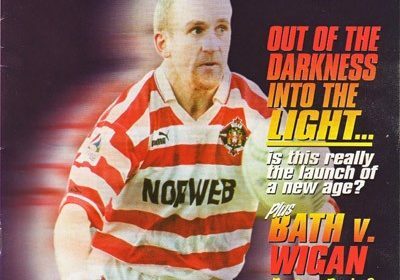 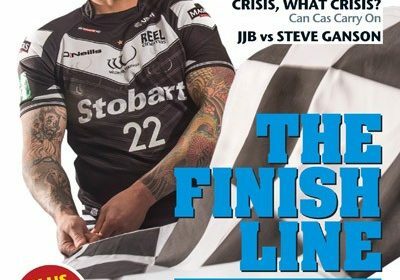 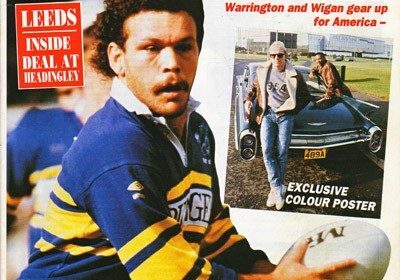 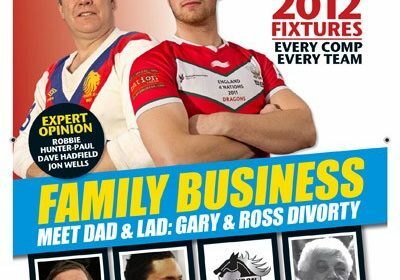 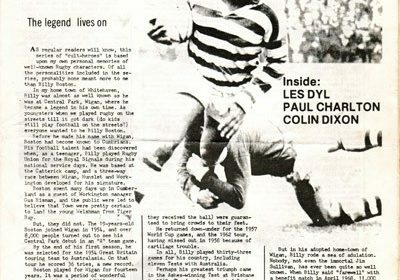 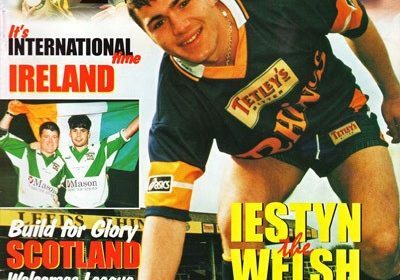 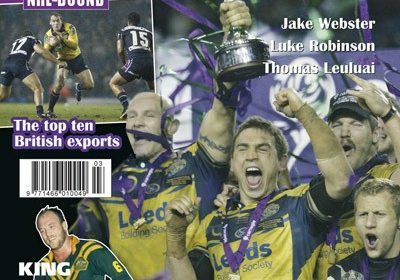 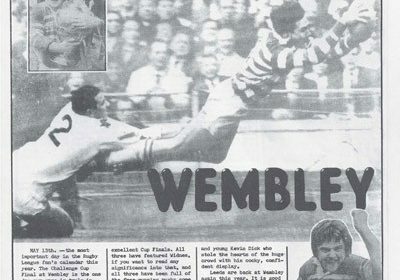 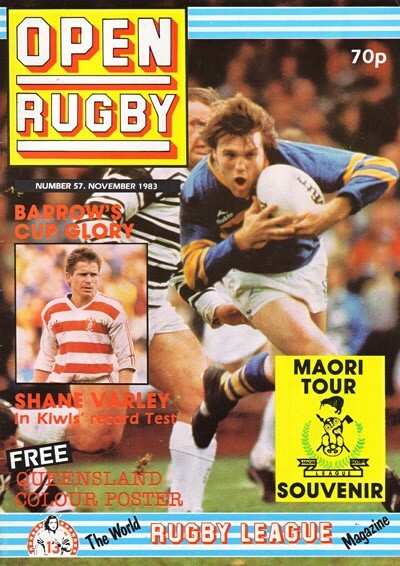 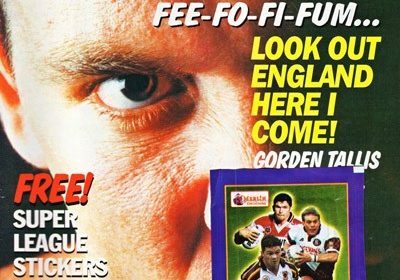 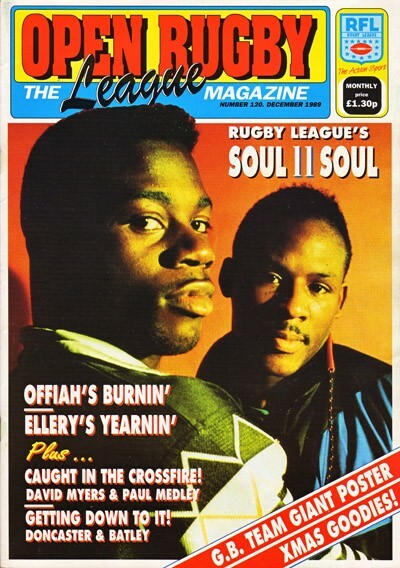 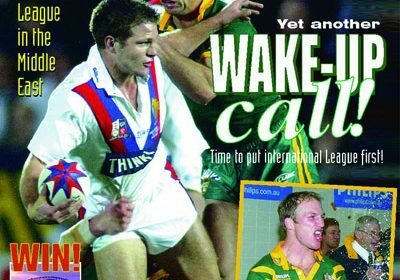 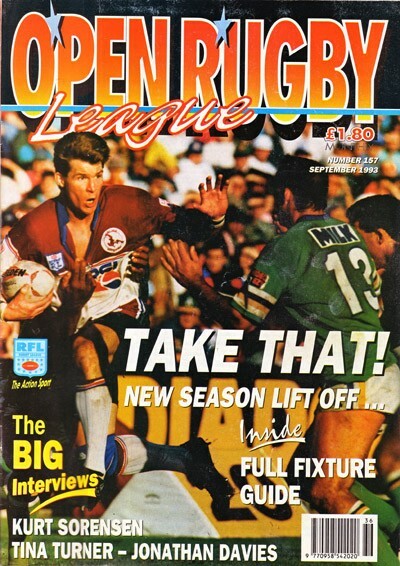 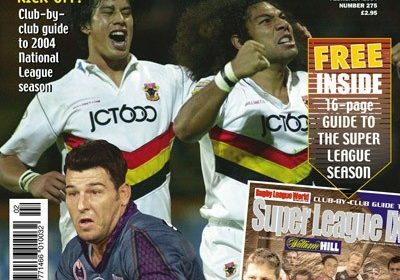 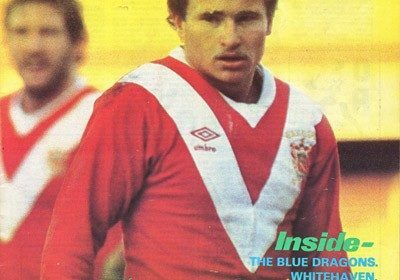 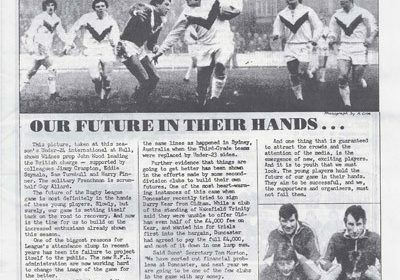 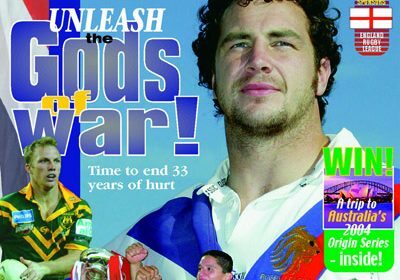 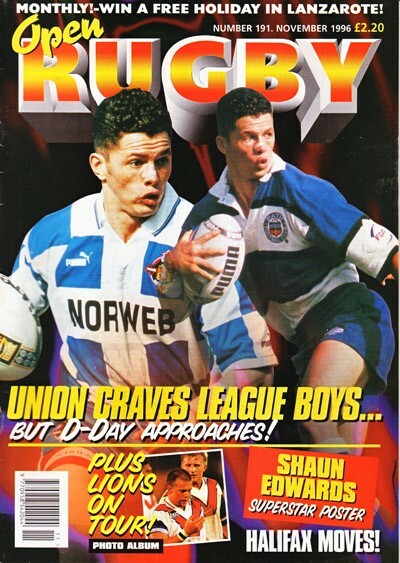 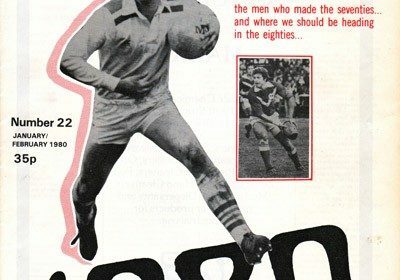 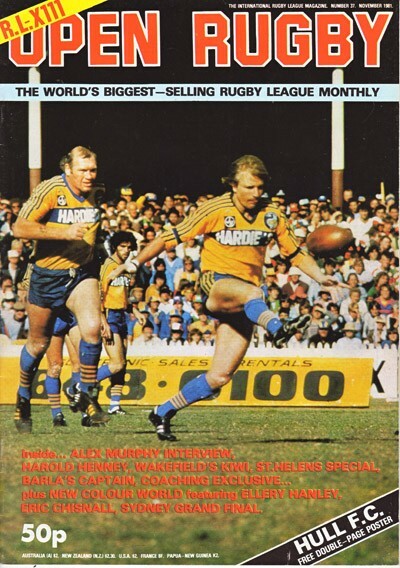 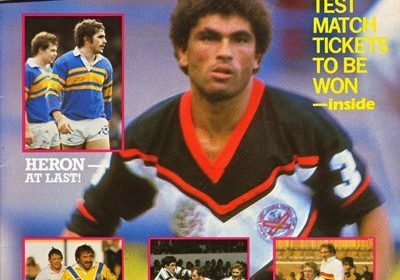 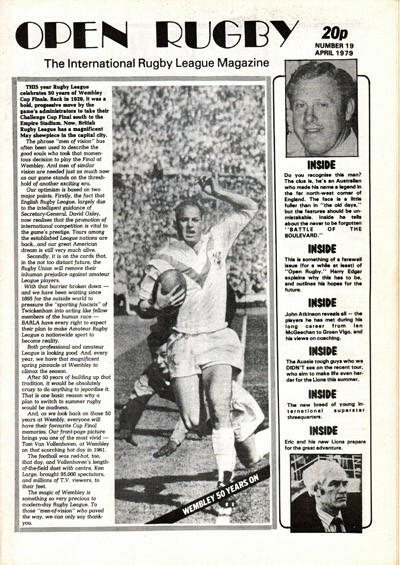 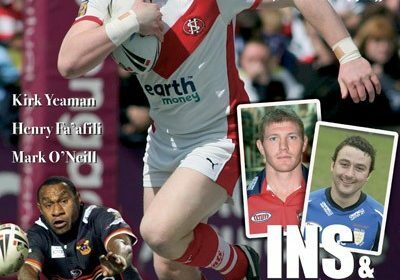 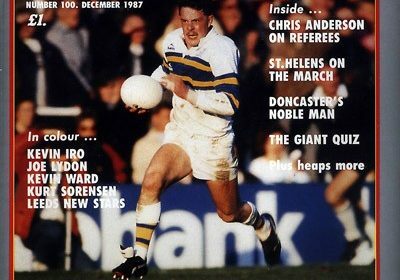 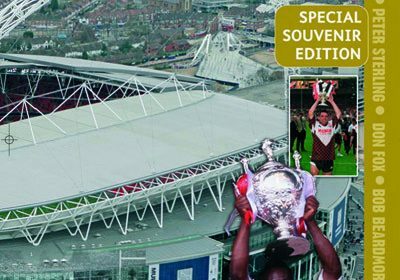 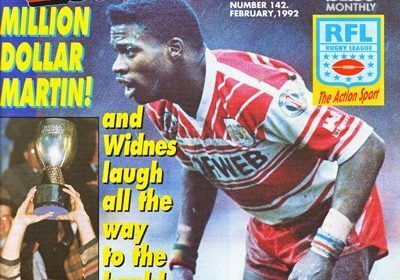 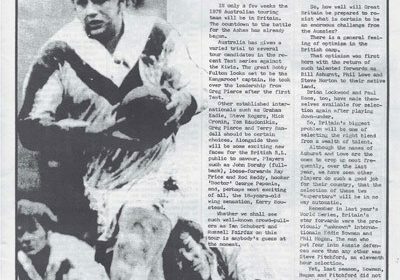 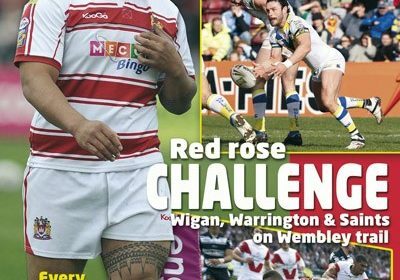 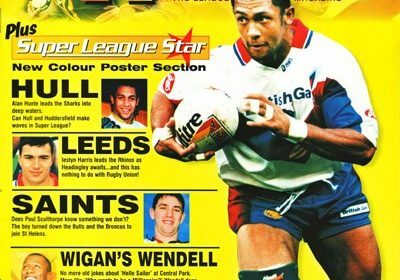 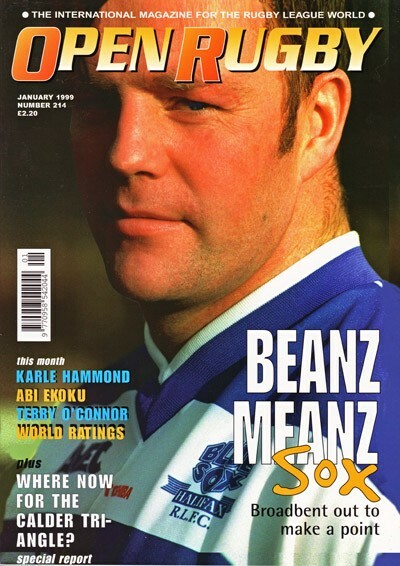 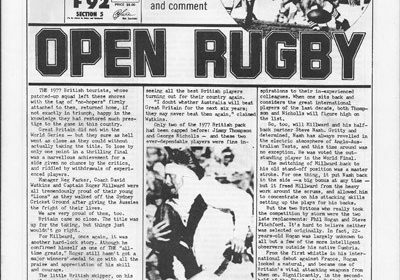 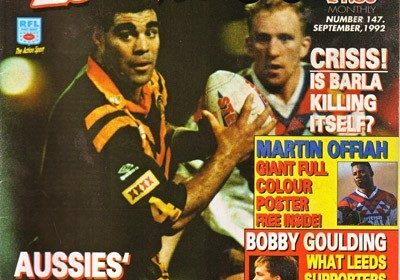 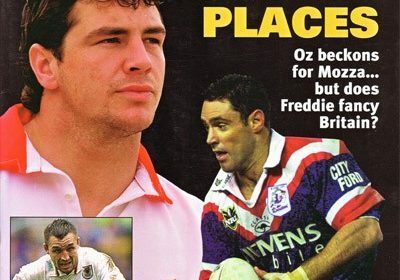 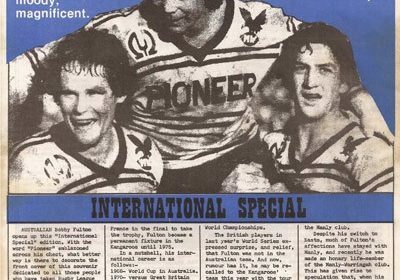 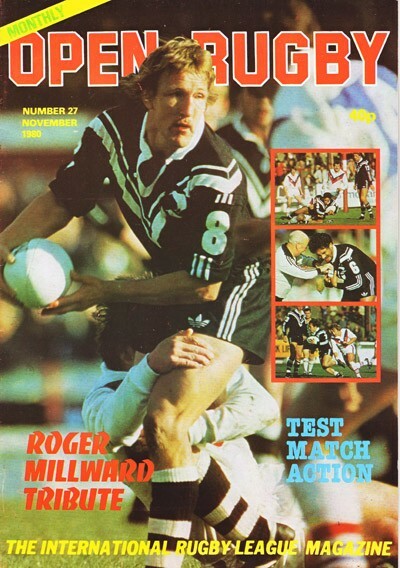 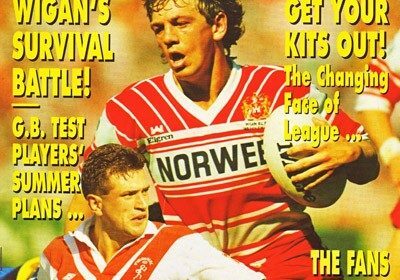 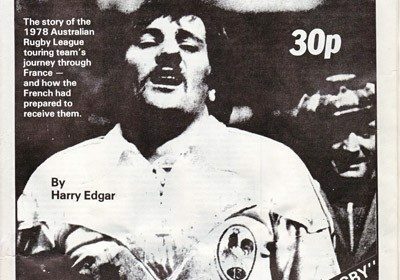 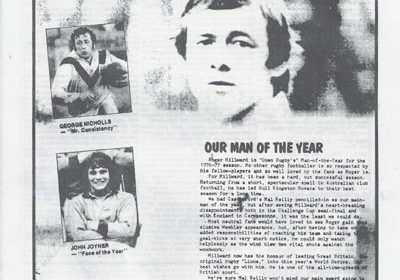 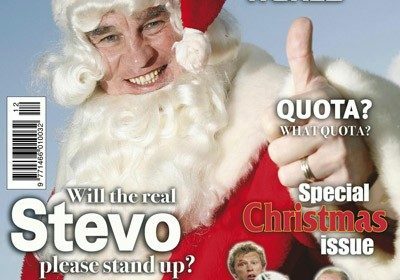 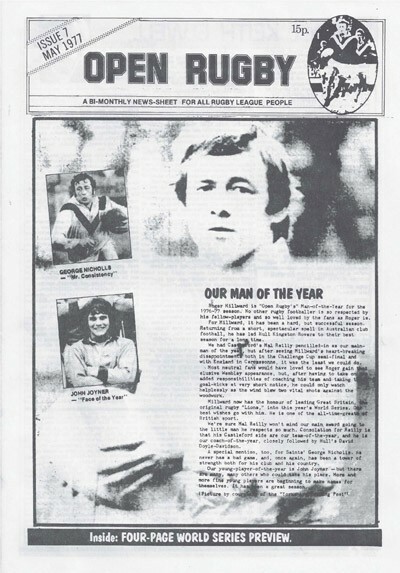 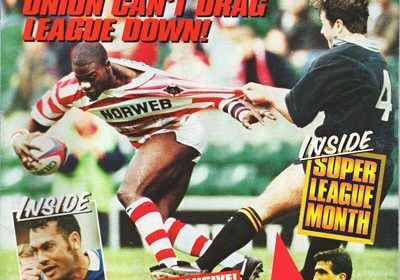 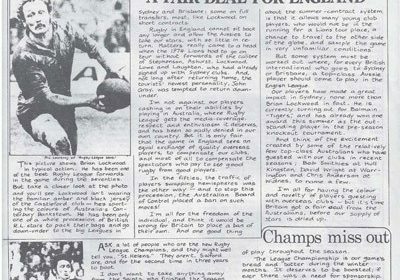 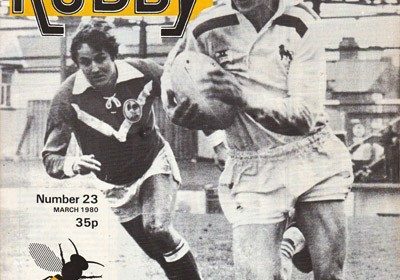 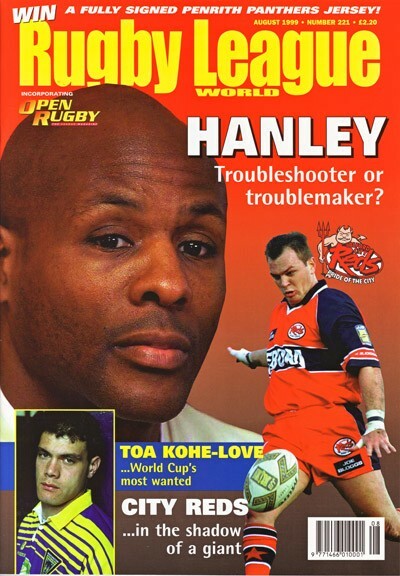 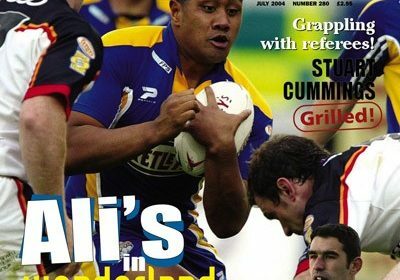 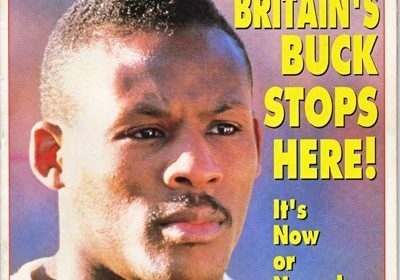 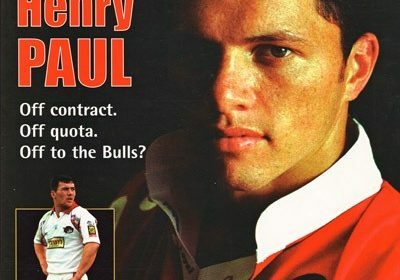 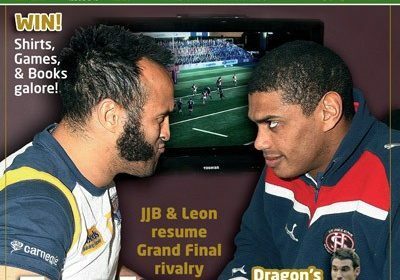 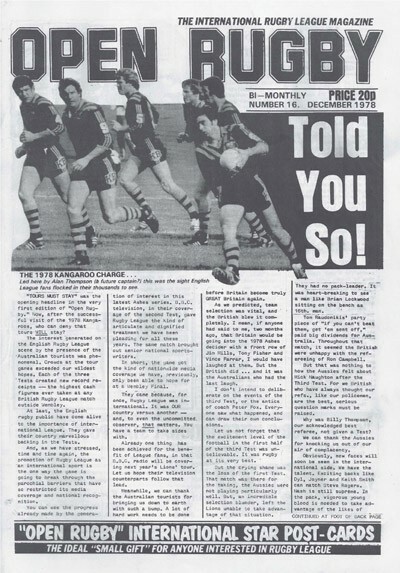 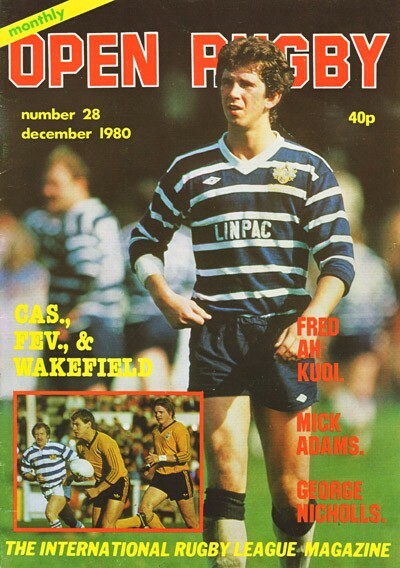 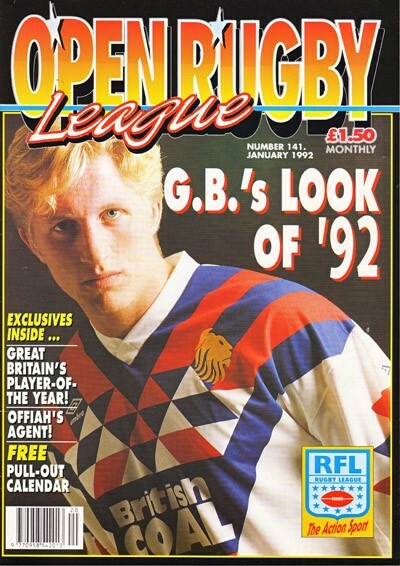 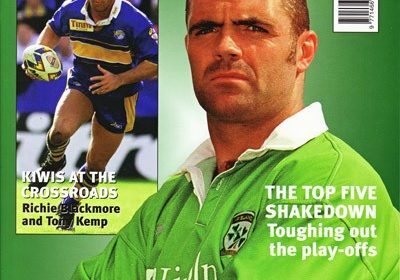 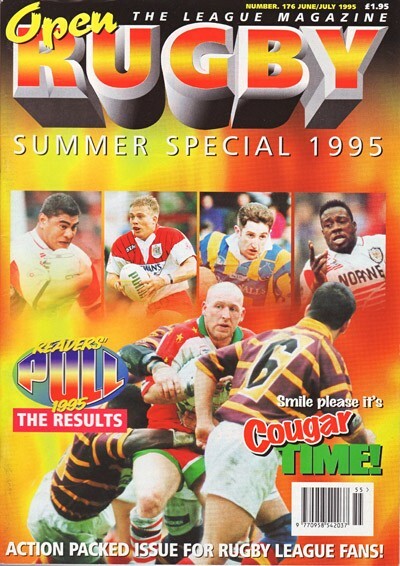 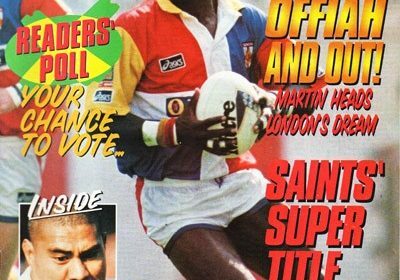 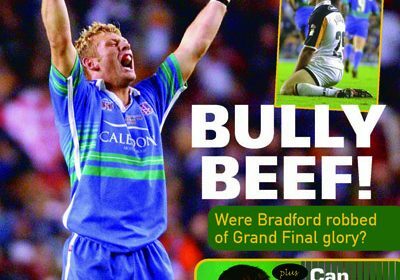 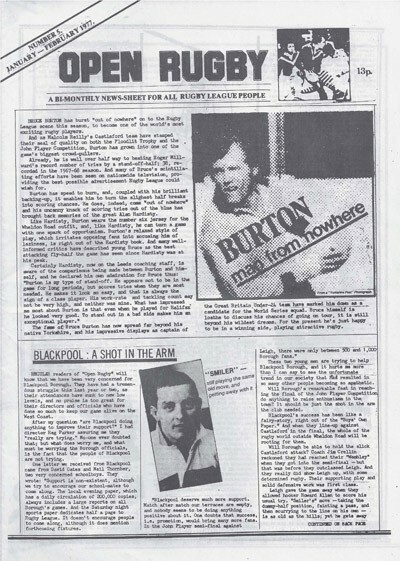 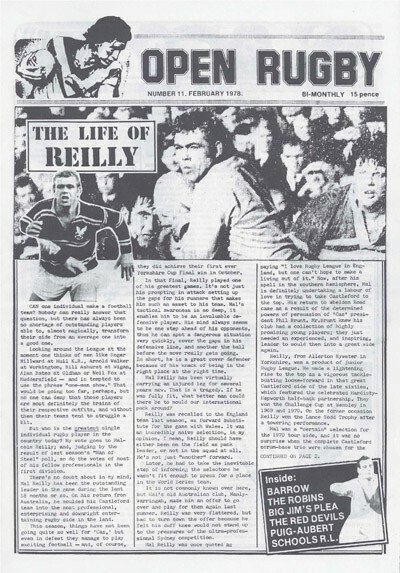 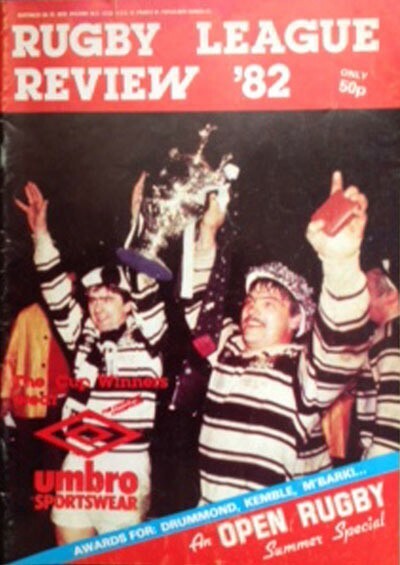 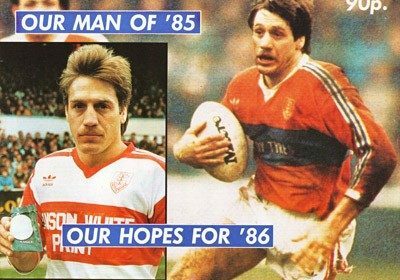 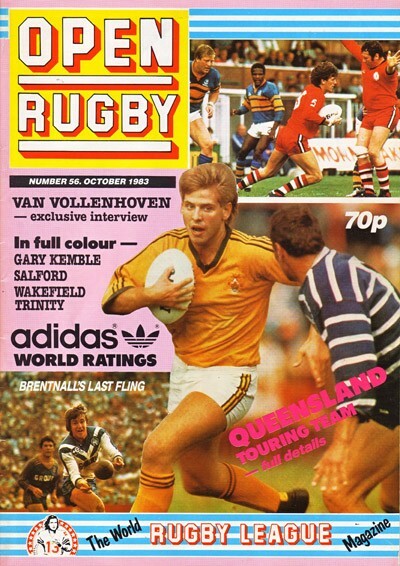 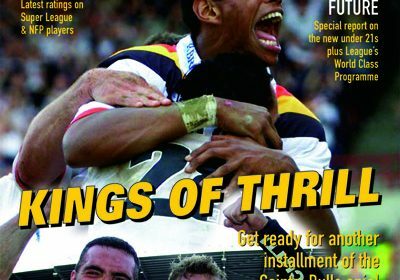 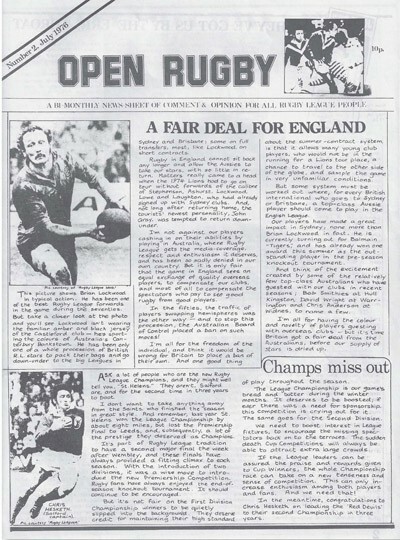 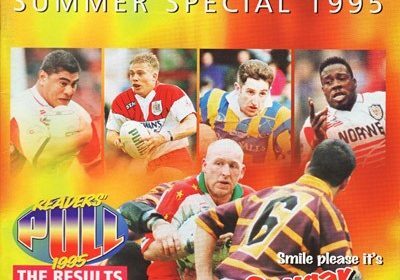 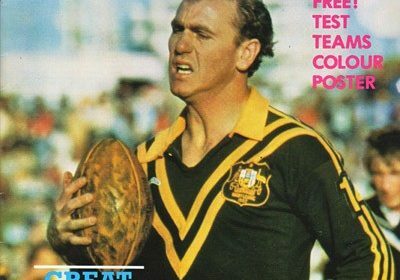 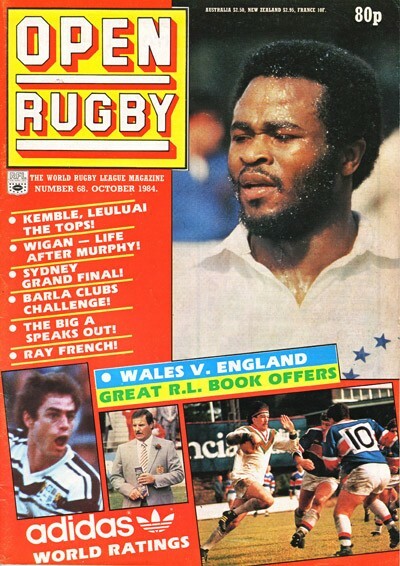 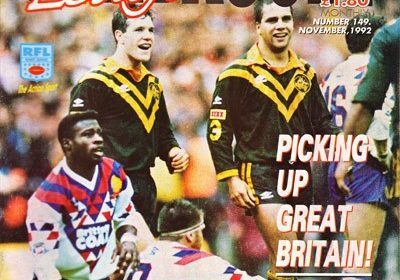 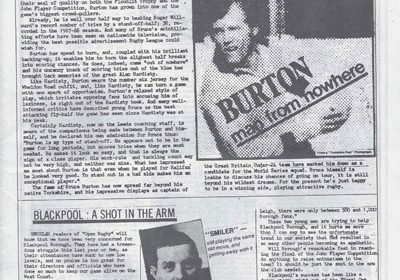 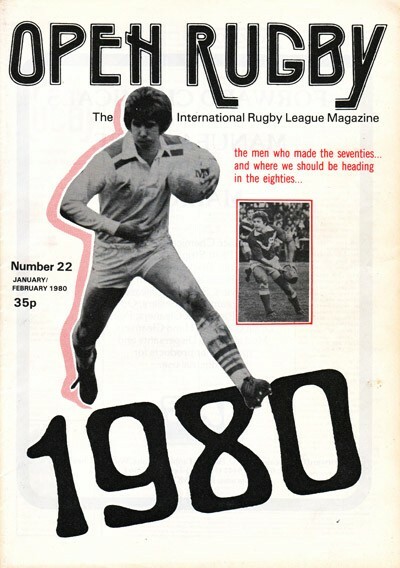 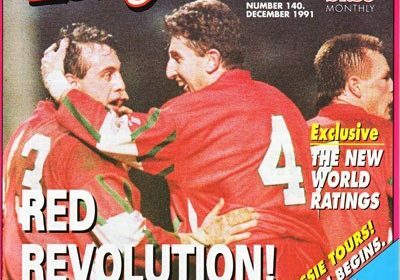 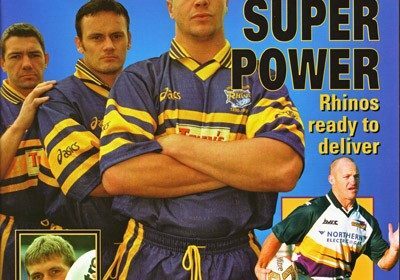 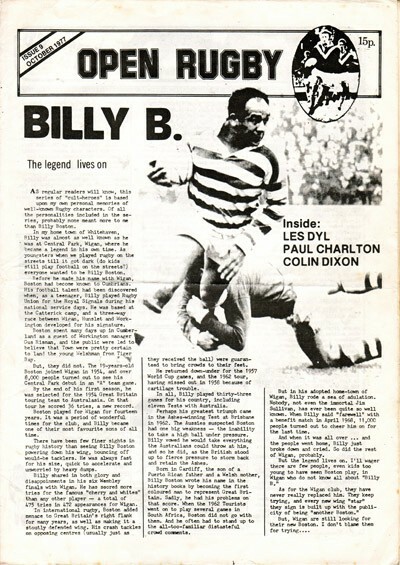 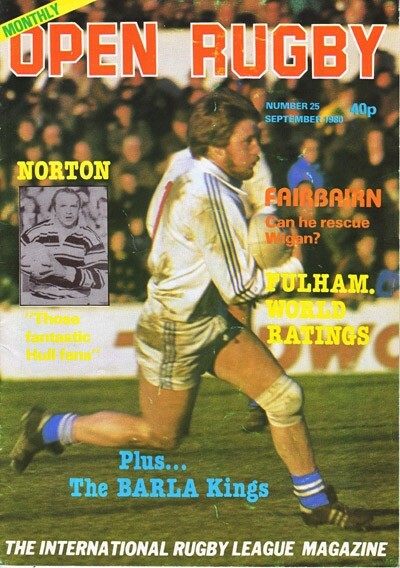 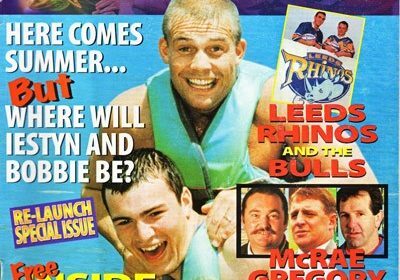 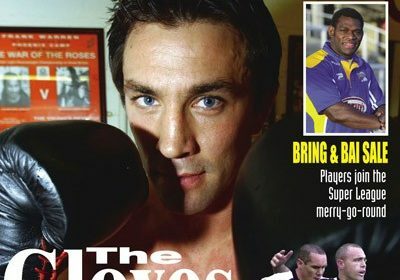 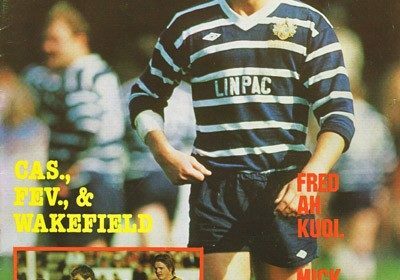 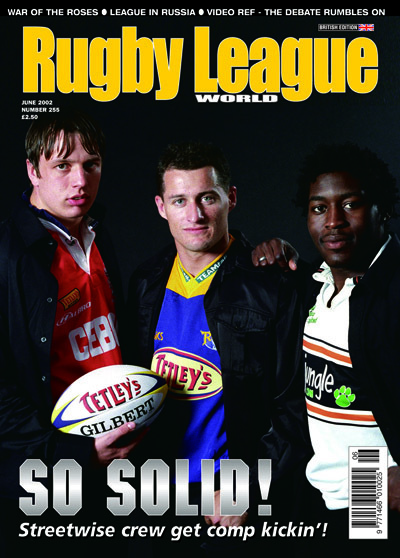 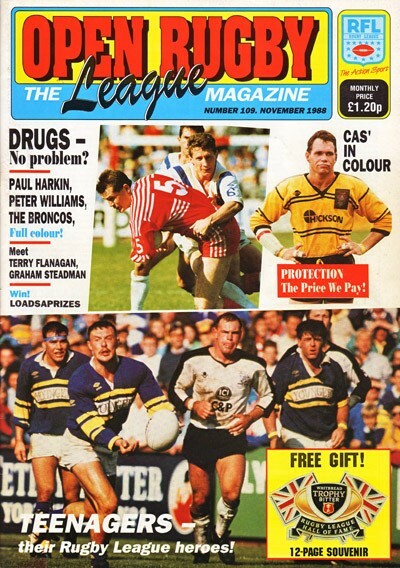 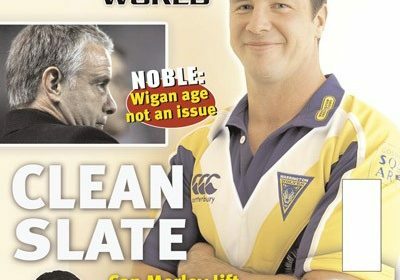 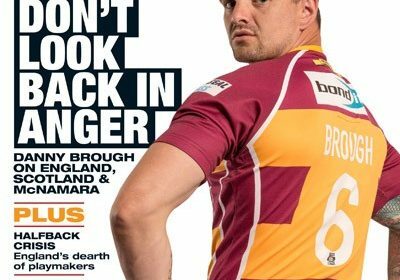 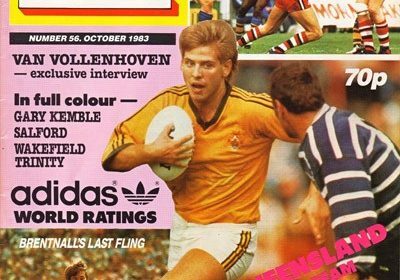 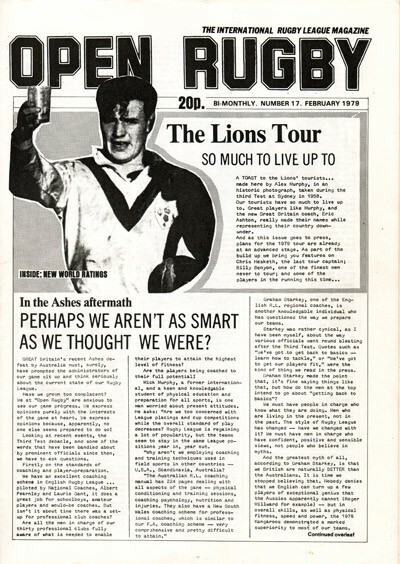 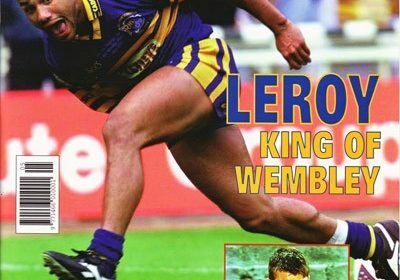 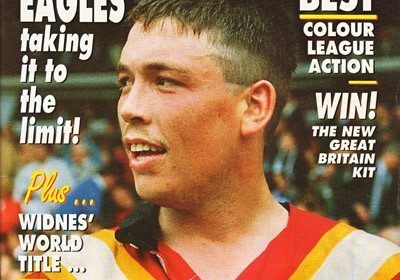 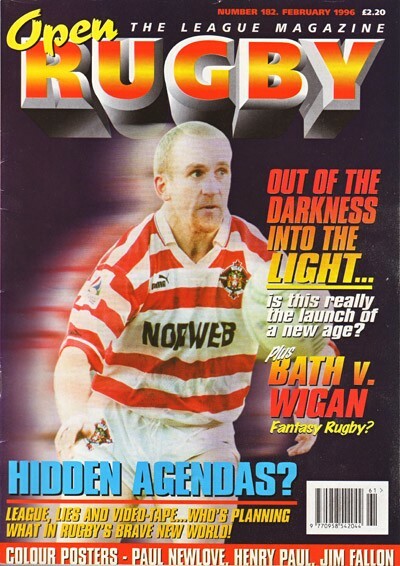 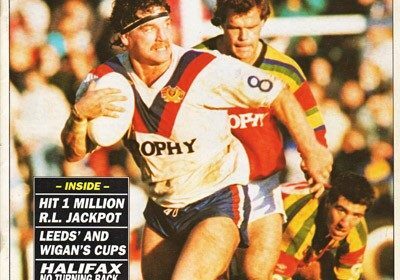 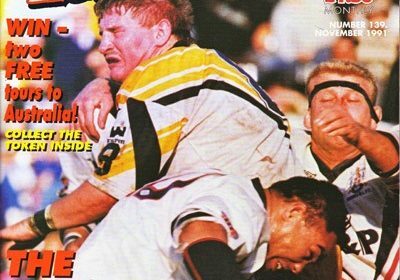 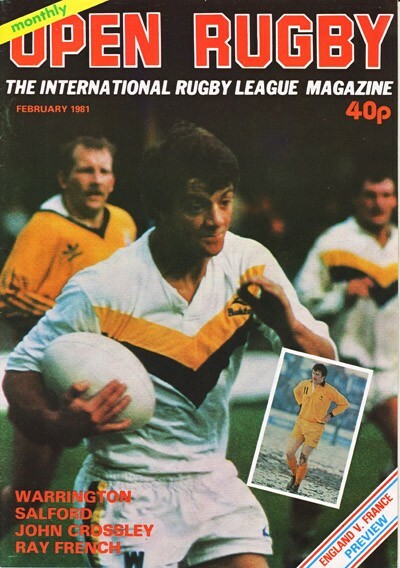 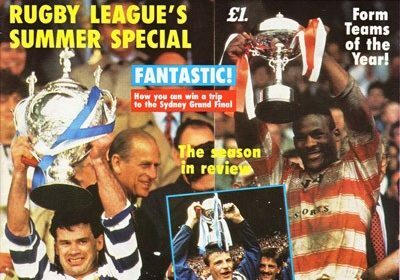 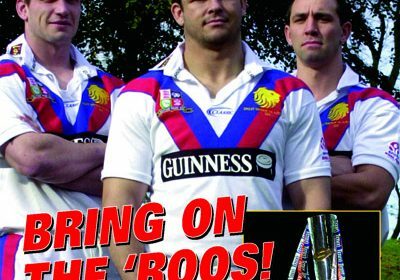 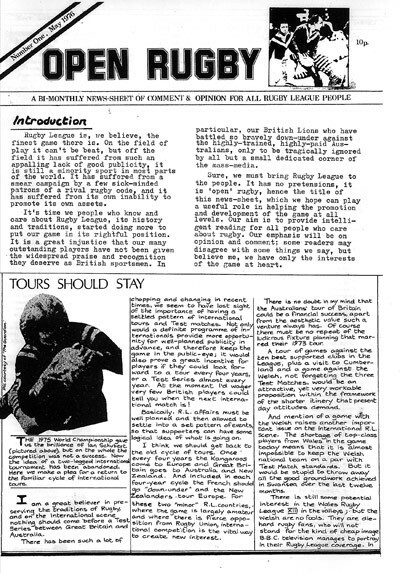 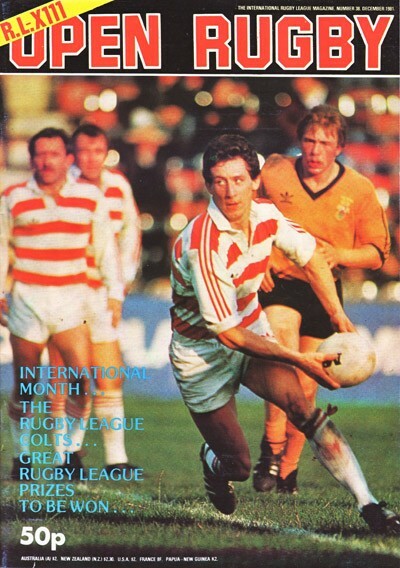 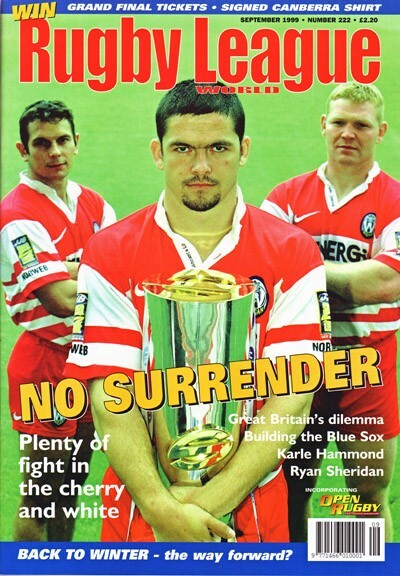 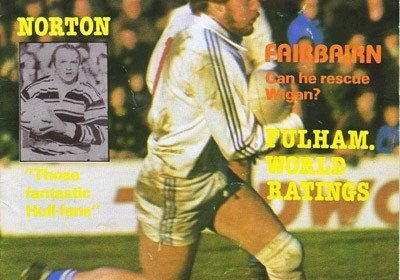 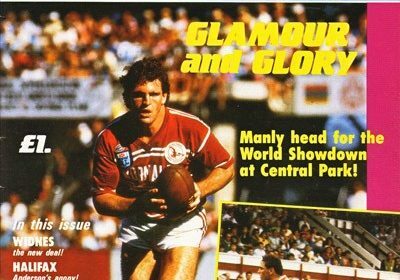 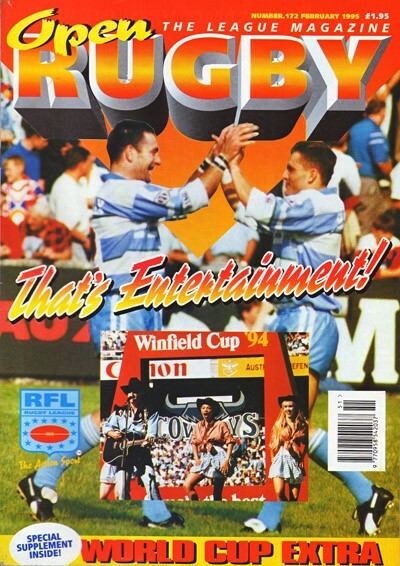 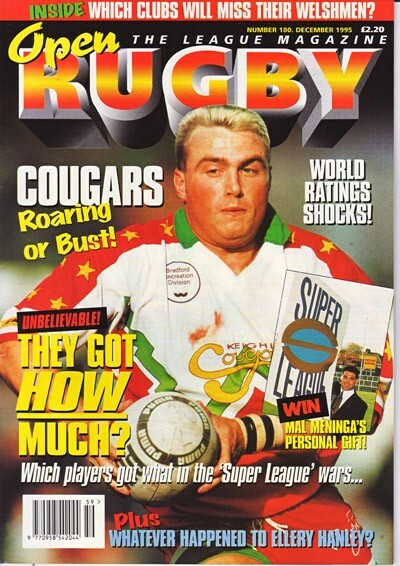 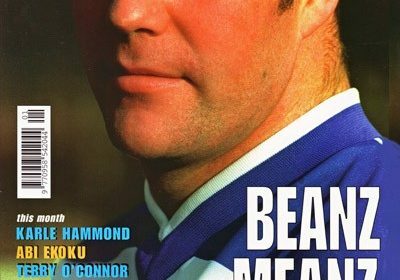 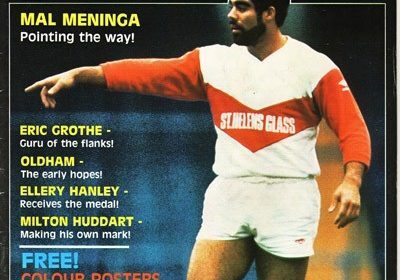 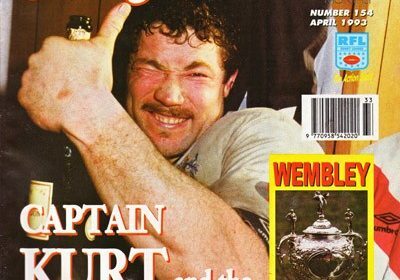 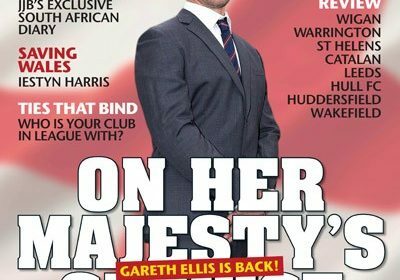 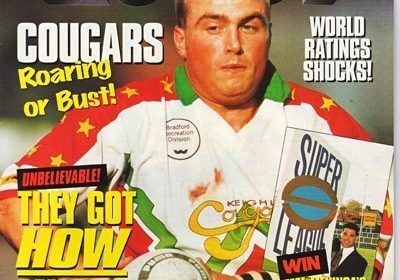 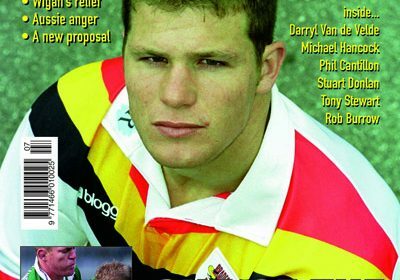 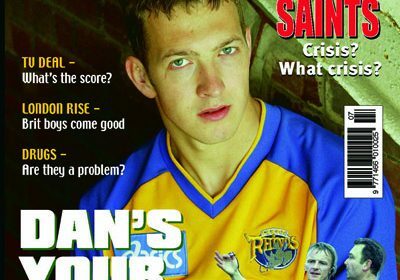 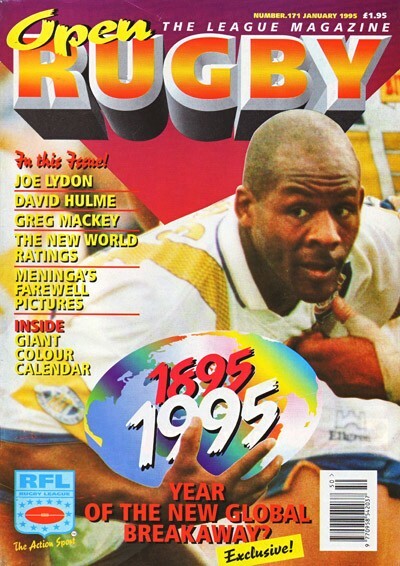 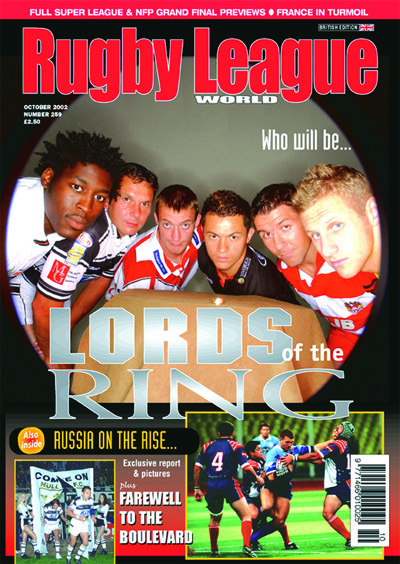 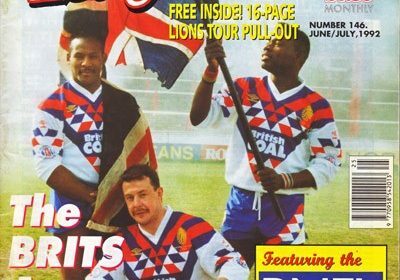 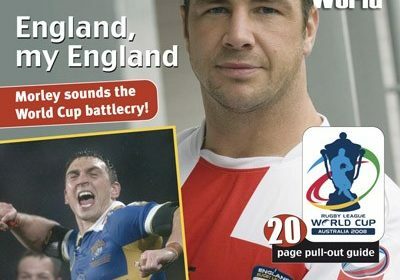 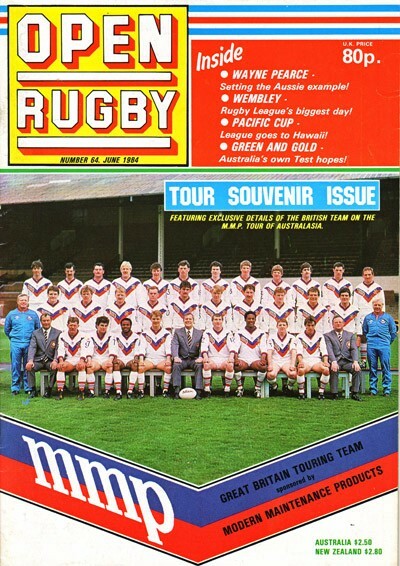 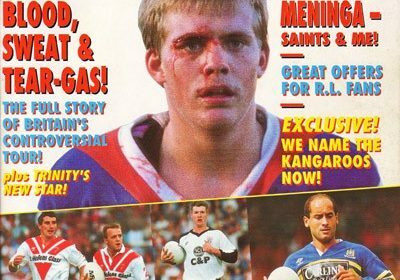 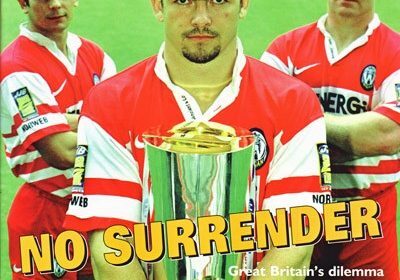 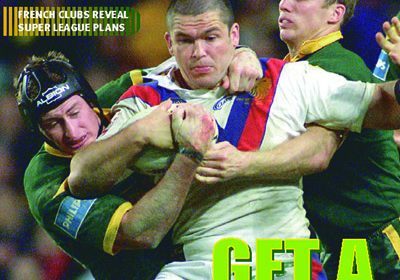 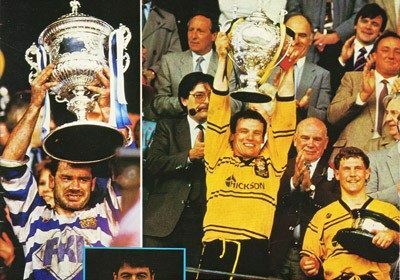 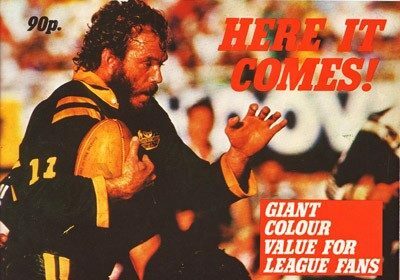 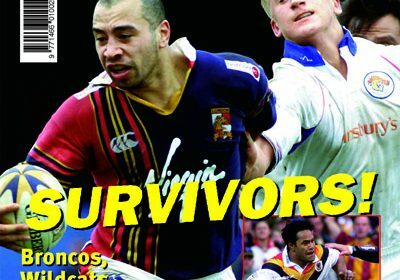 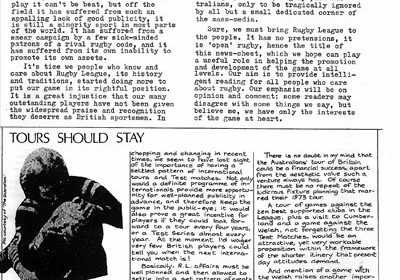 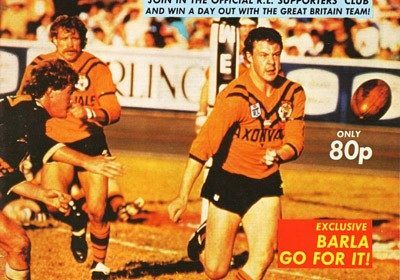 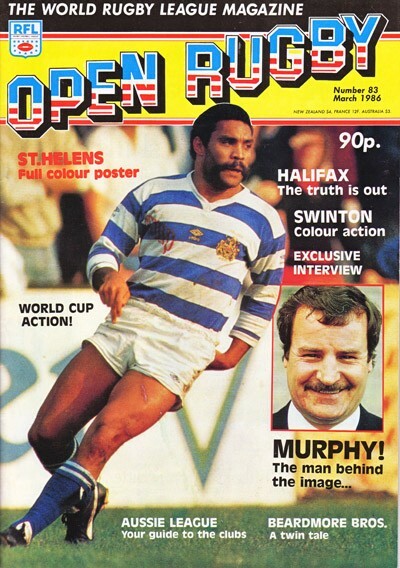 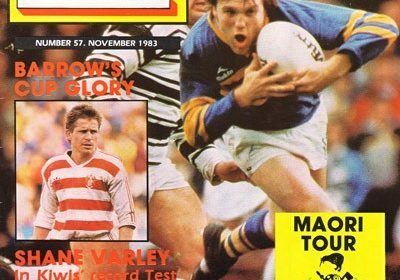 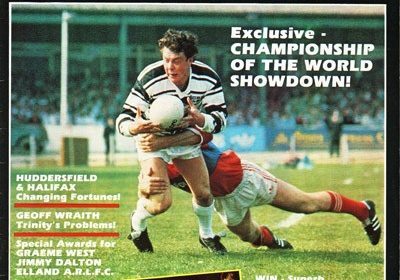 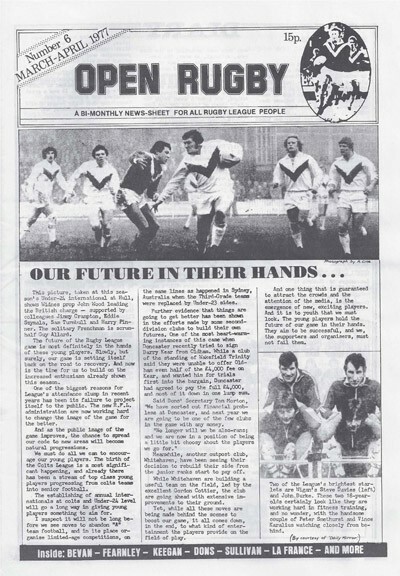 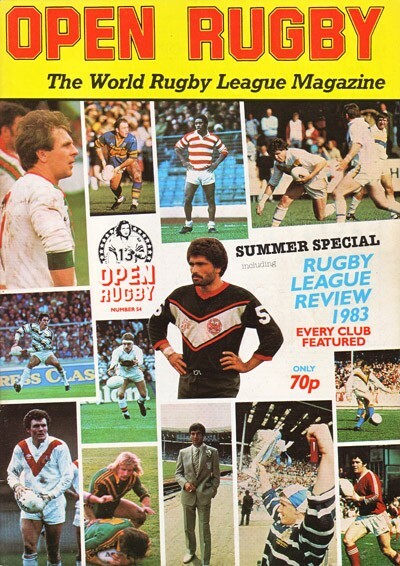 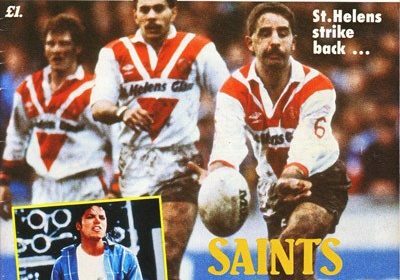 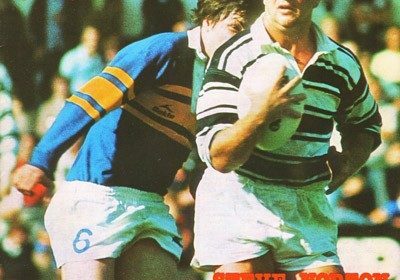 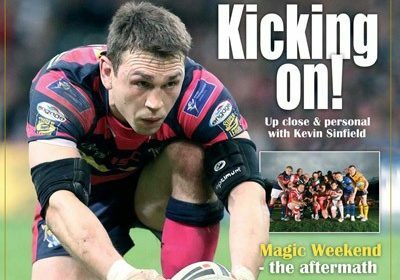 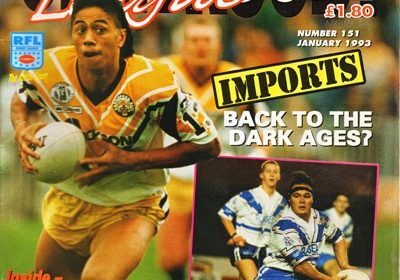 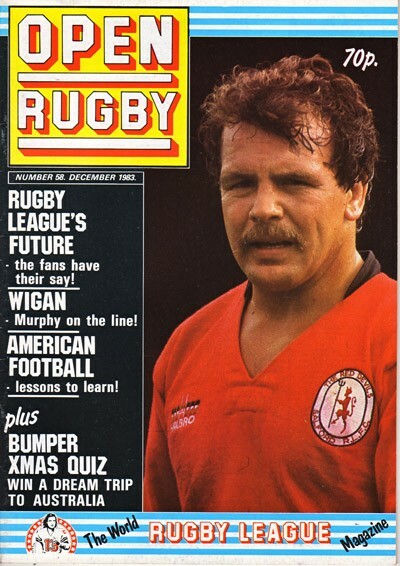 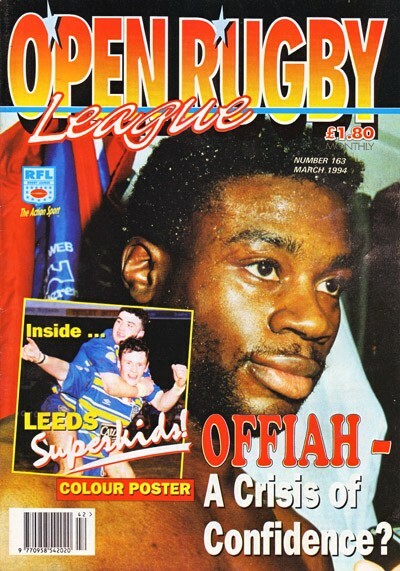 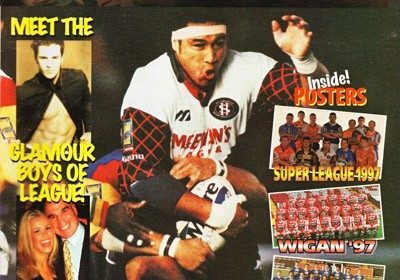 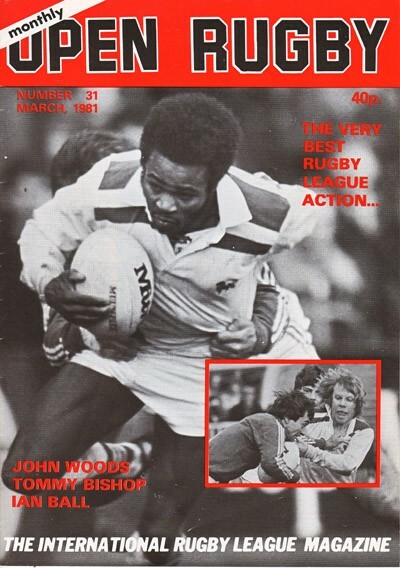 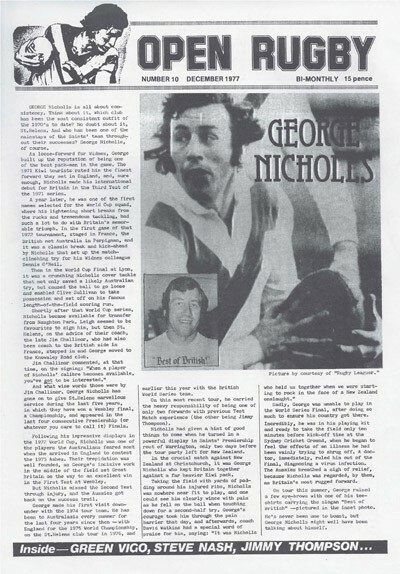 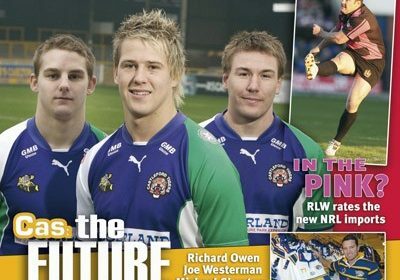 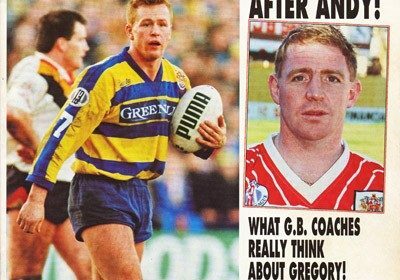 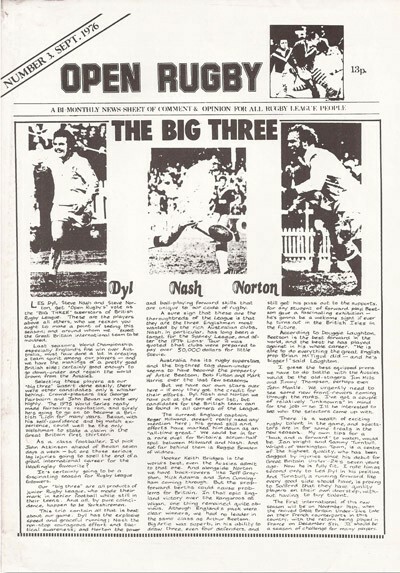 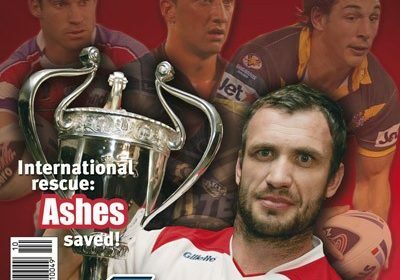 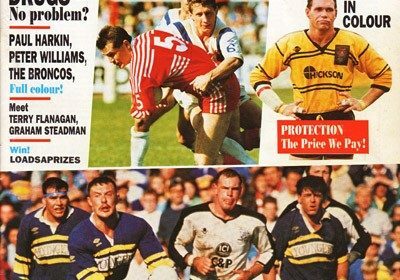 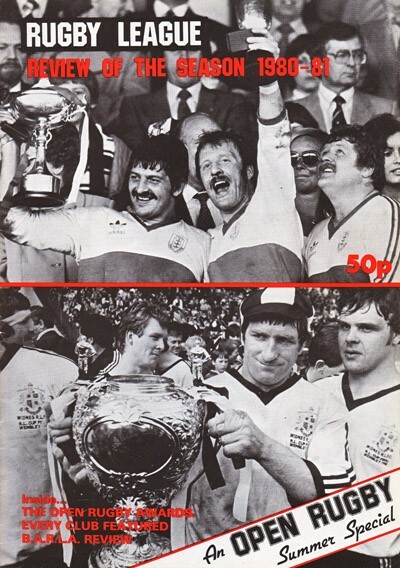 (We’d like to thank the founder of Open Rugby, Harry Edgar, now publisher of ‘Rugby League Journal’ for permission to reproduce the covers of issues 1 to 208 as part of this feature).